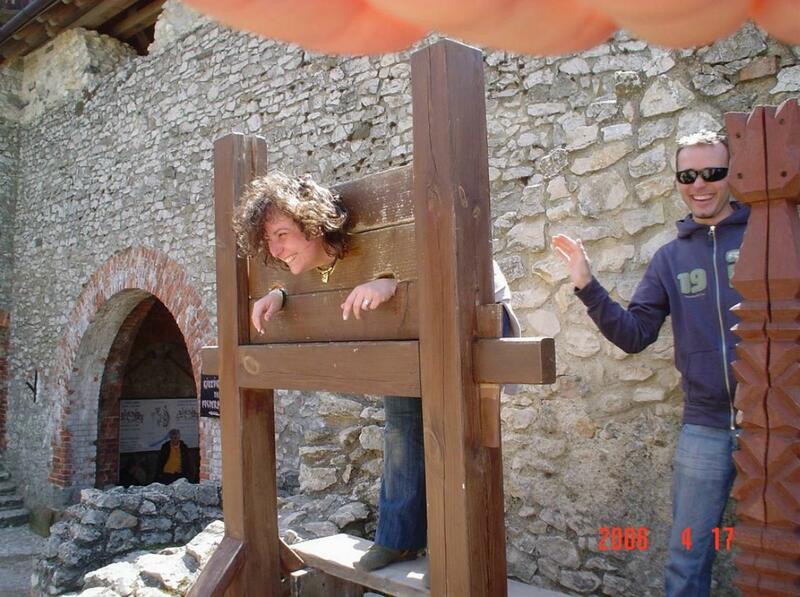 Here are some snaps from the family album. 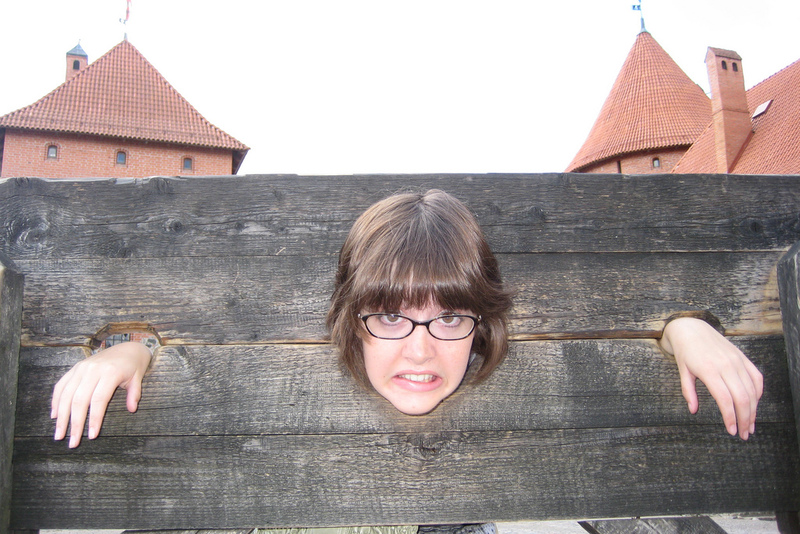 If only all photo albums looked like this (sigh). 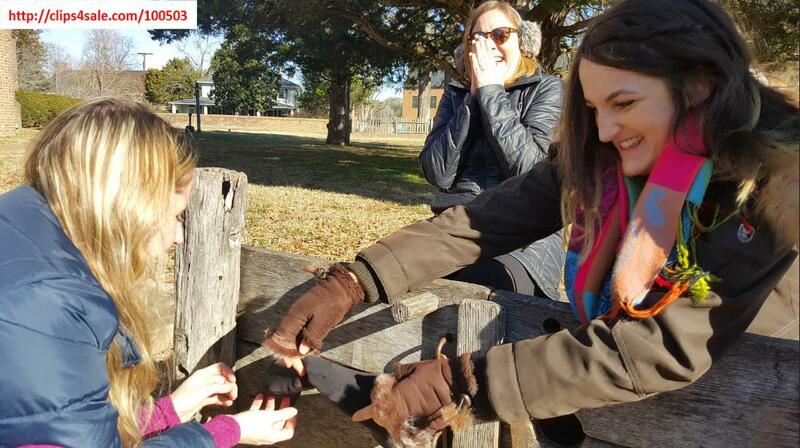 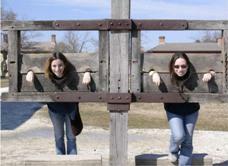 Let’s start with a few from Williamsburg, USA. 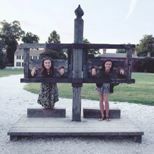 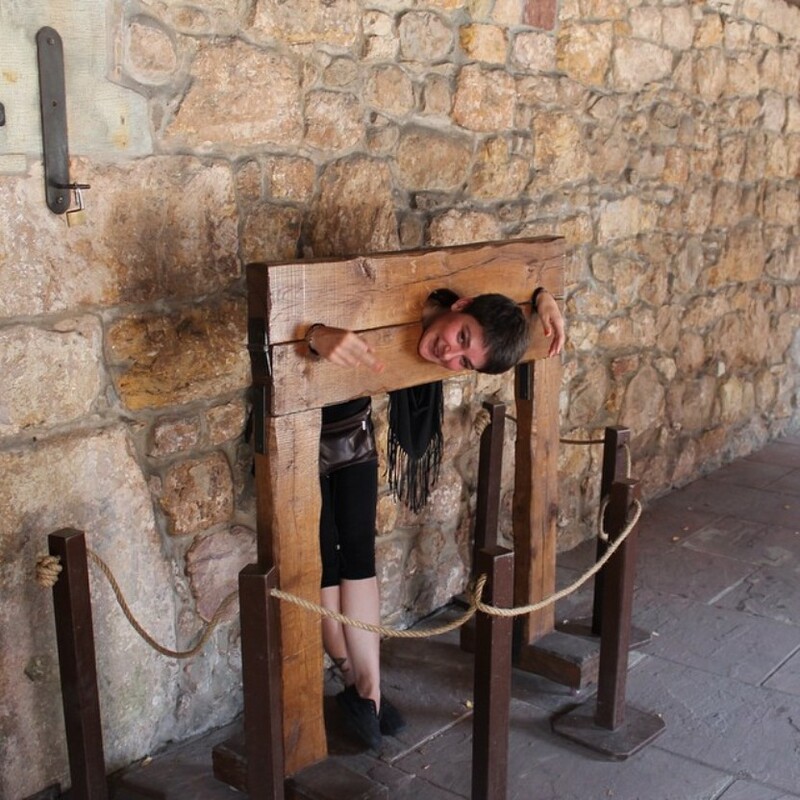 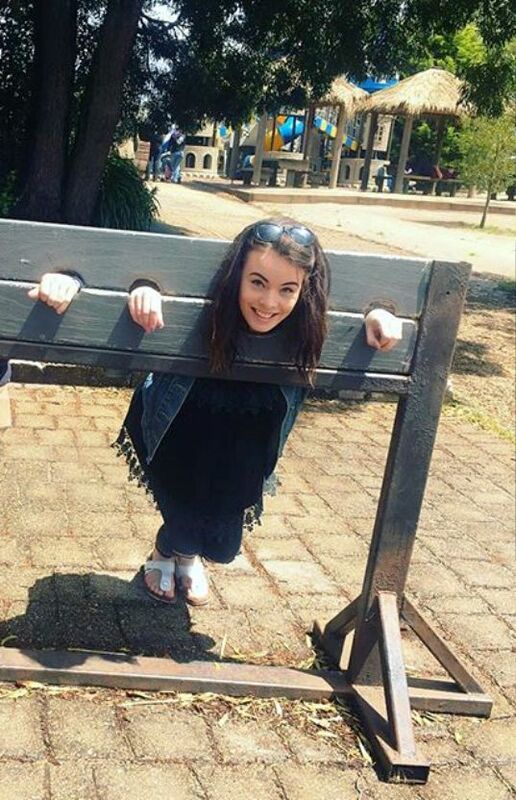 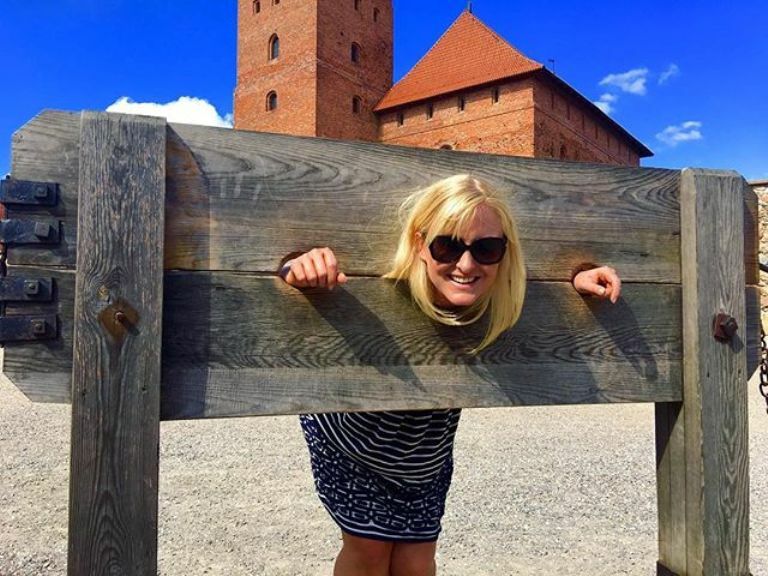 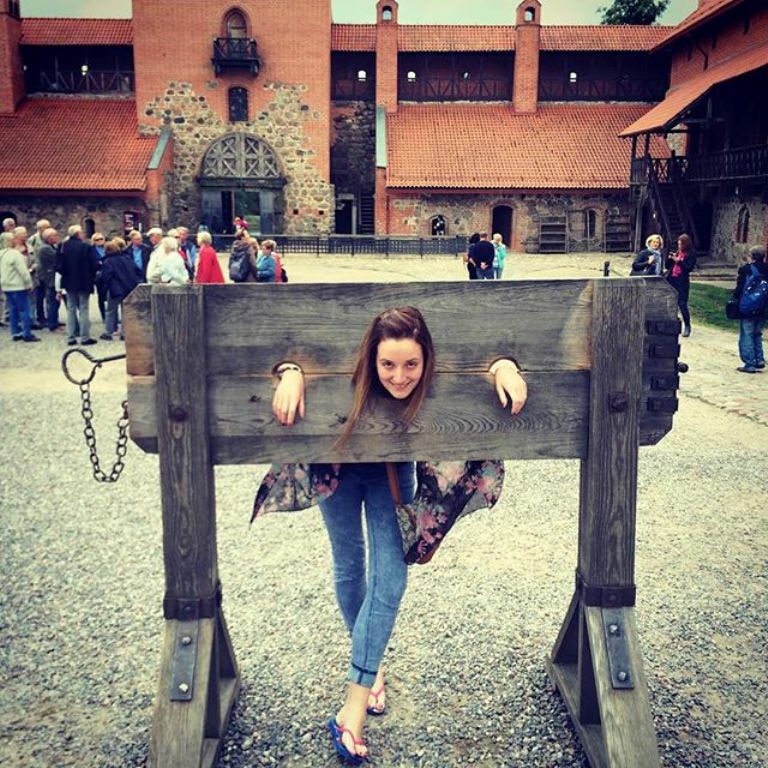 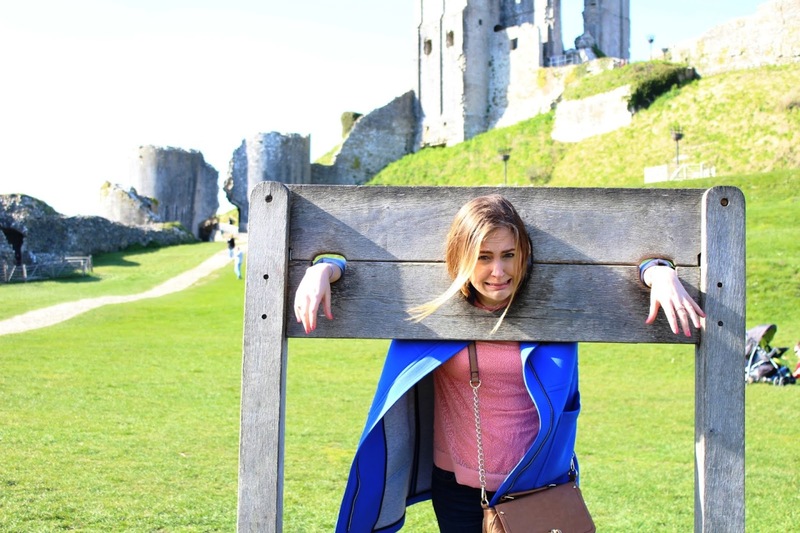 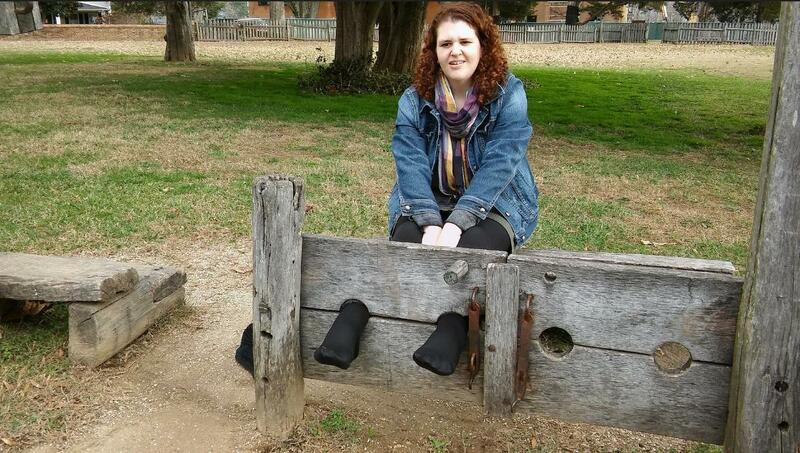 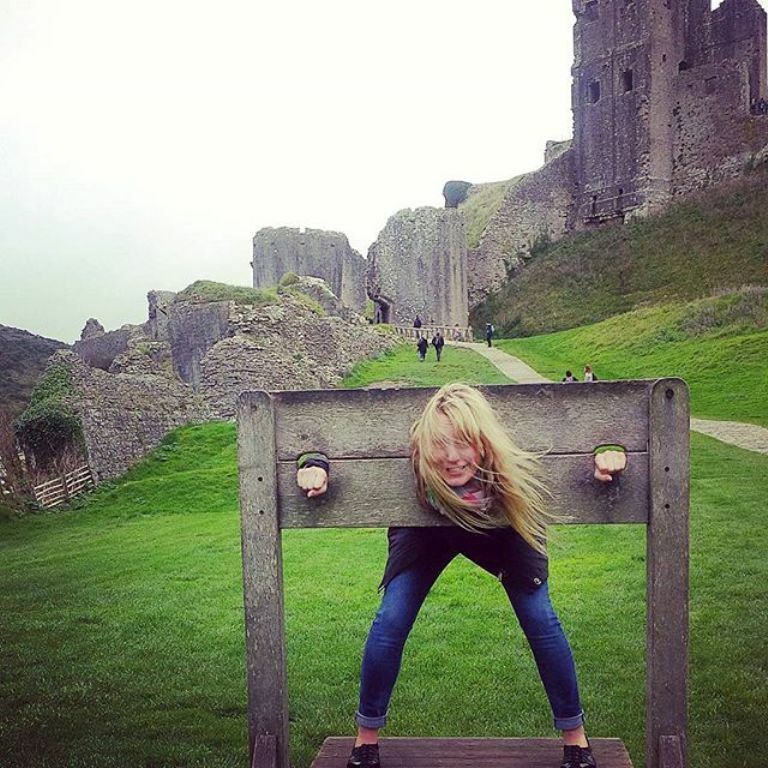 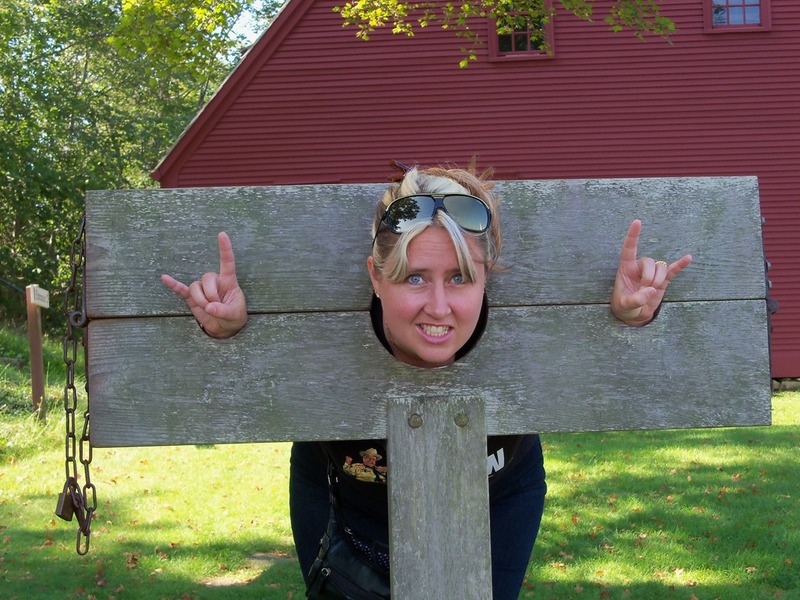 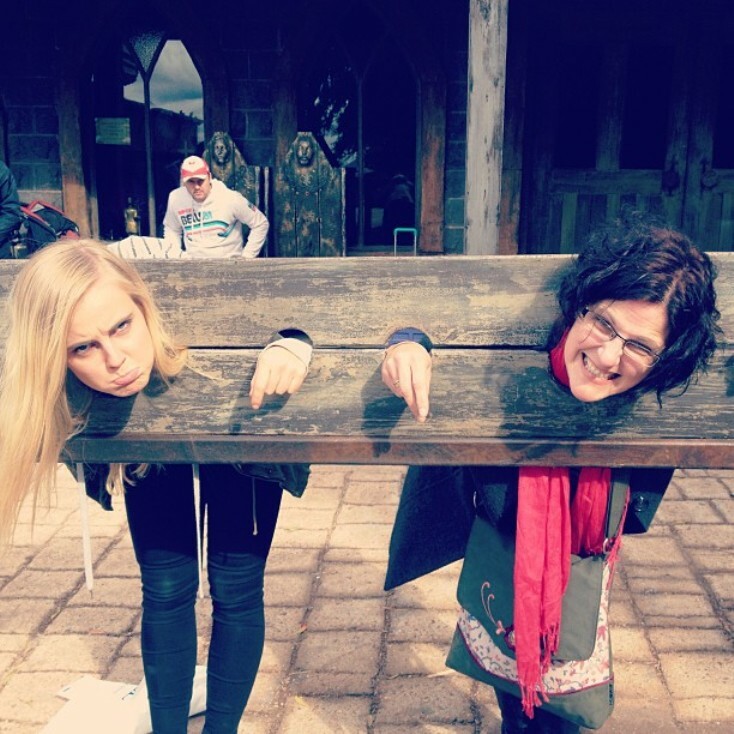 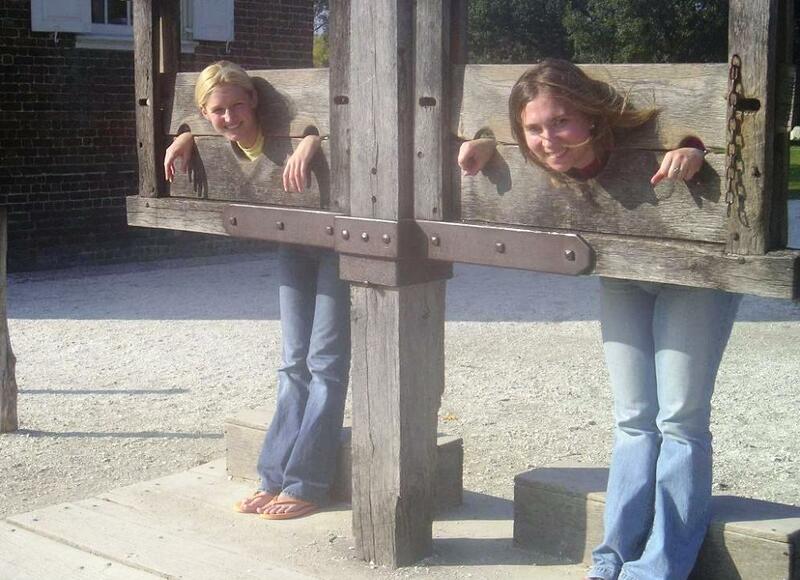 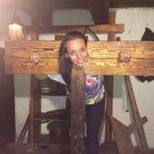 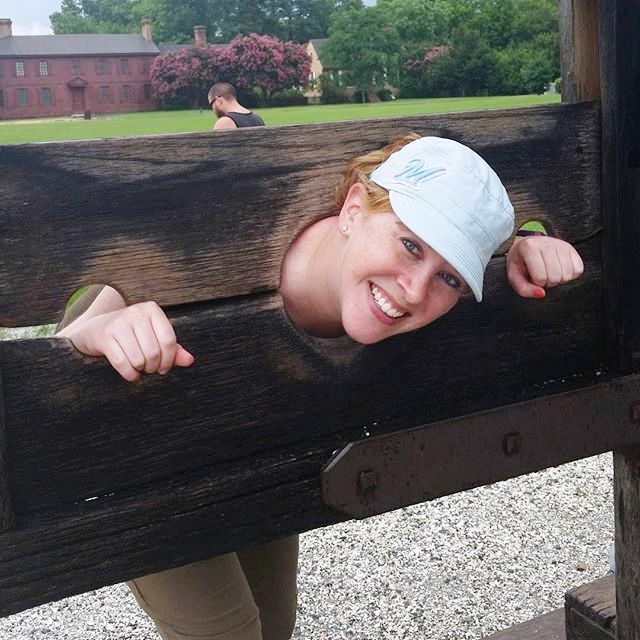 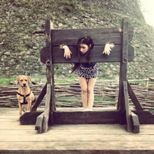 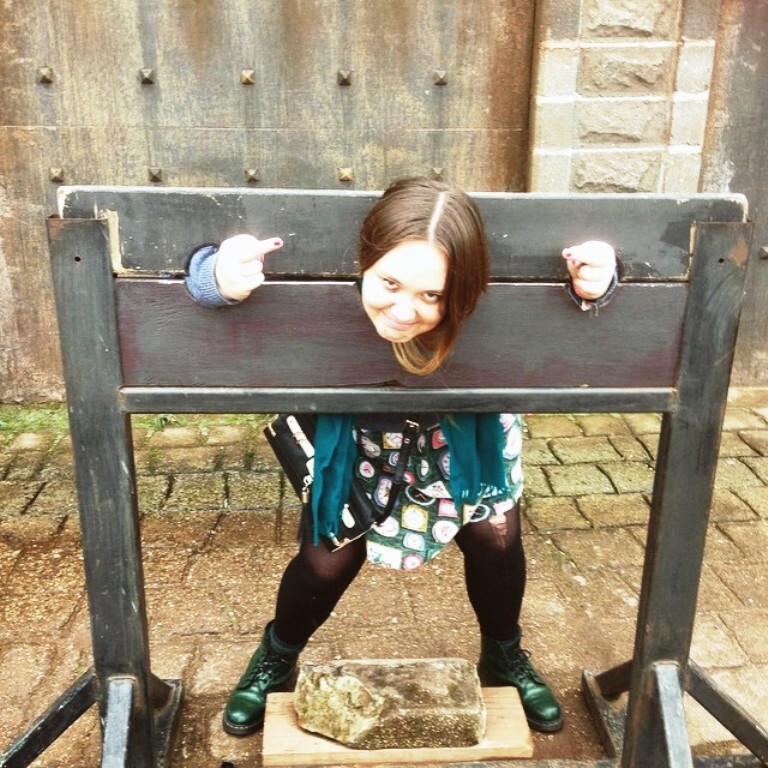 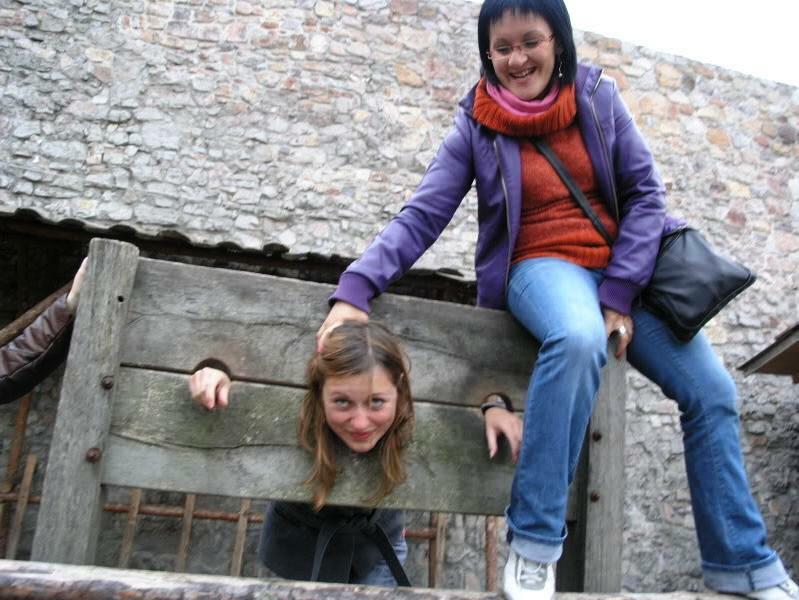 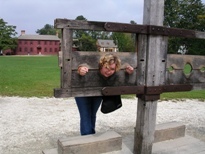 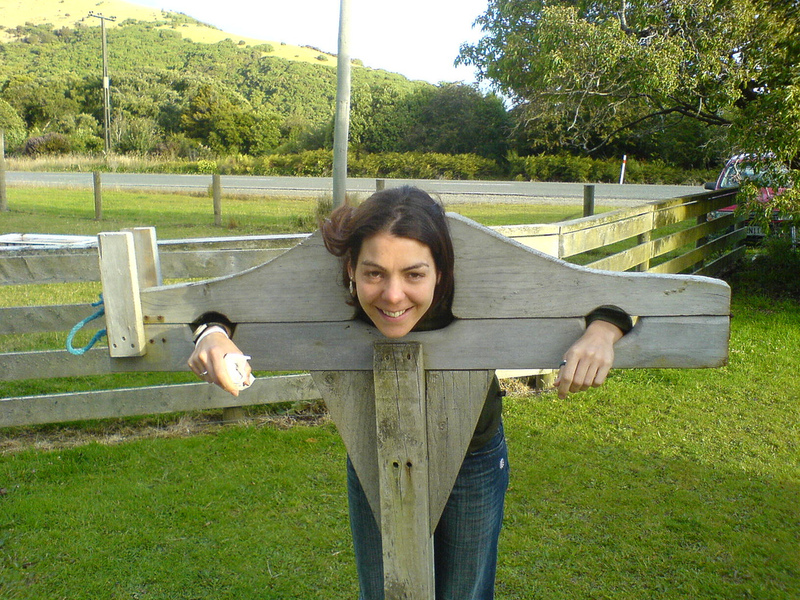 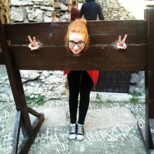 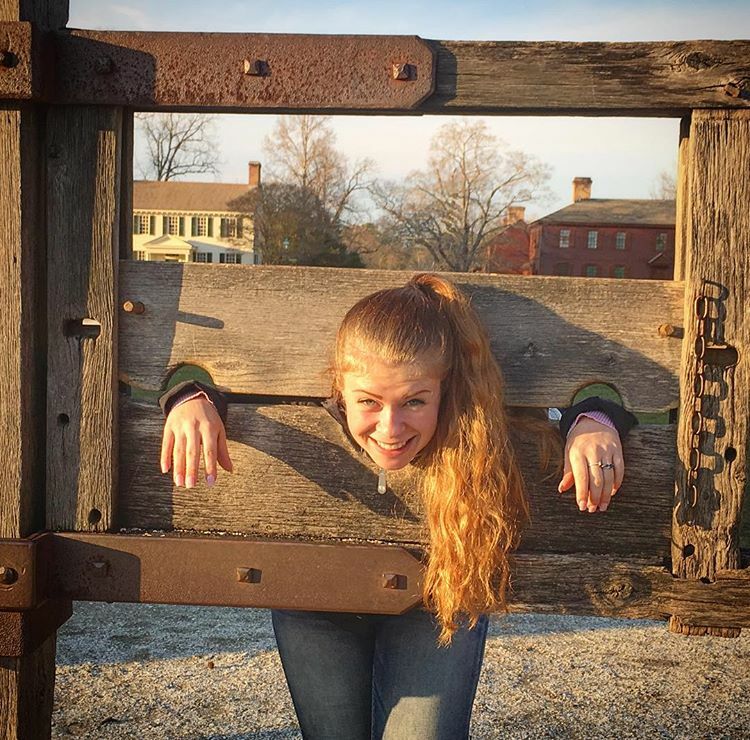 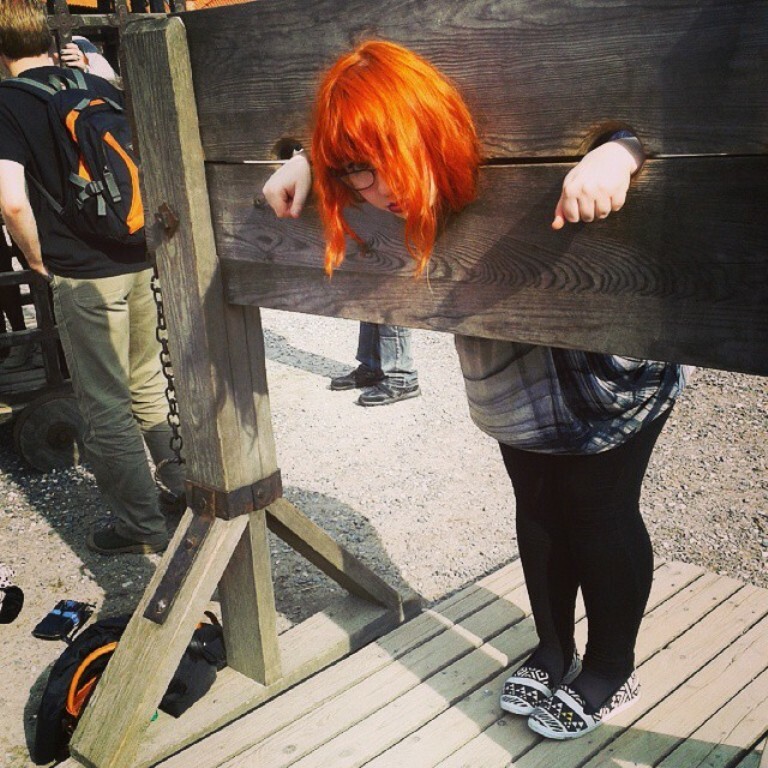 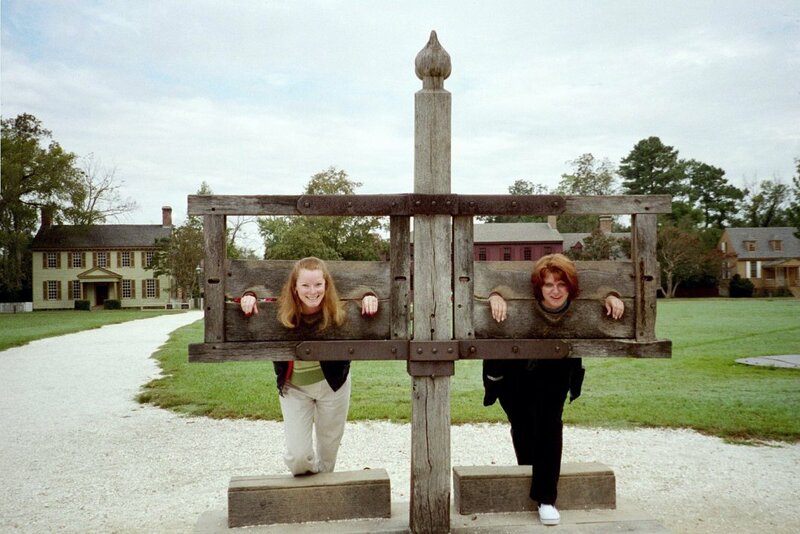 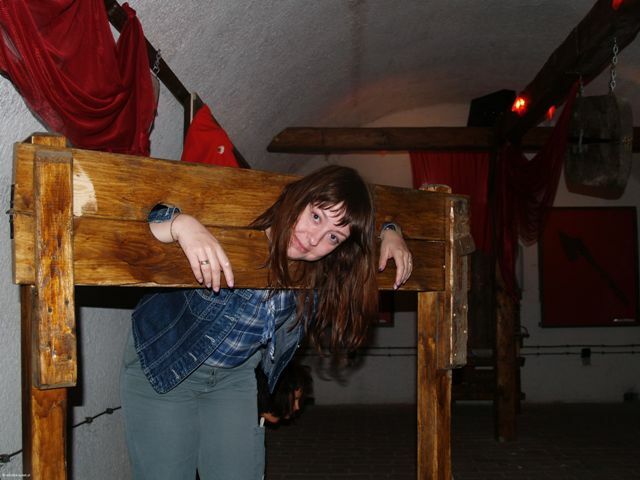 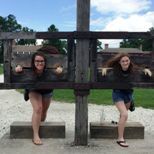 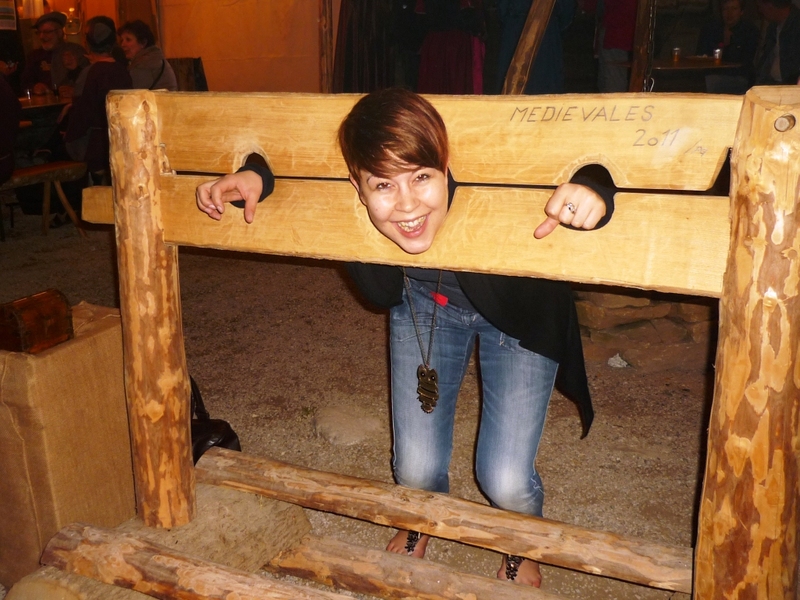 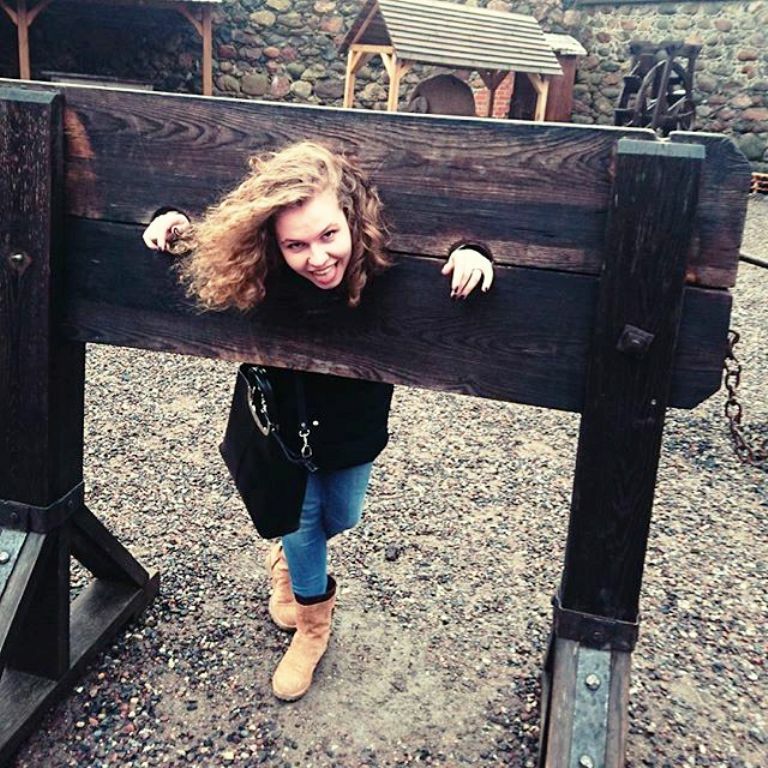 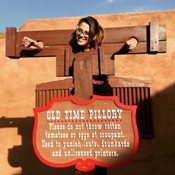 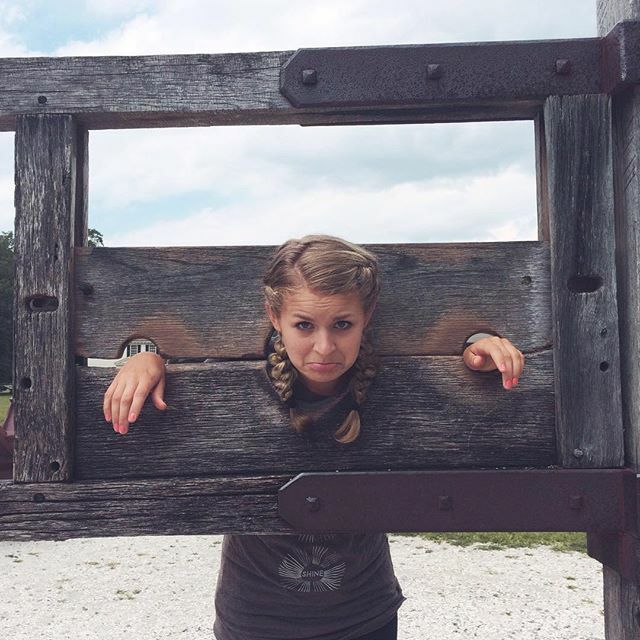 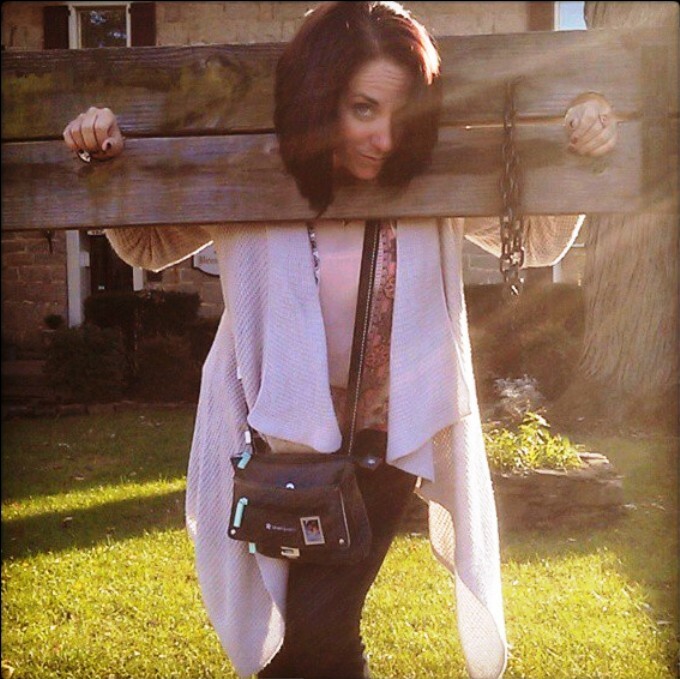 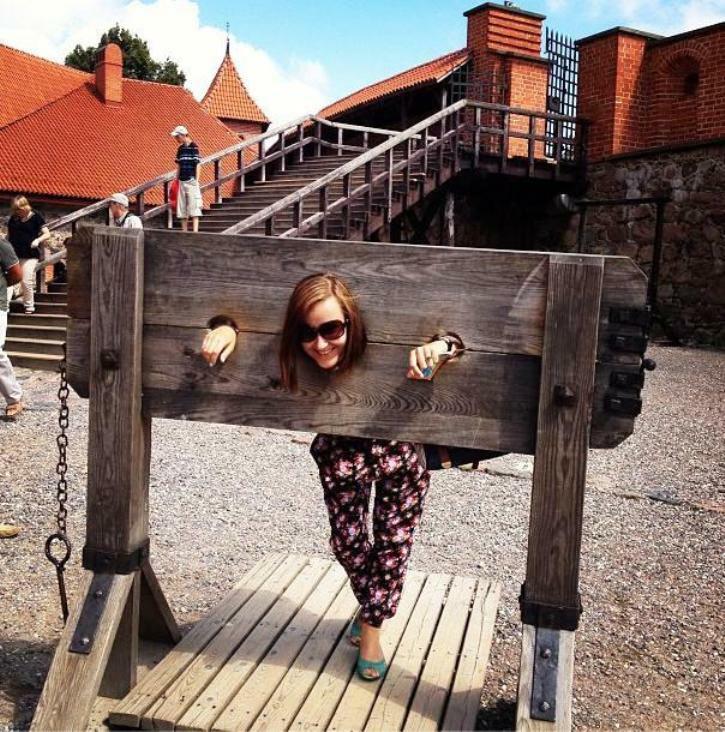 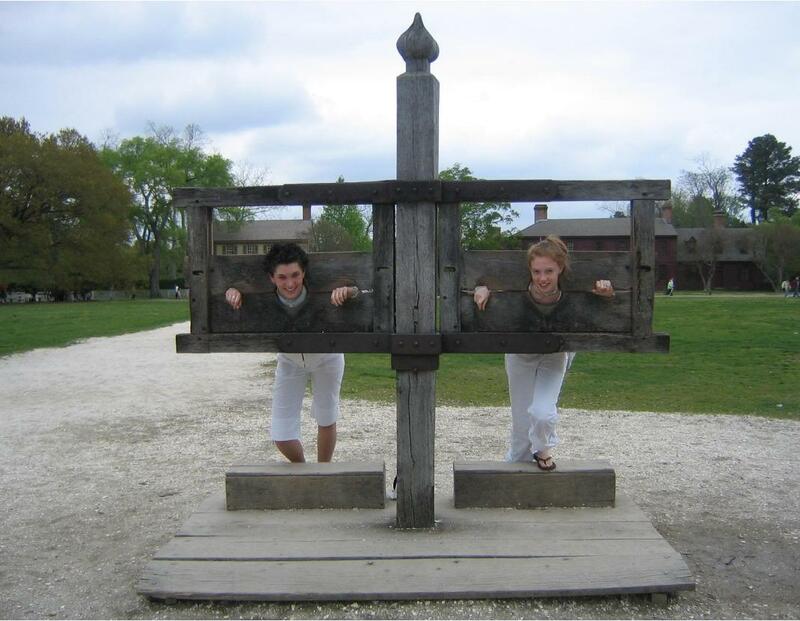 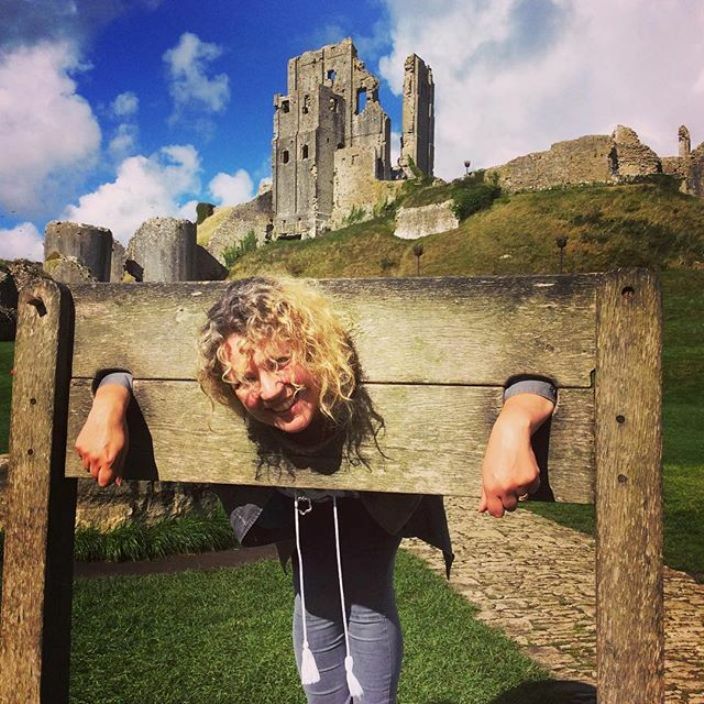 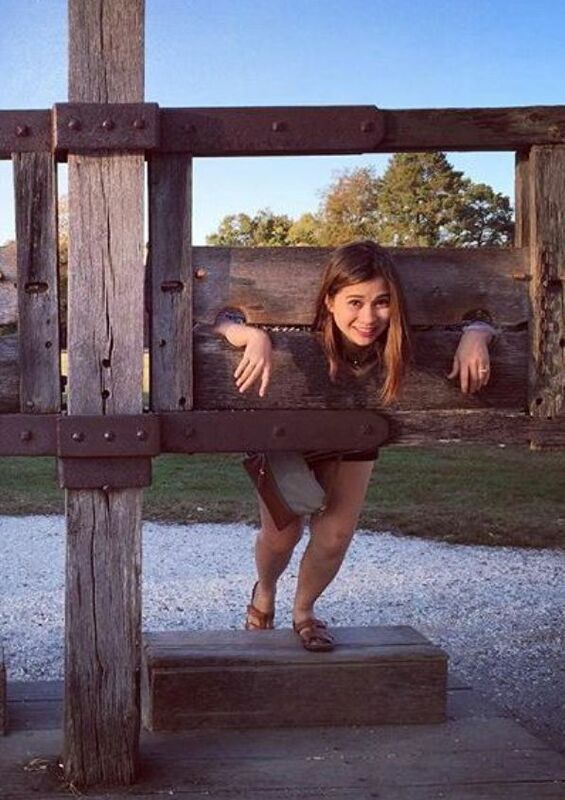 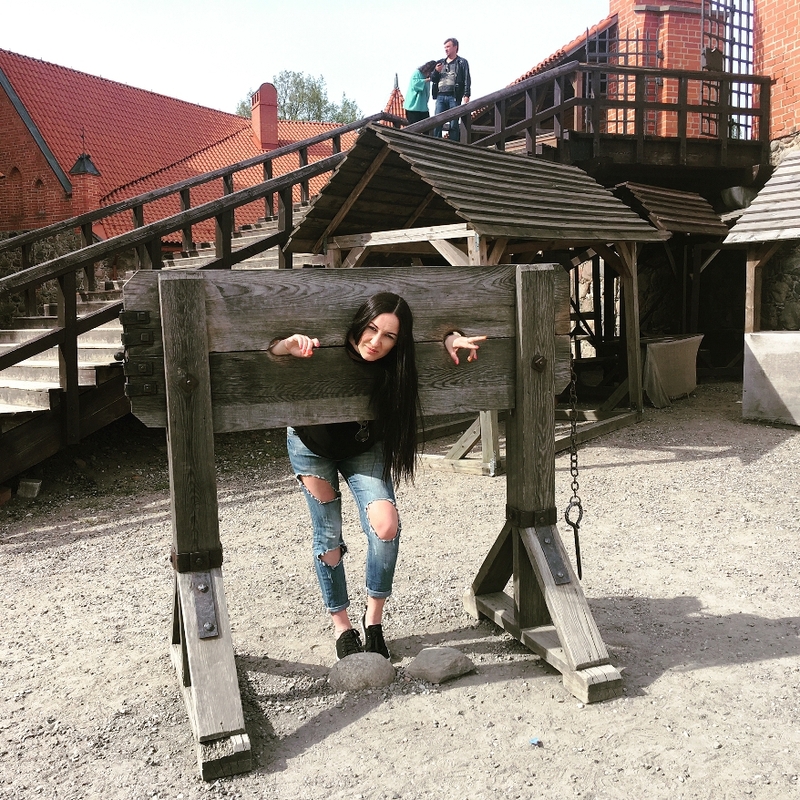 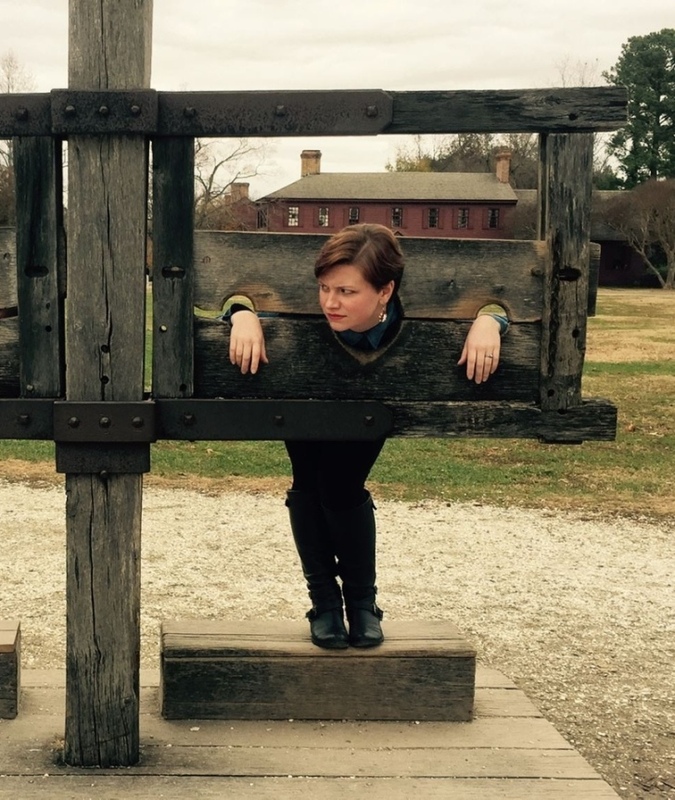 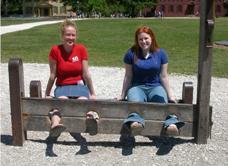 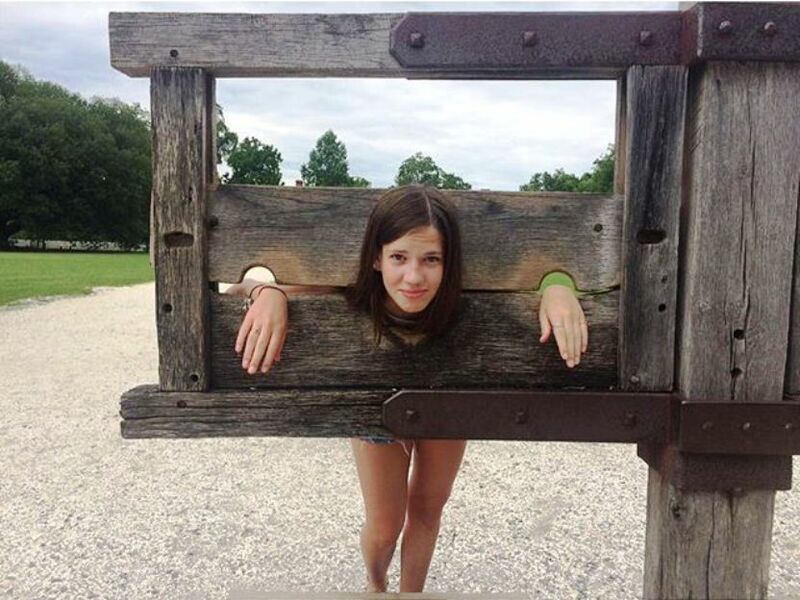 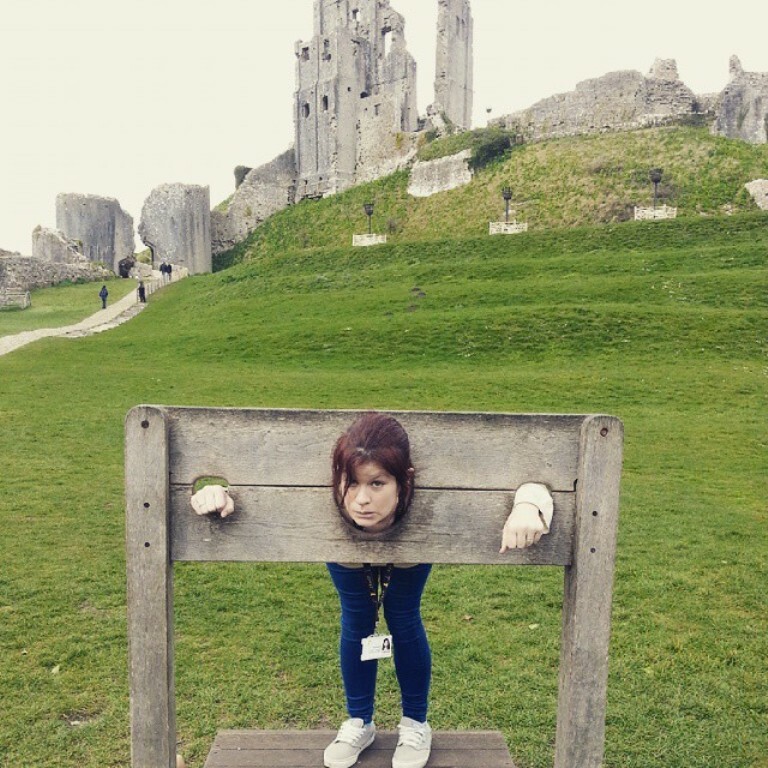 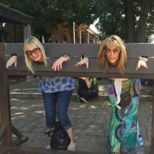 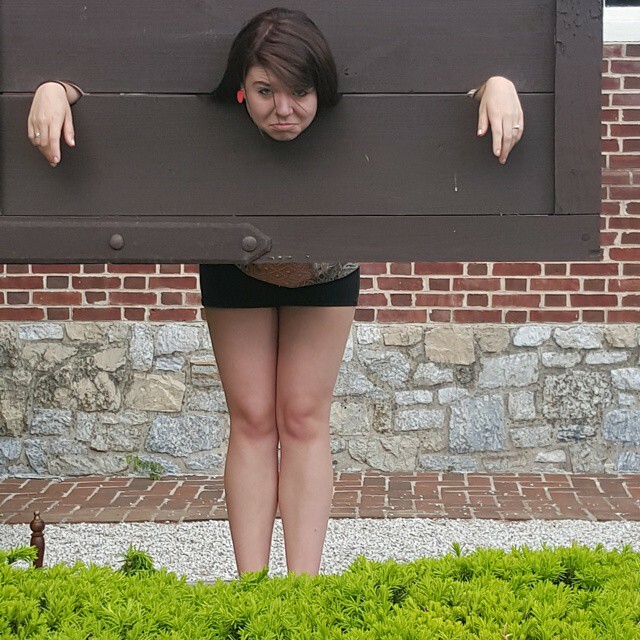 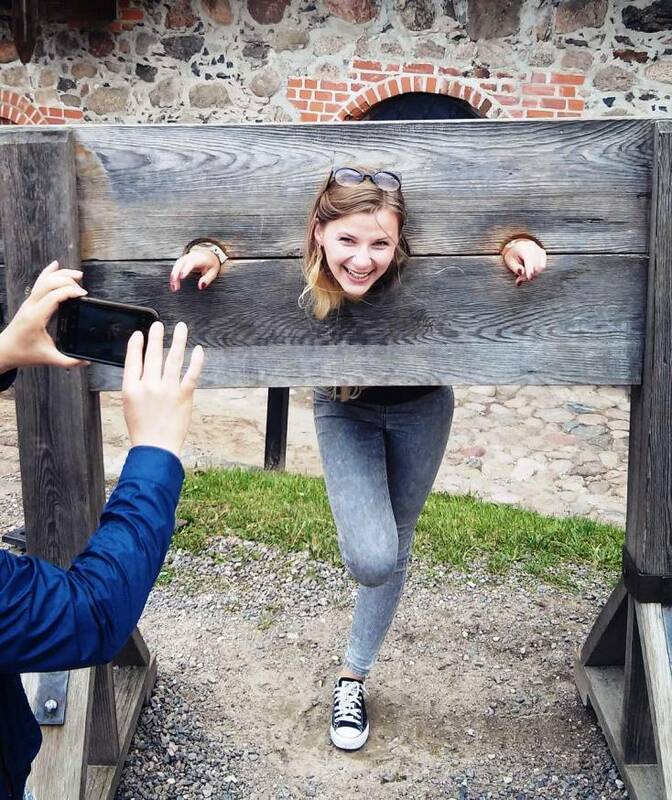 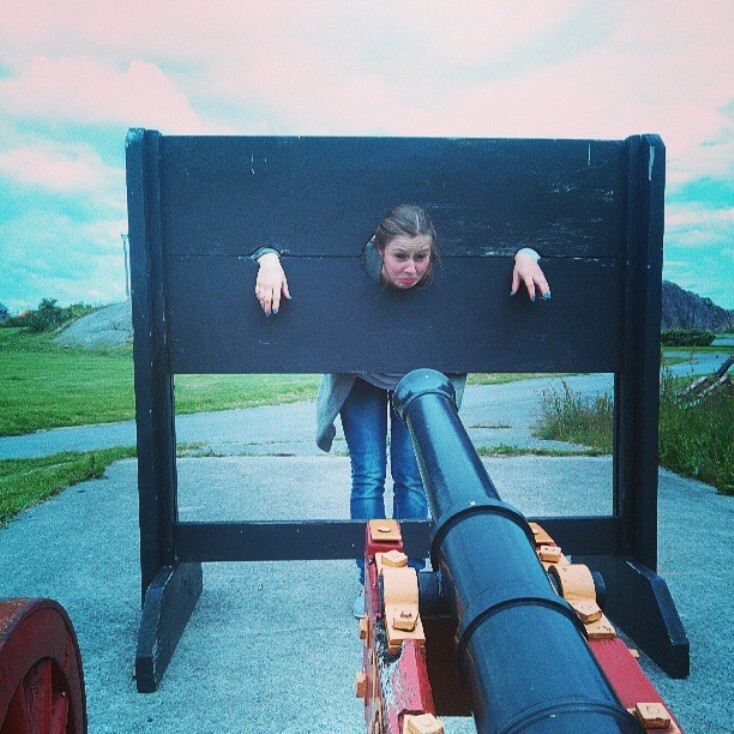 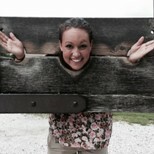 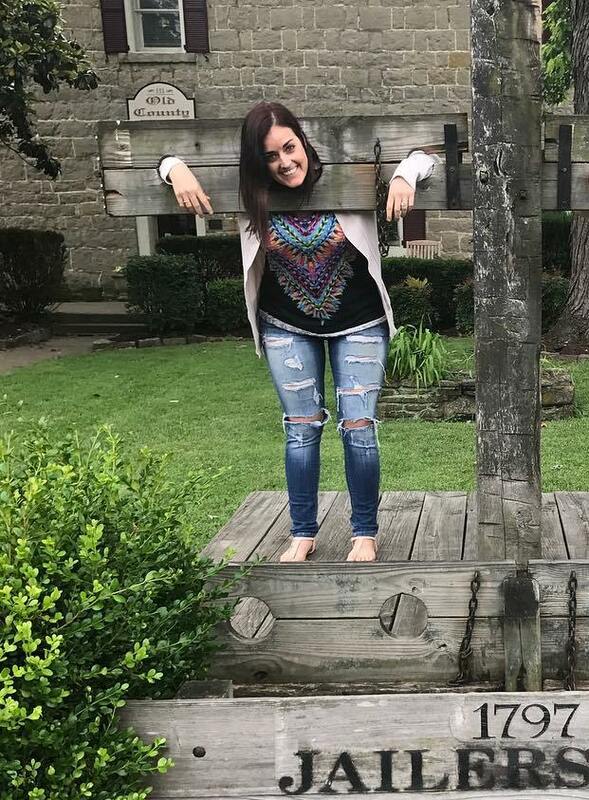 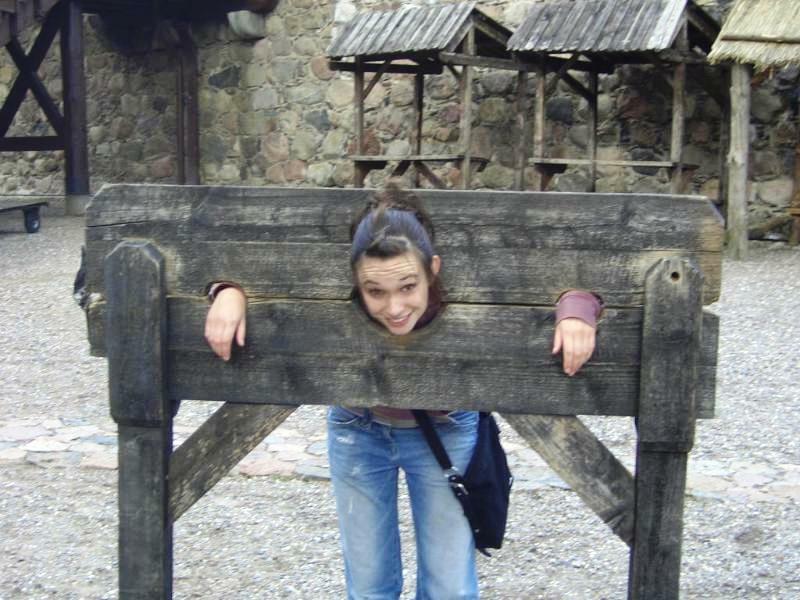 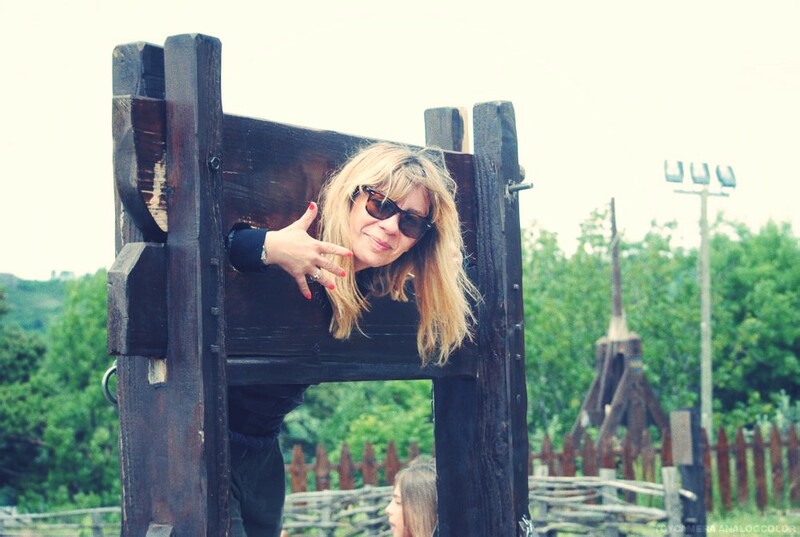 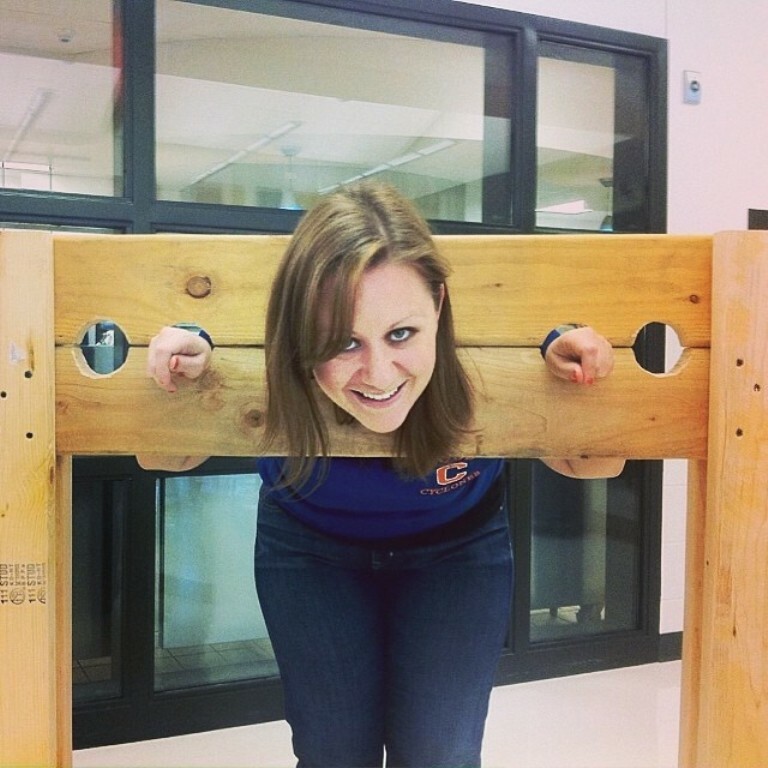 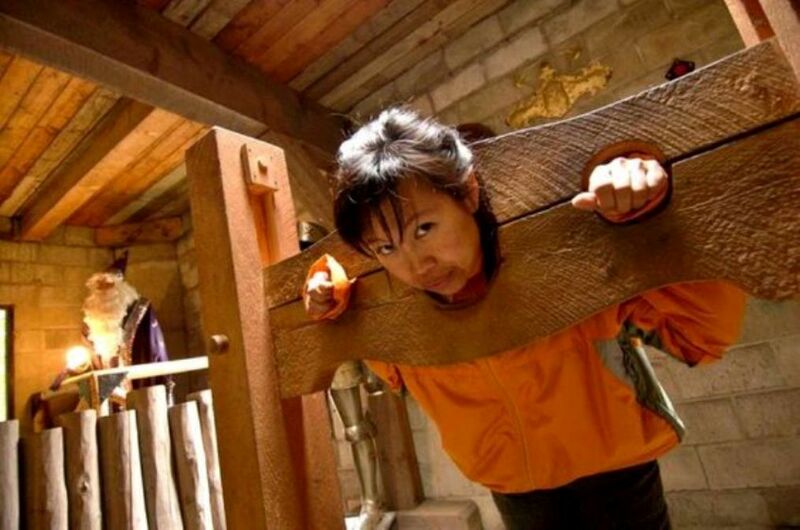 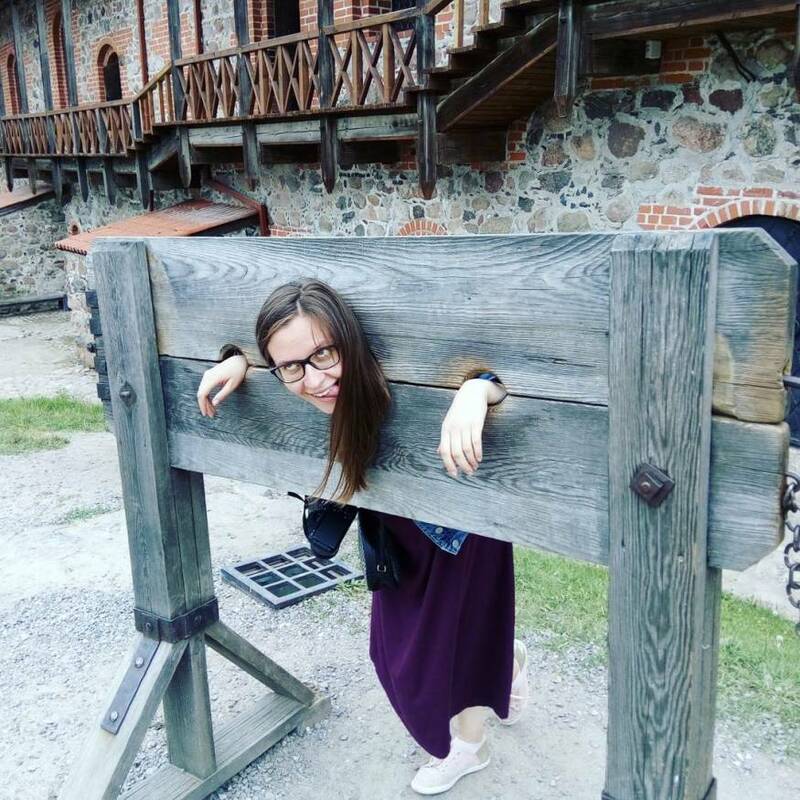 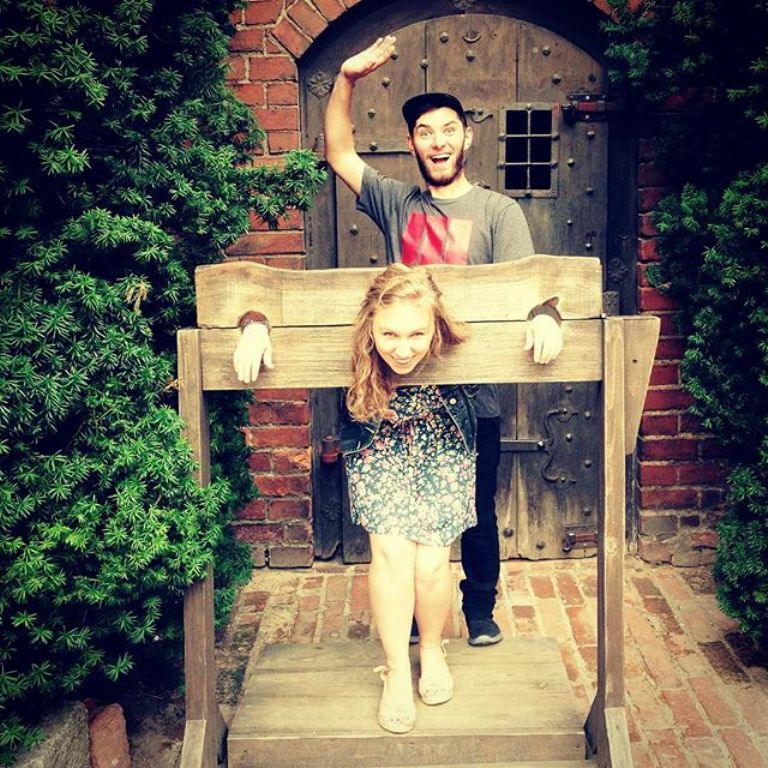 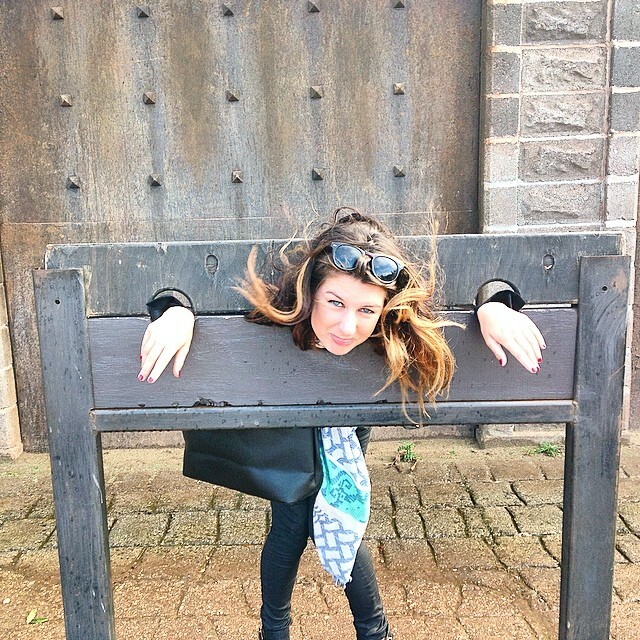 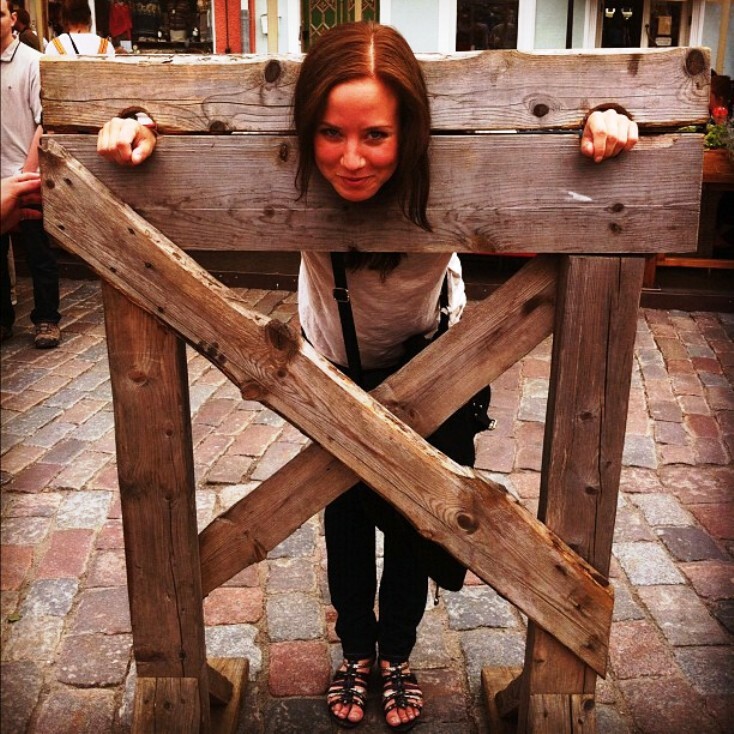 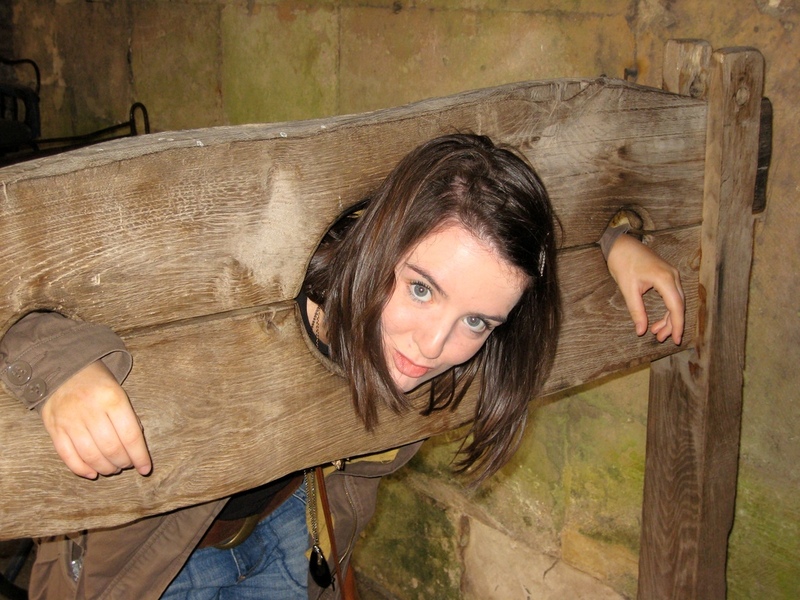 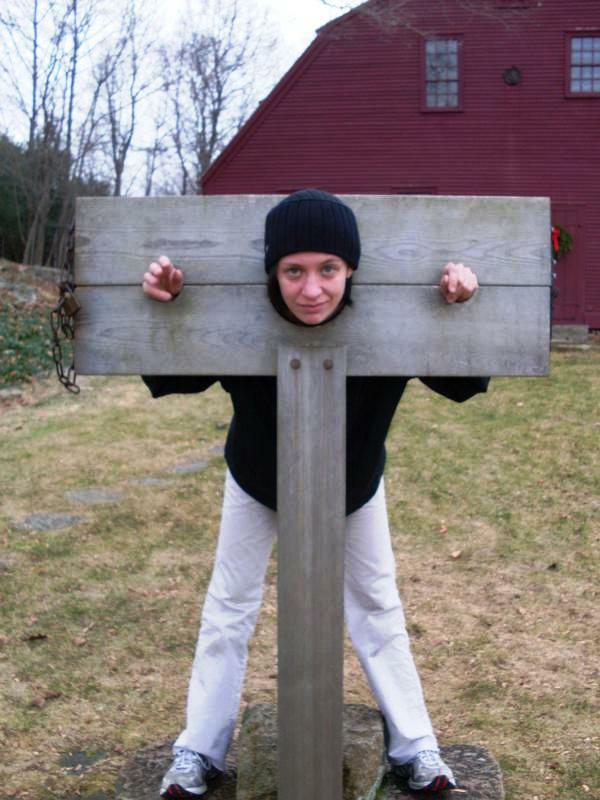 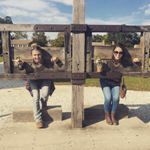 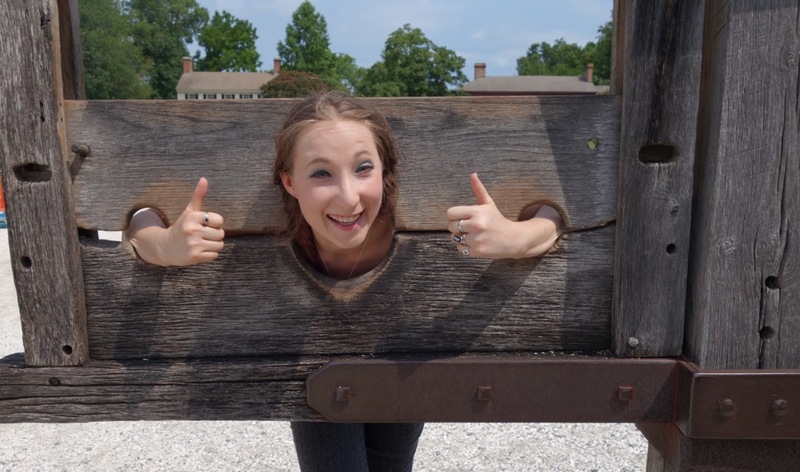 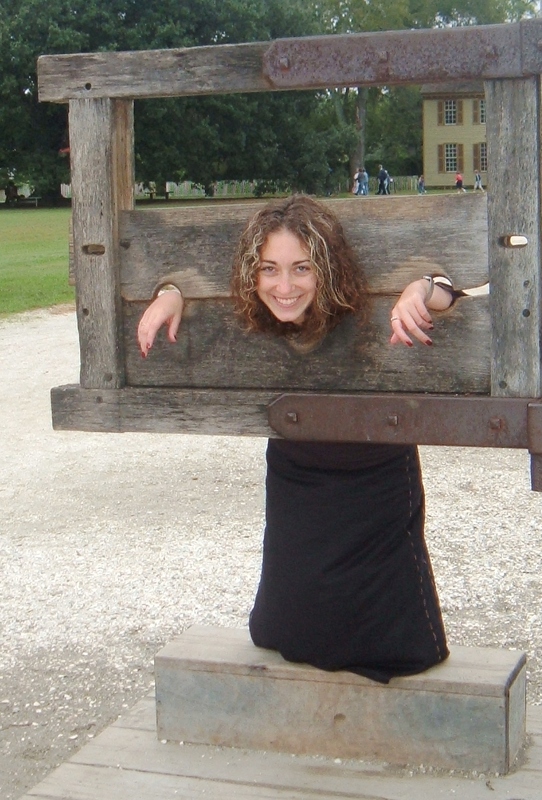 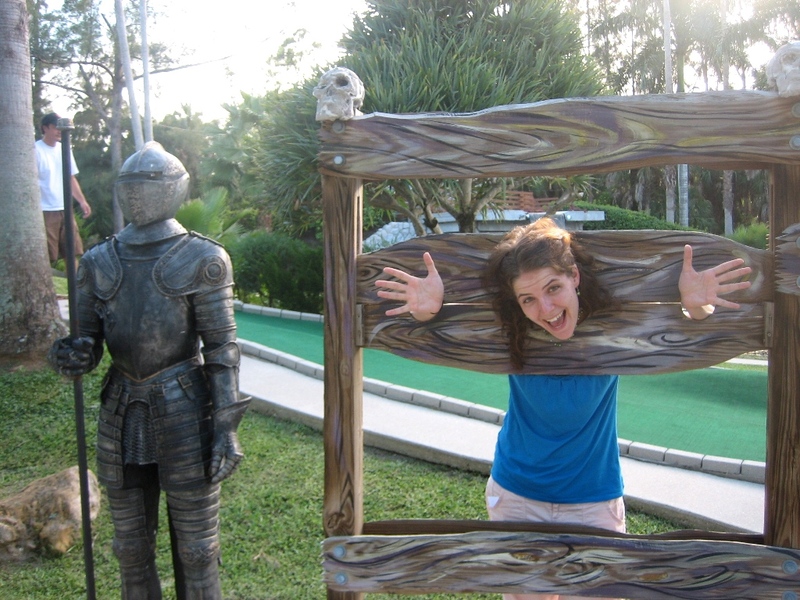 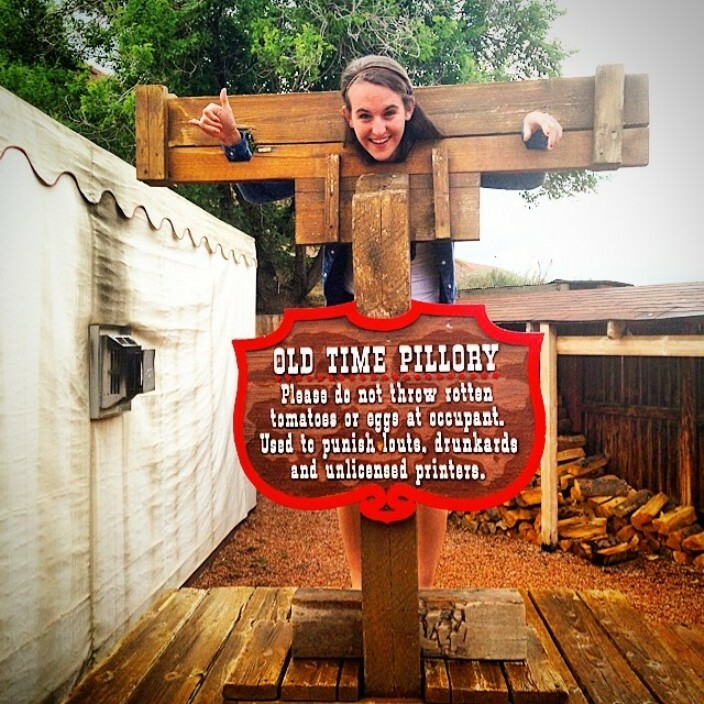 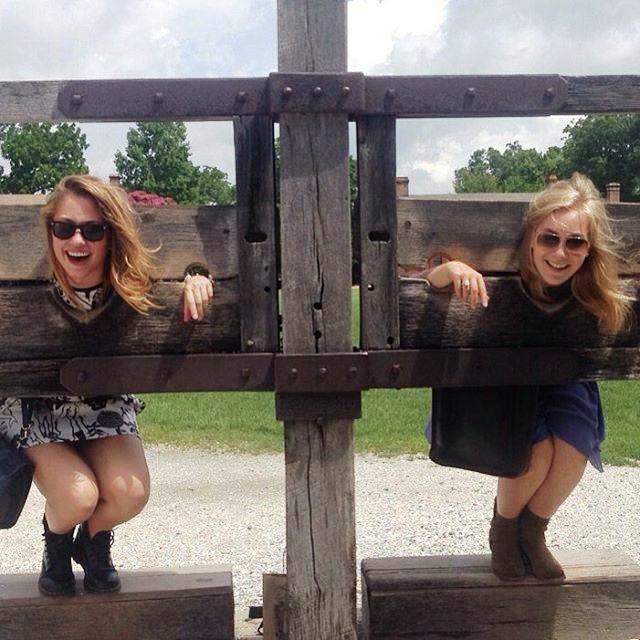 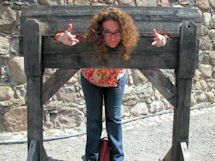 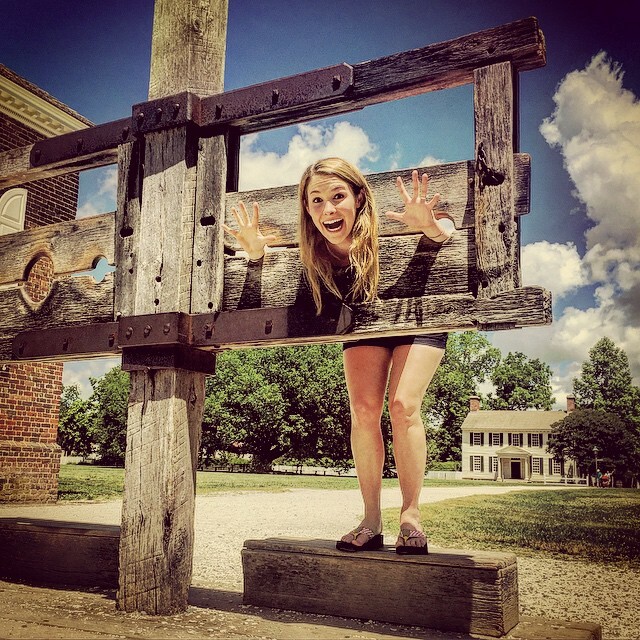 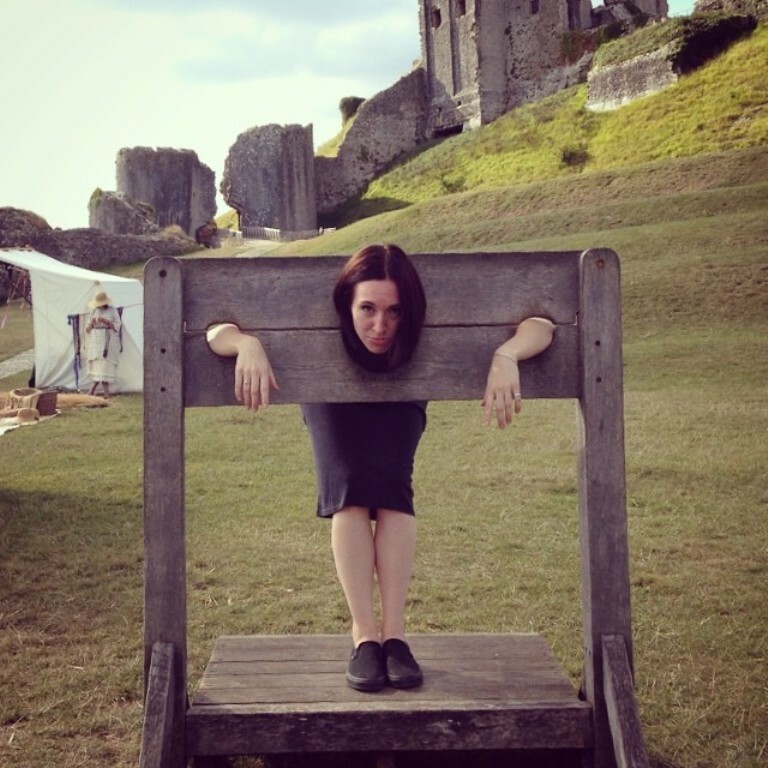 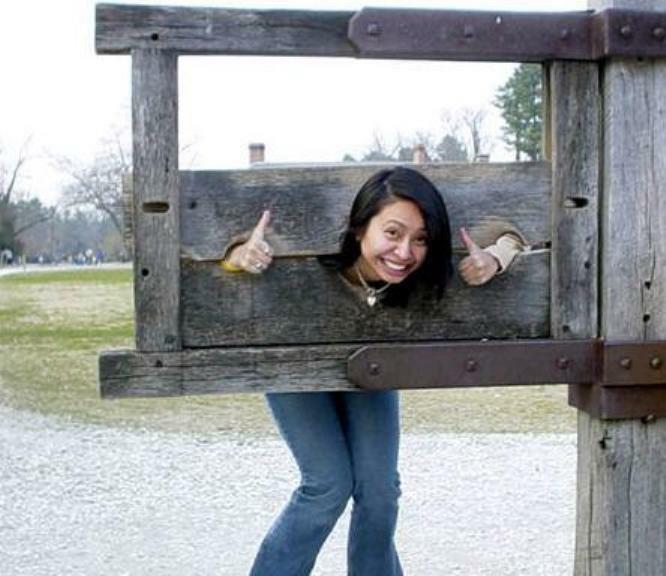 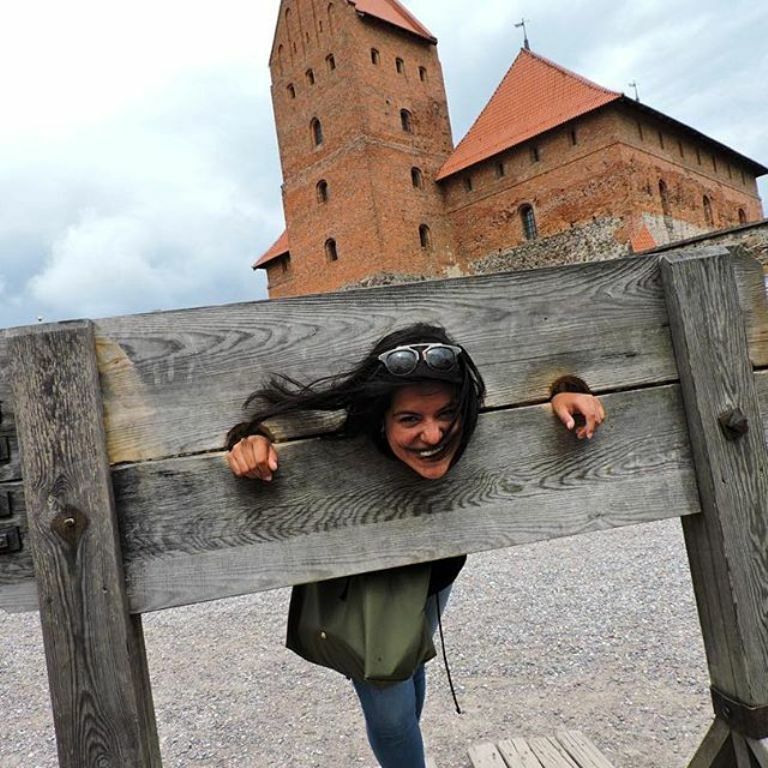 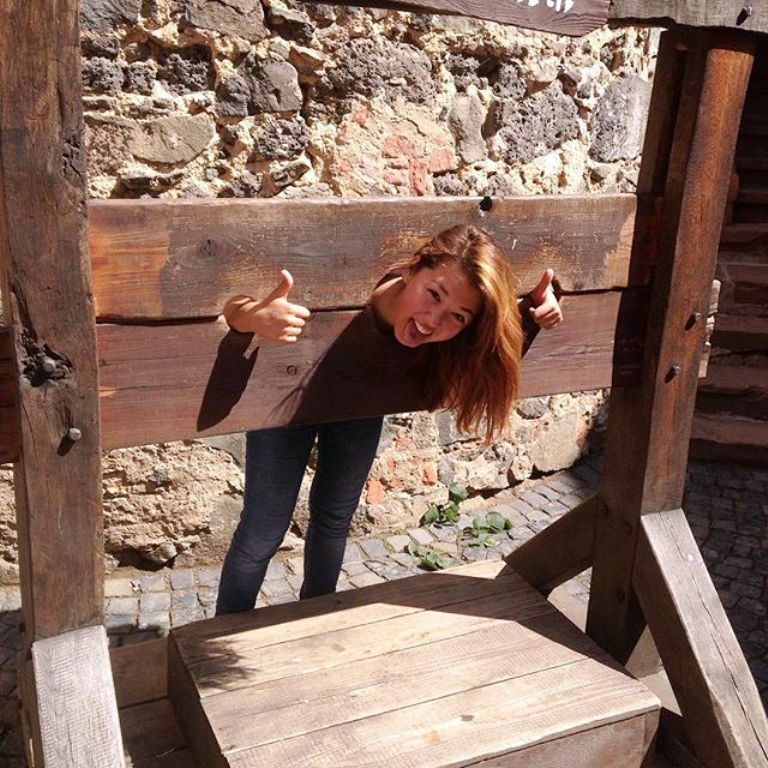 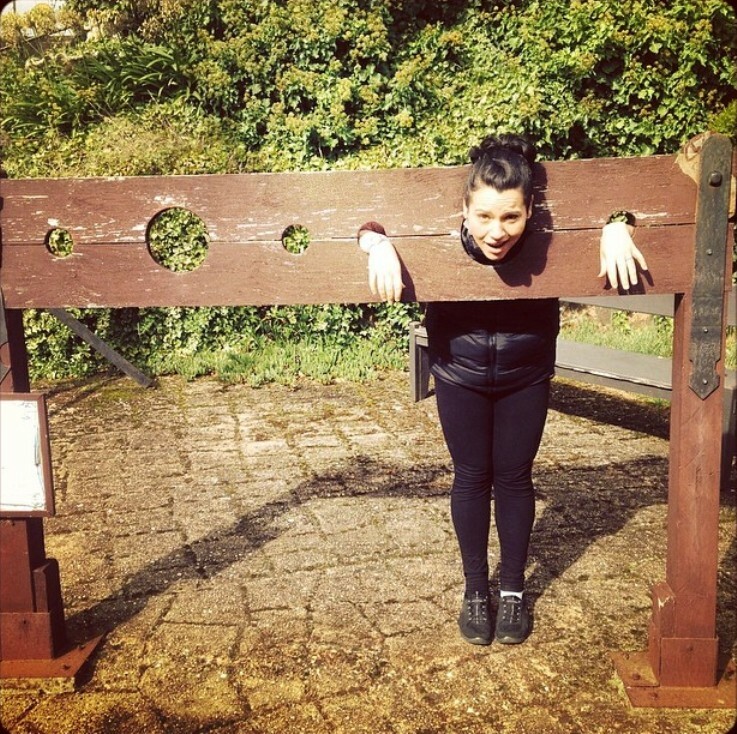 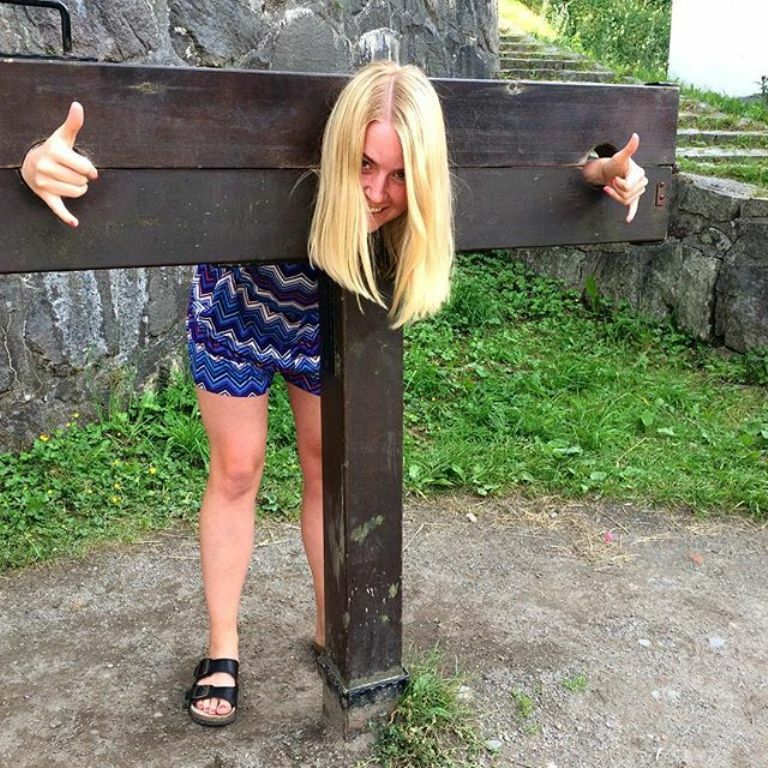 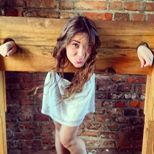 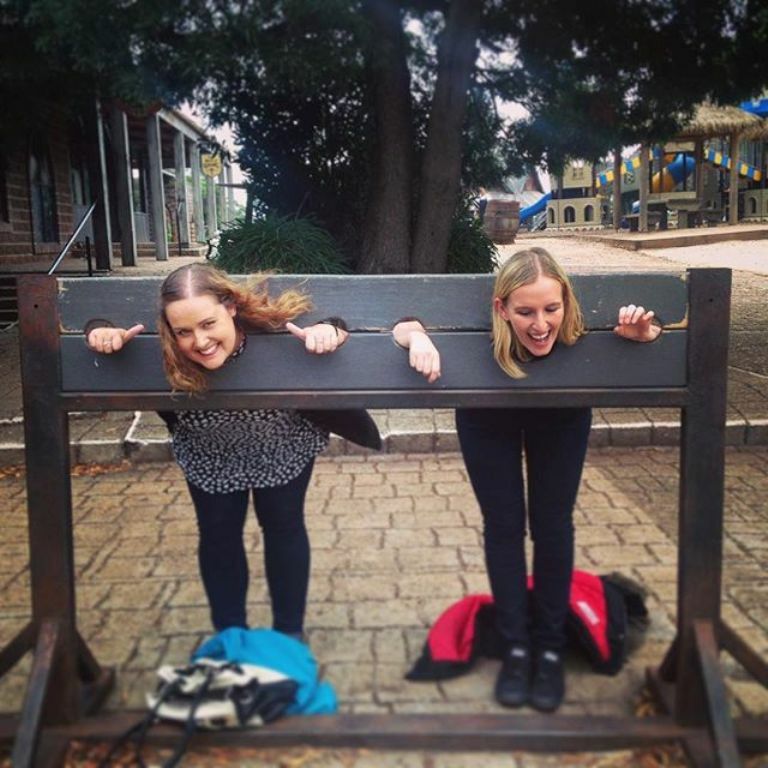 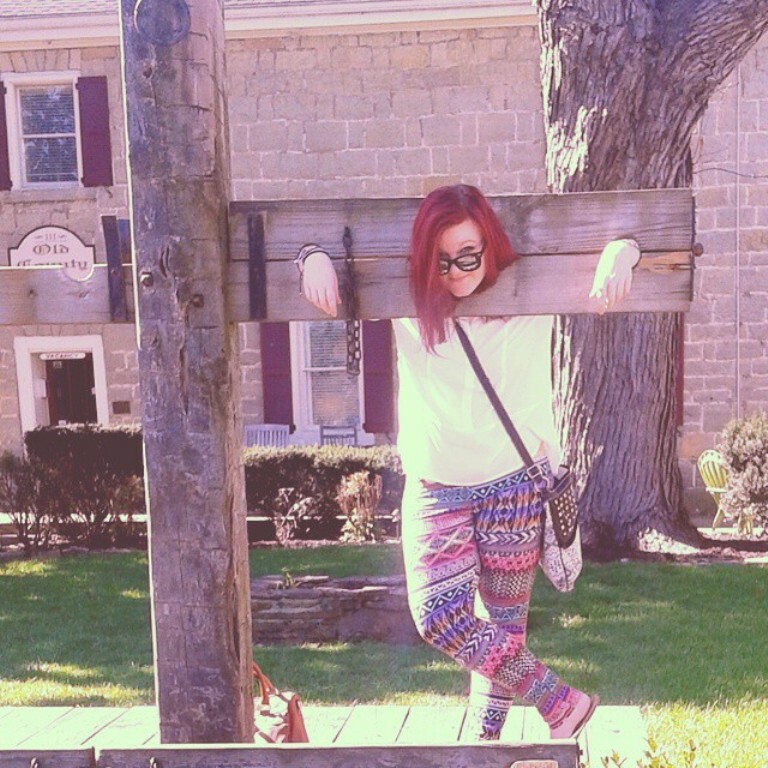 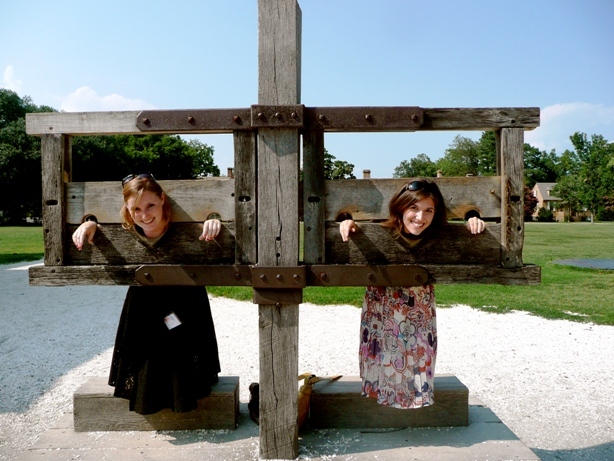 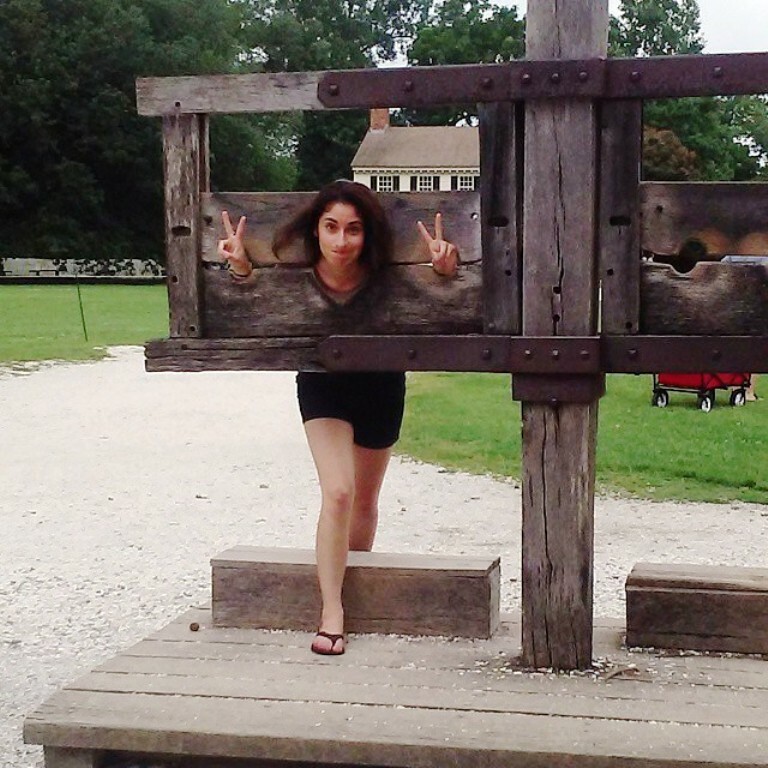 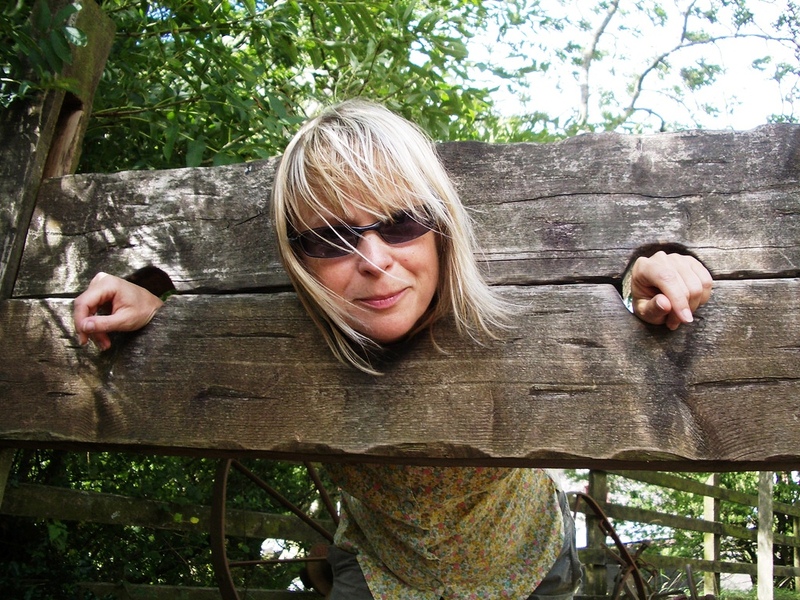 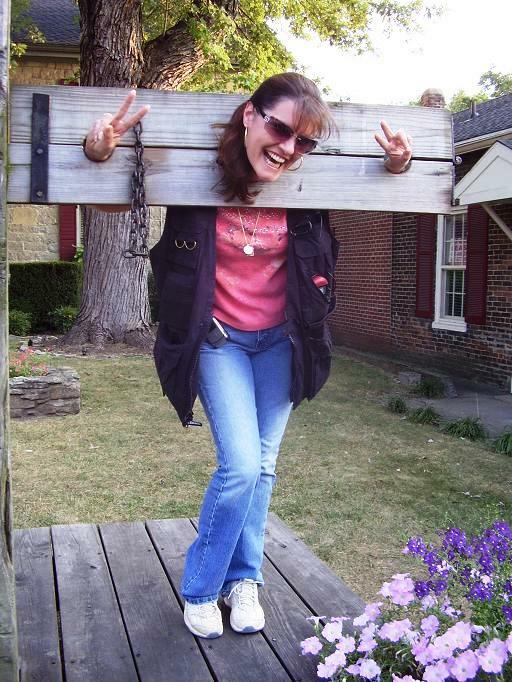 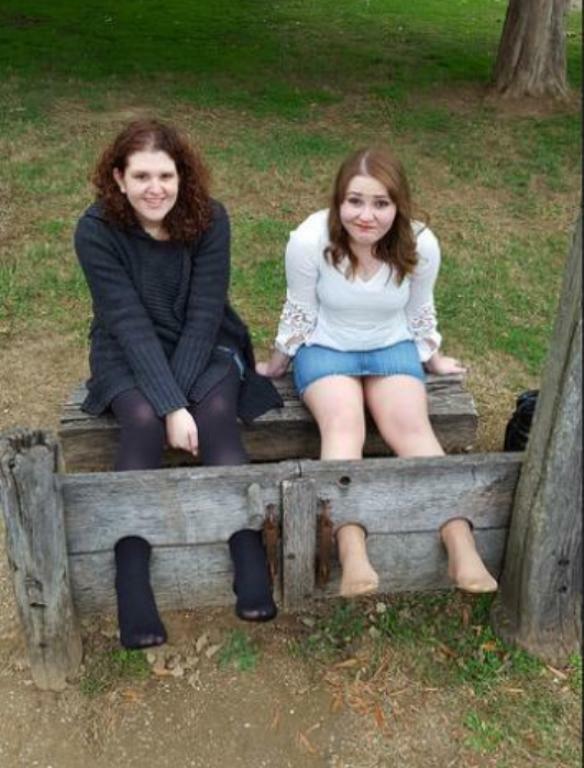 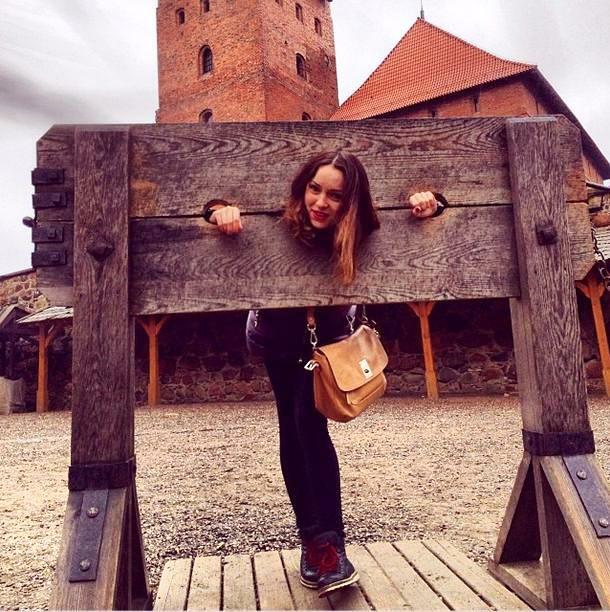 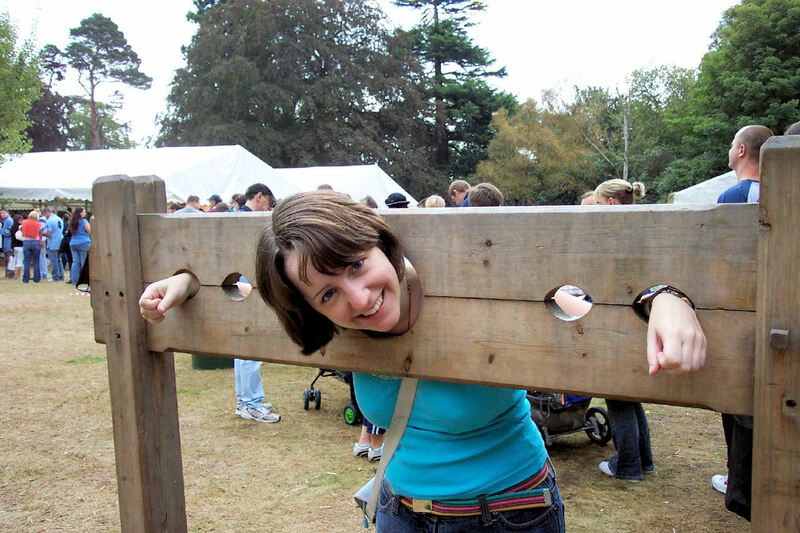 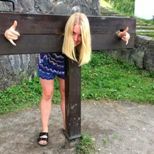 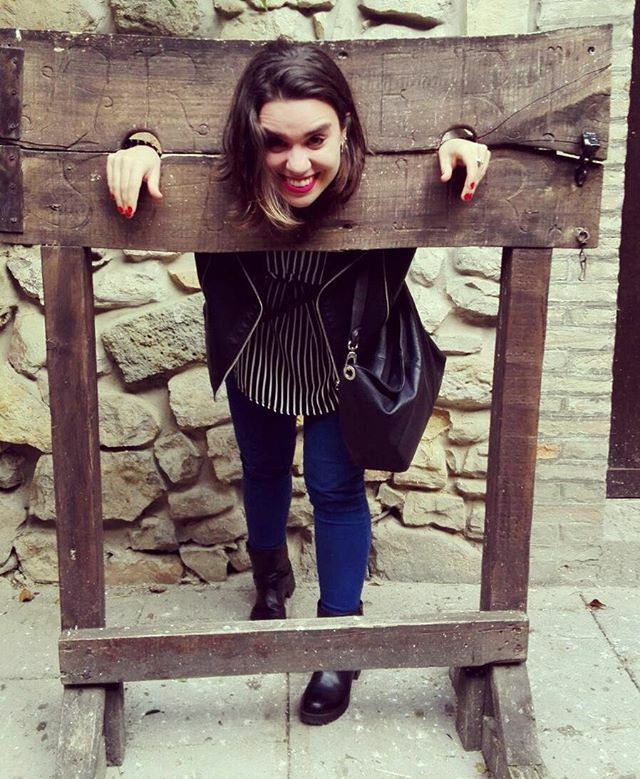 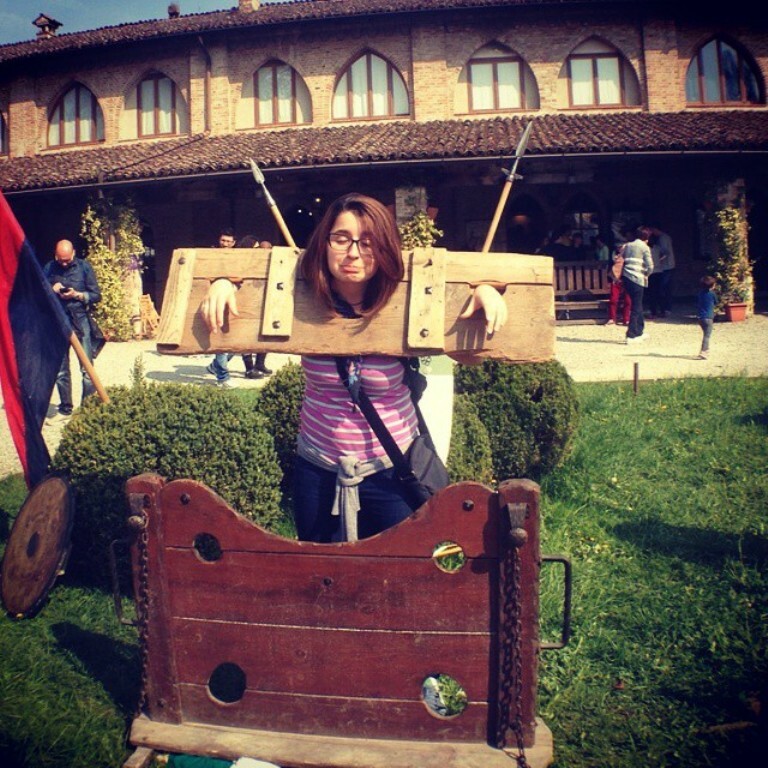 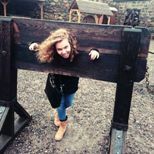 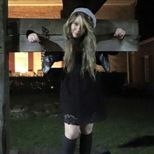 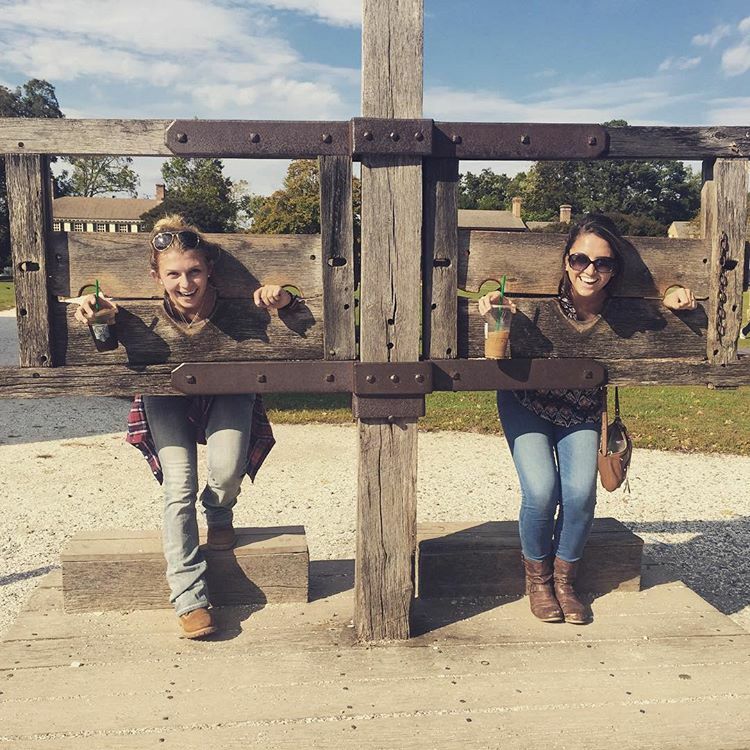 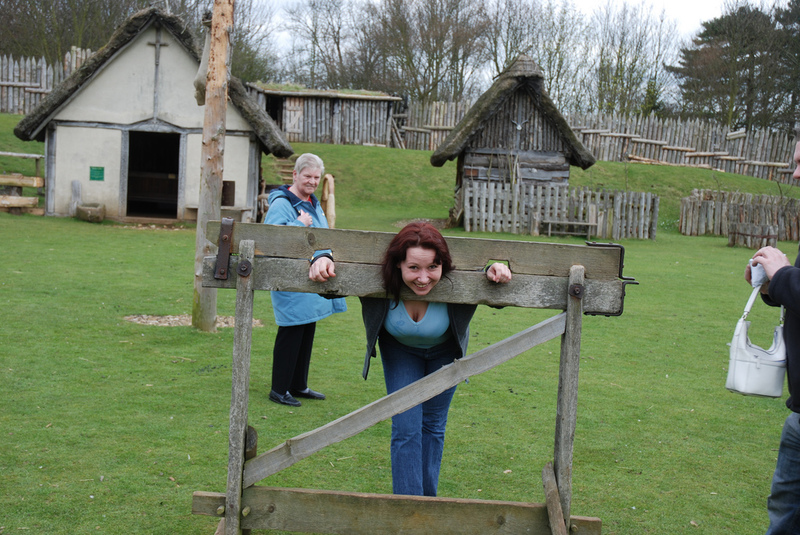 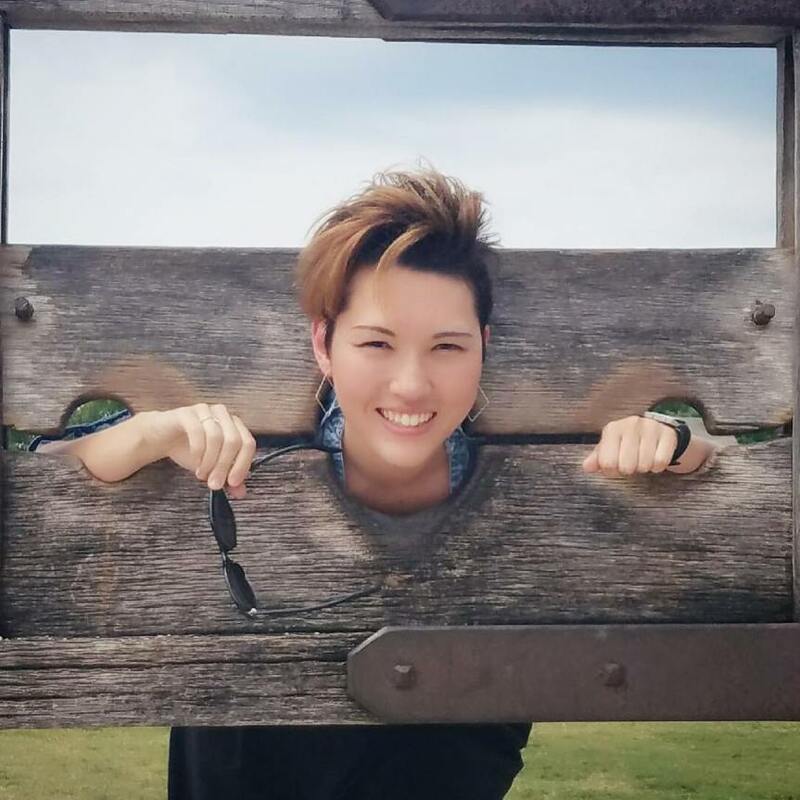 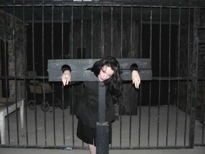 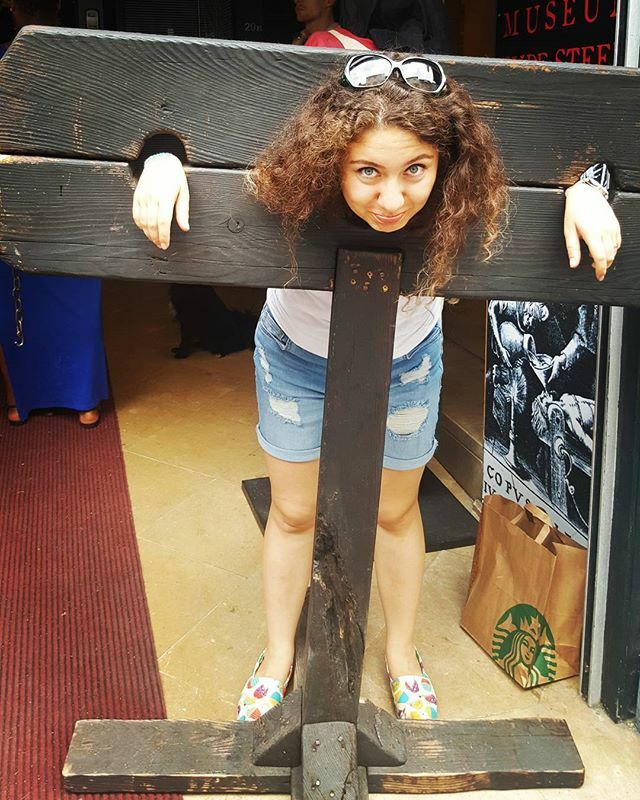 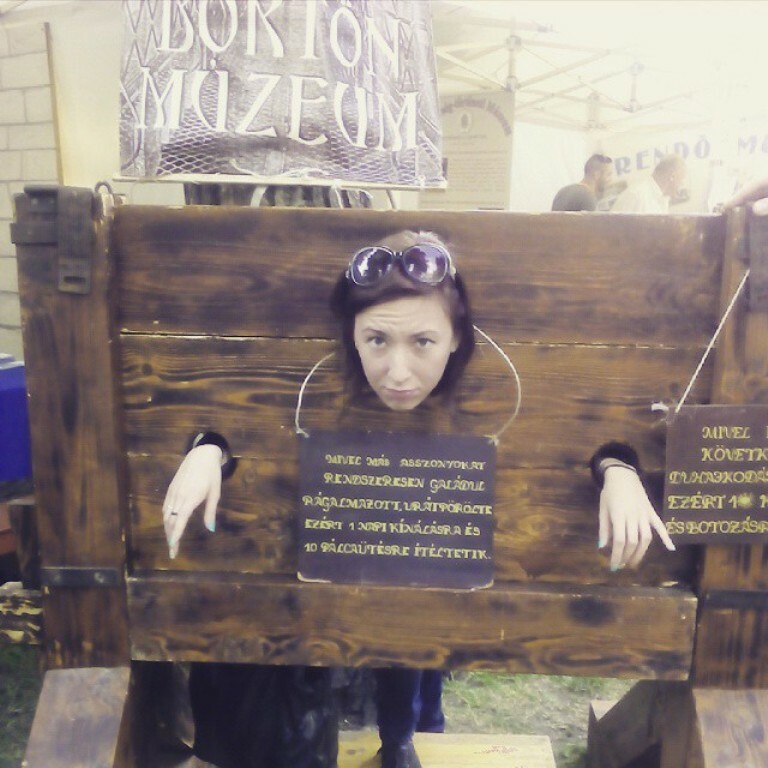 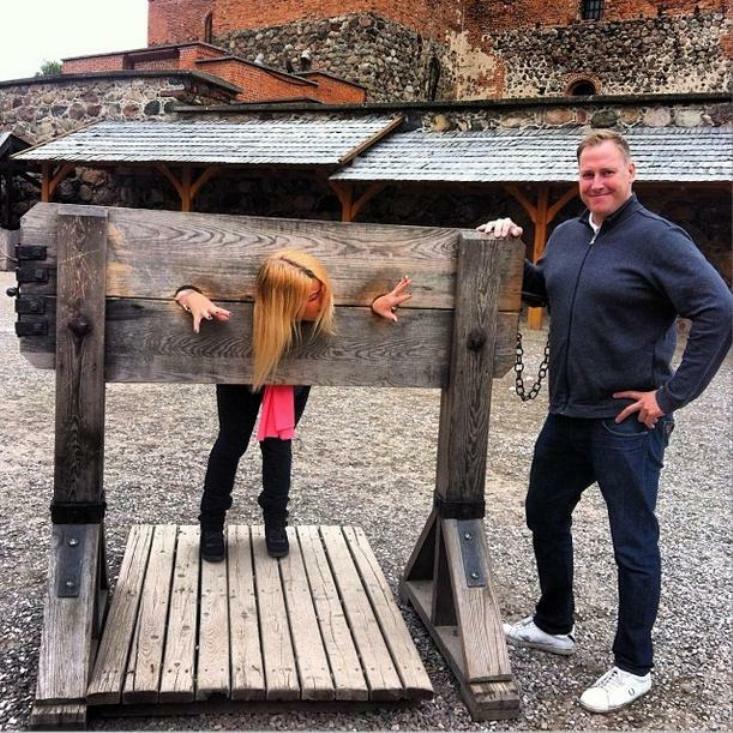 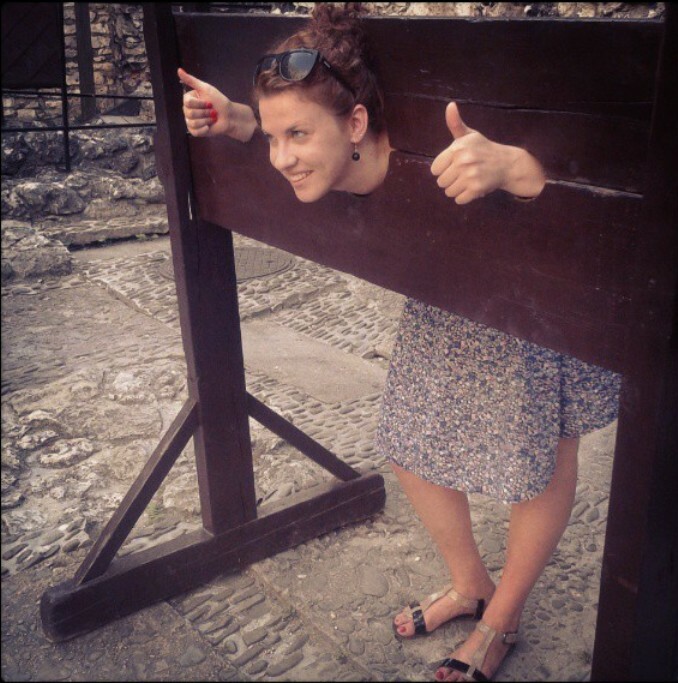 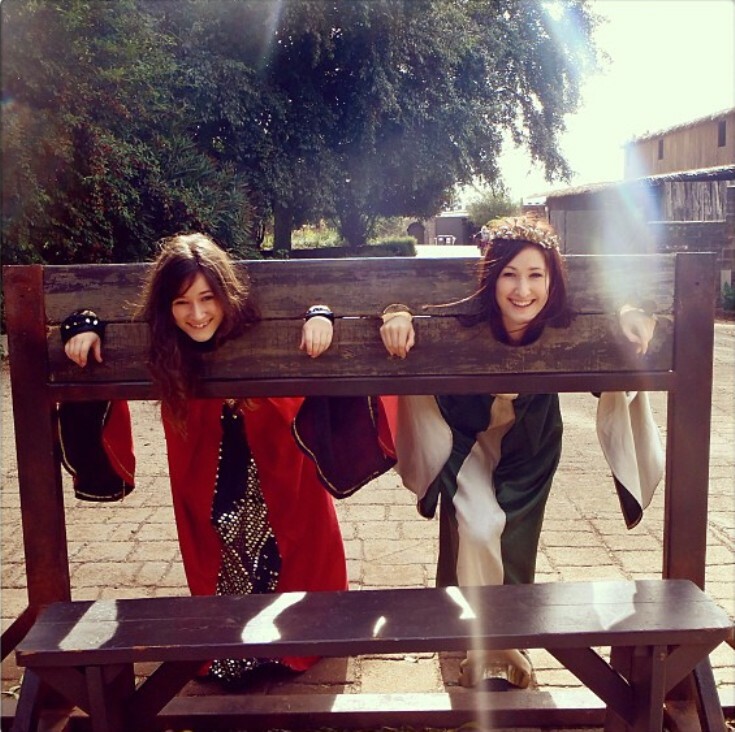 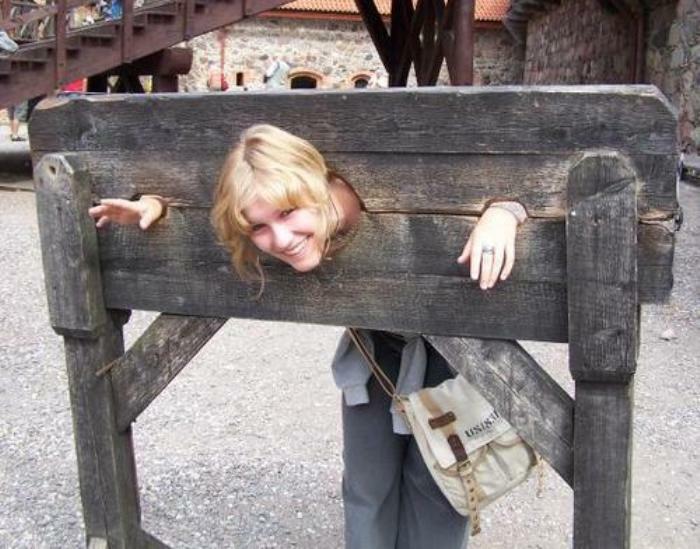 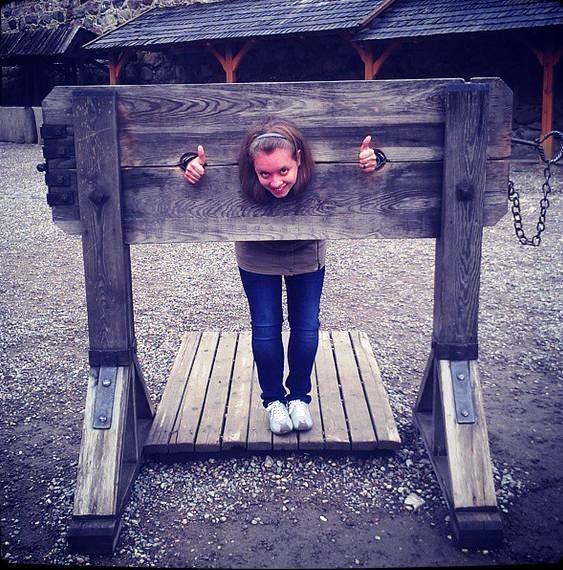 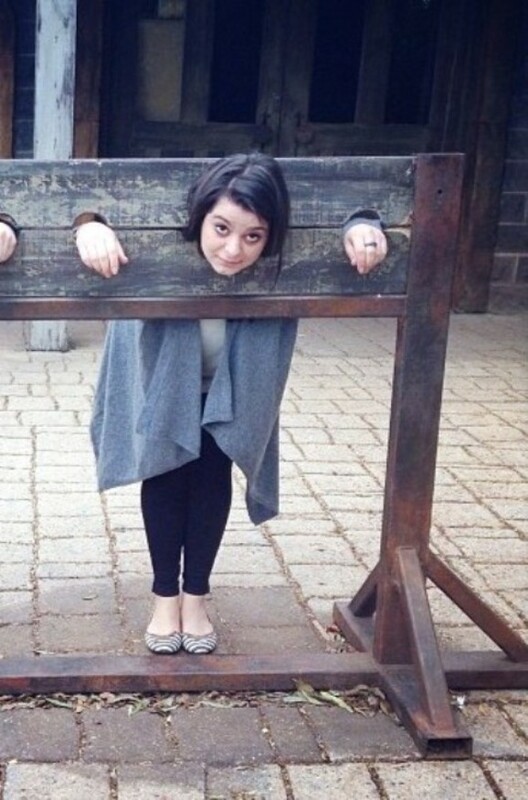 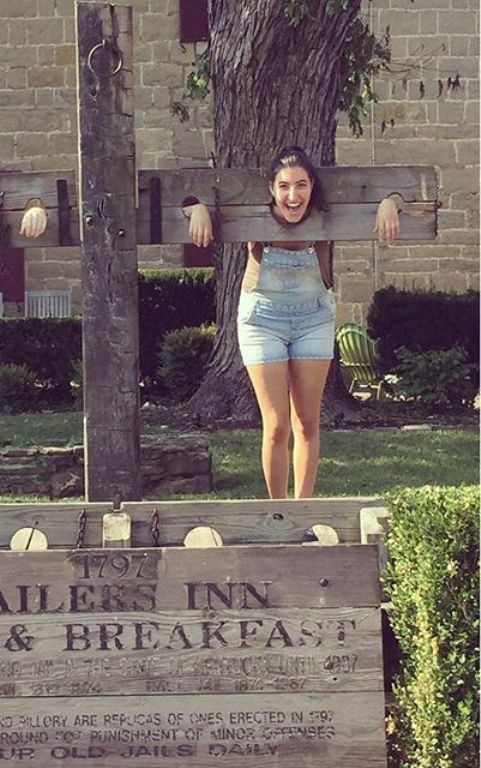 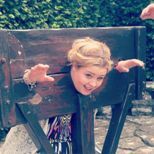 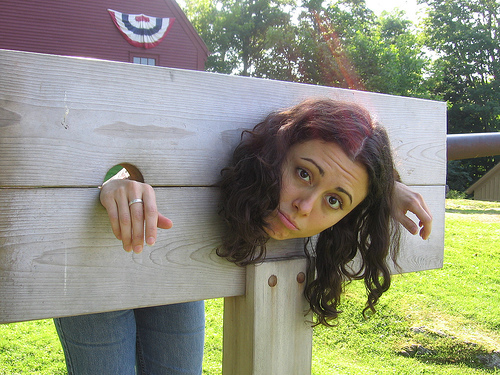 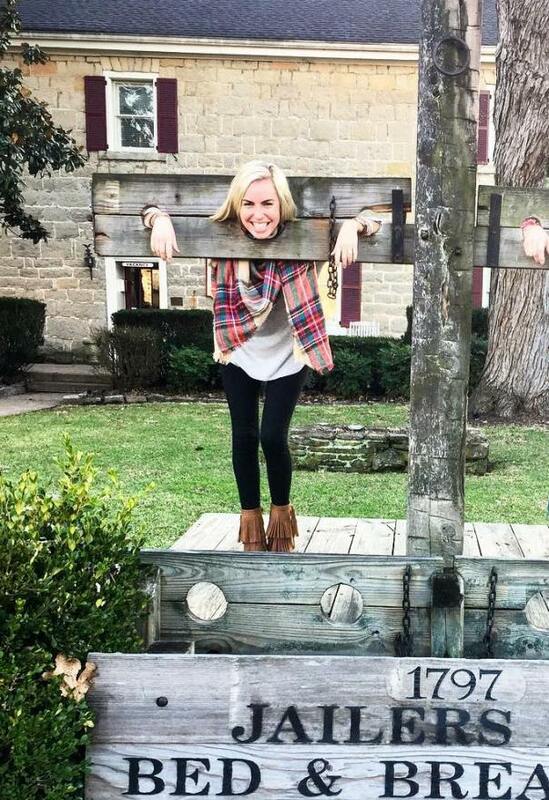 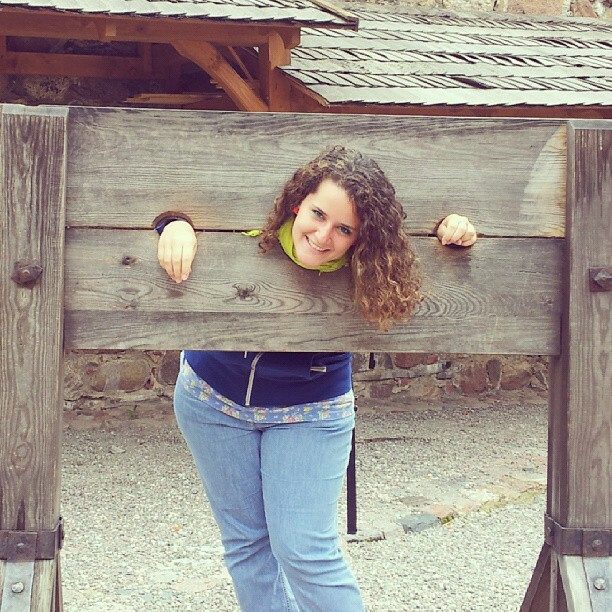 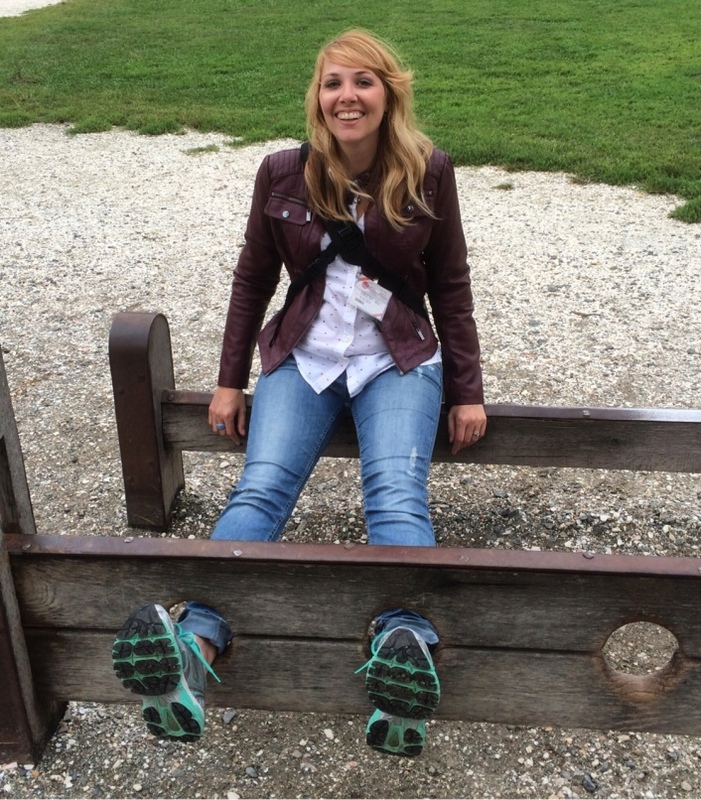 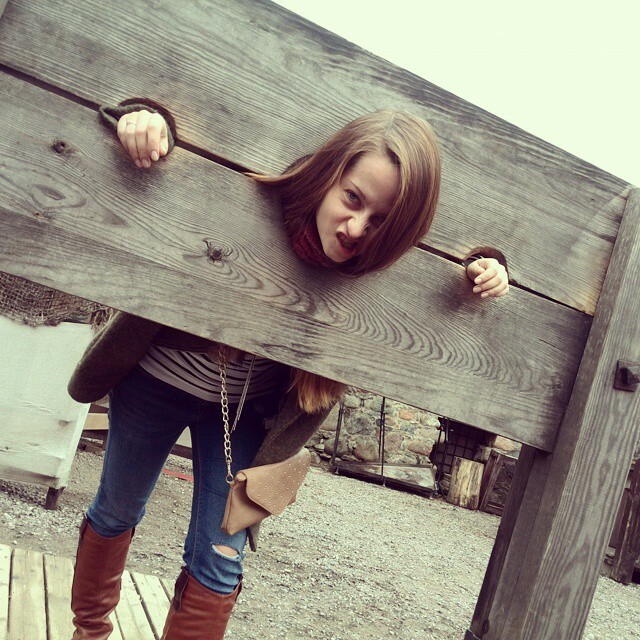 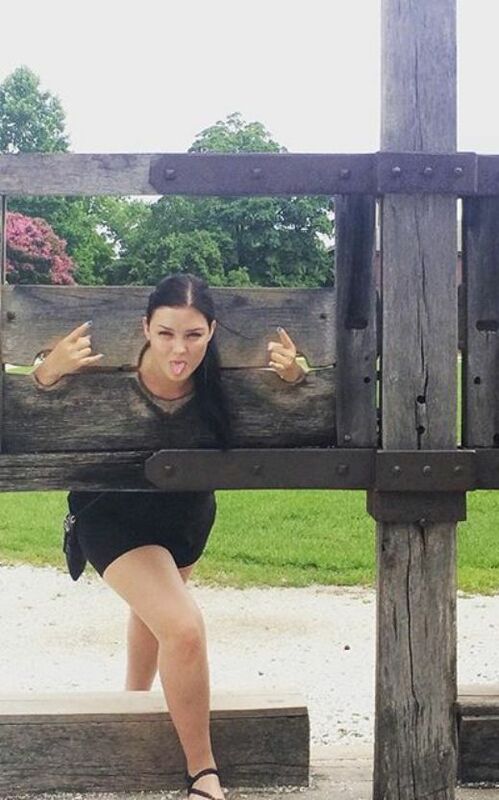 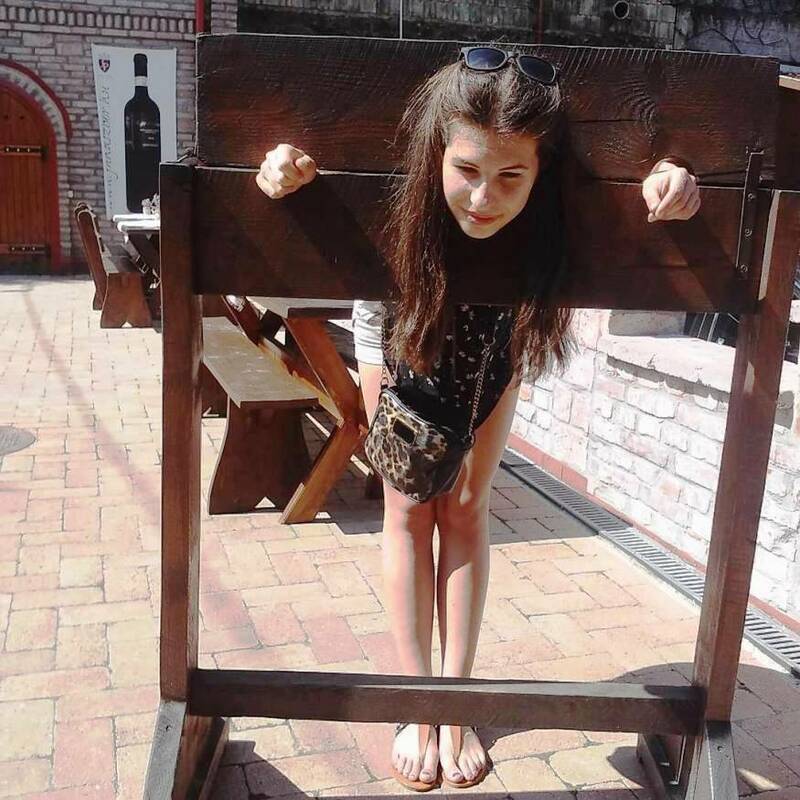 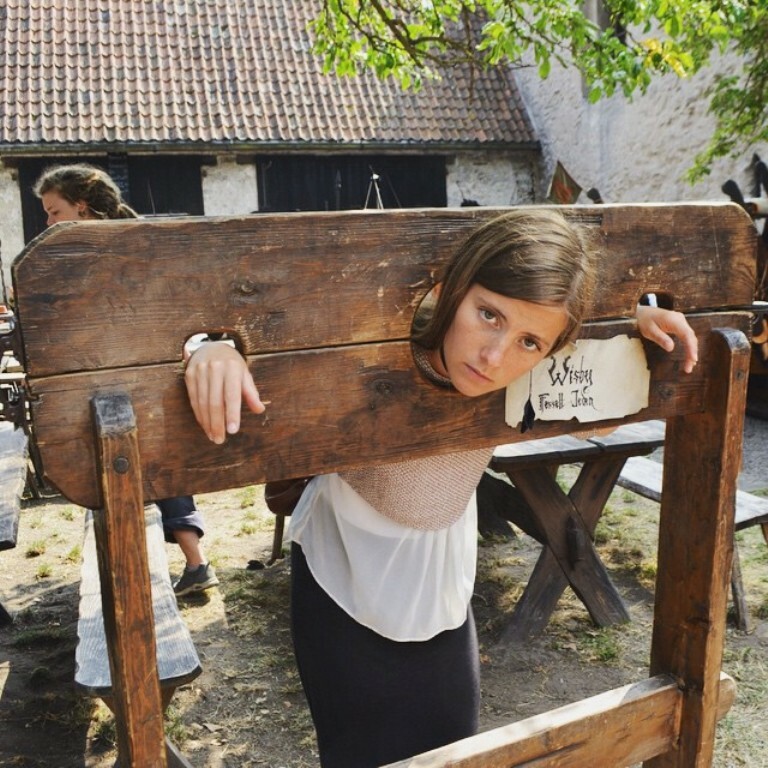 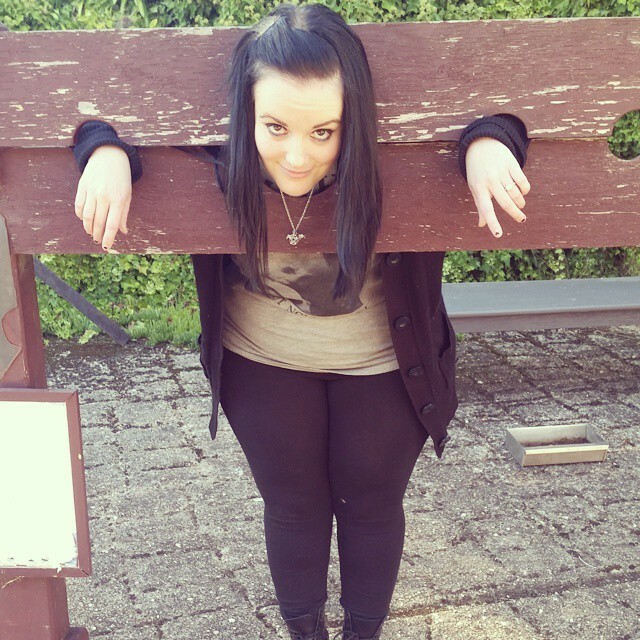 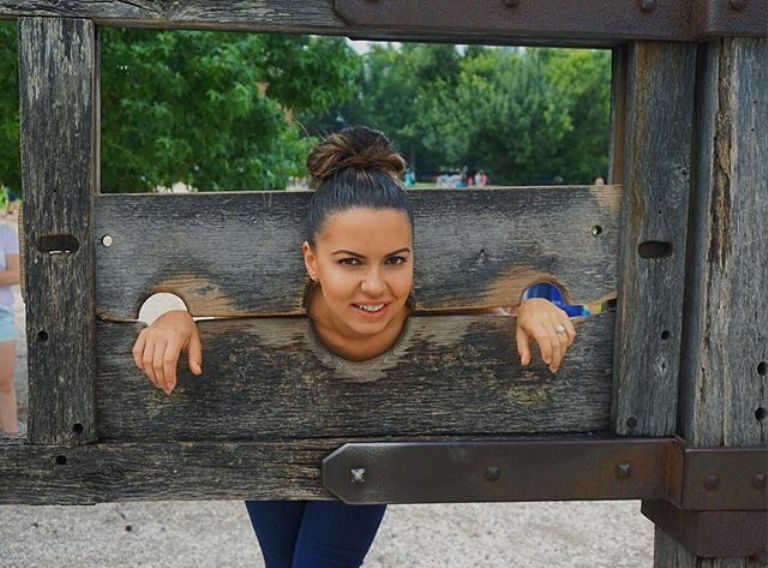 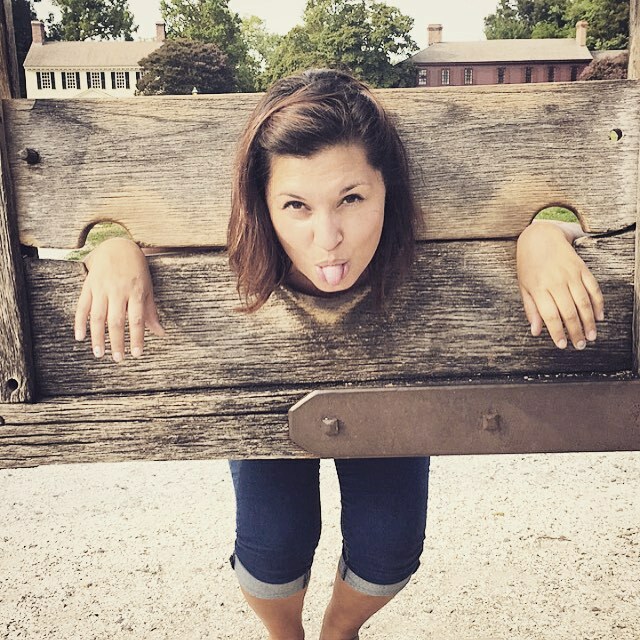 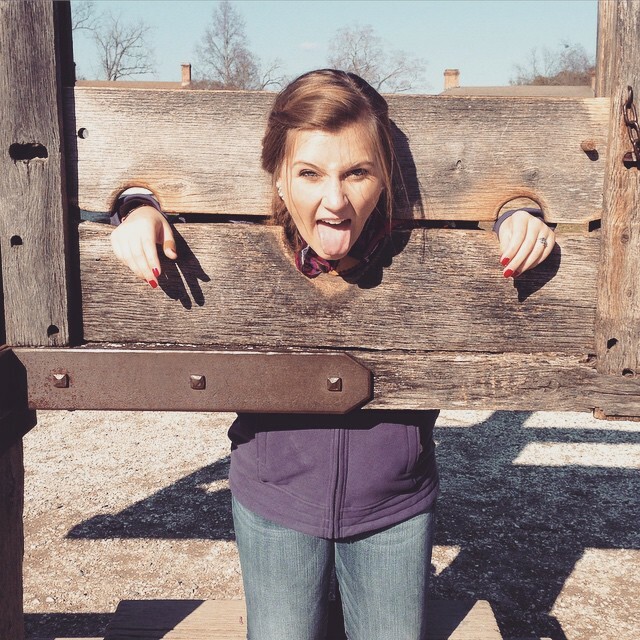 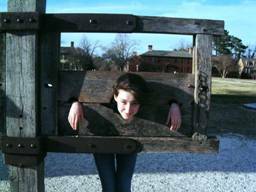 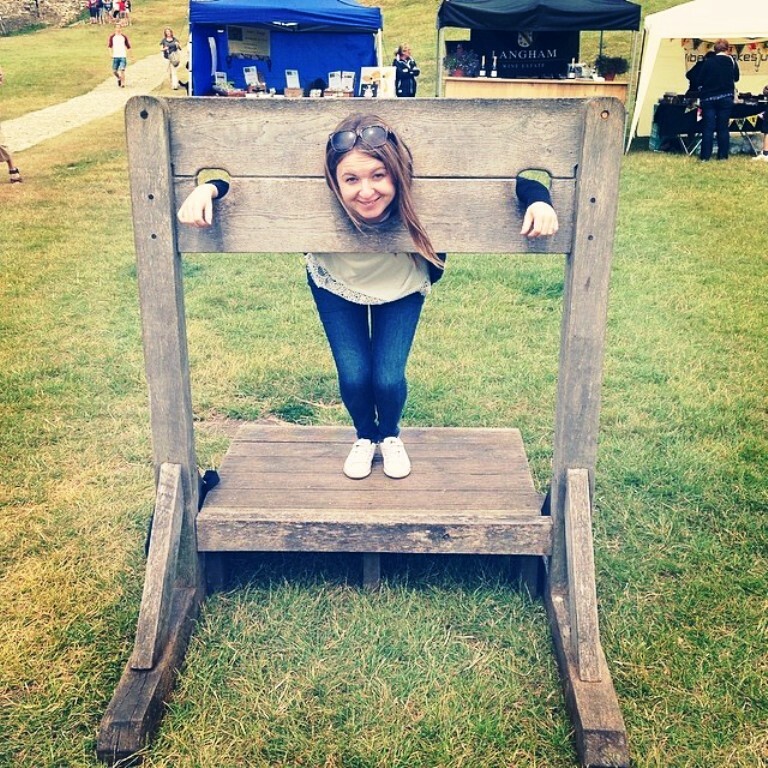 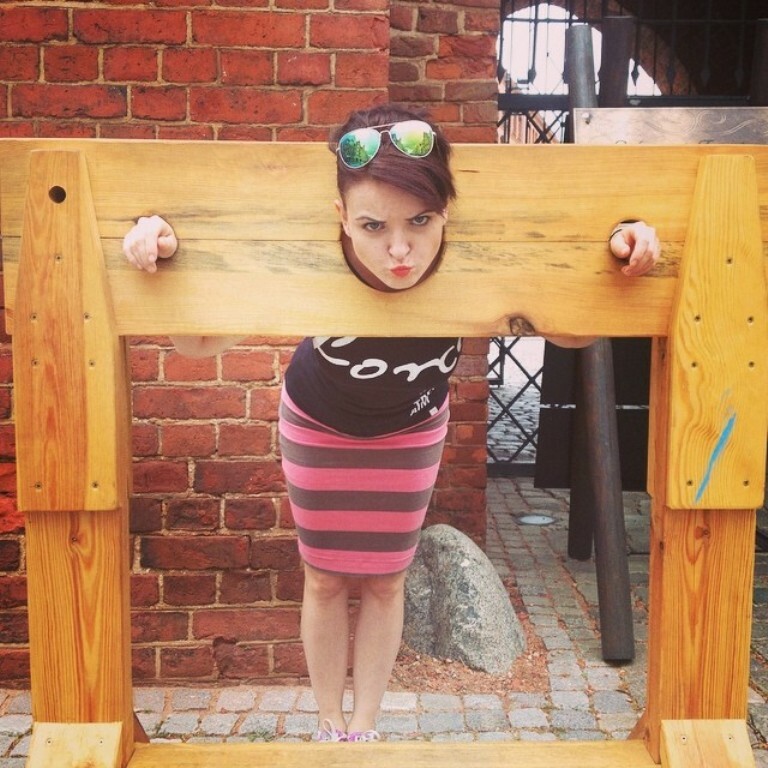 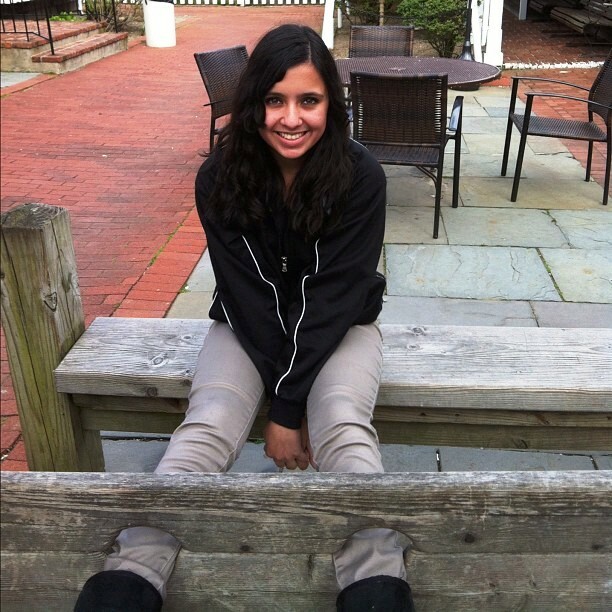 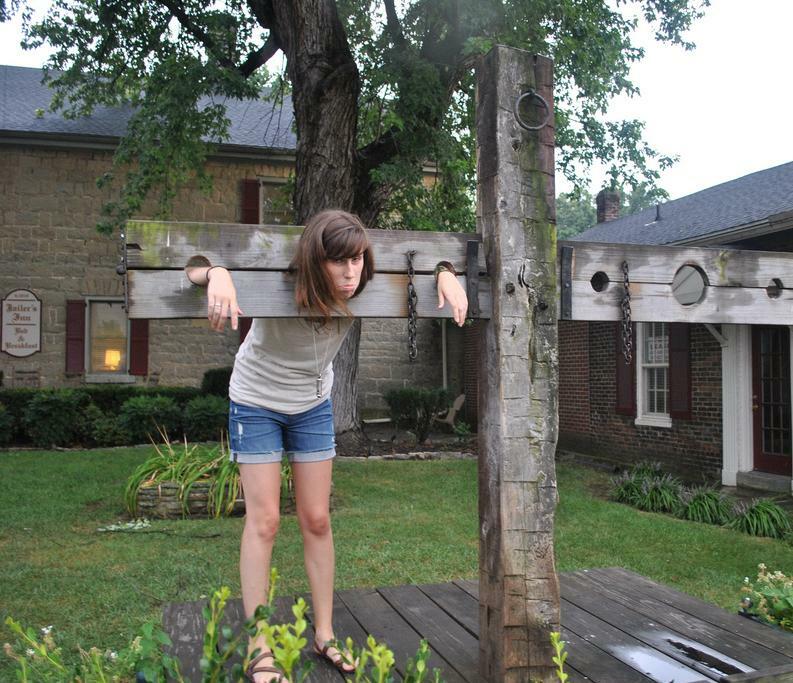 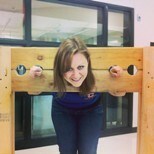 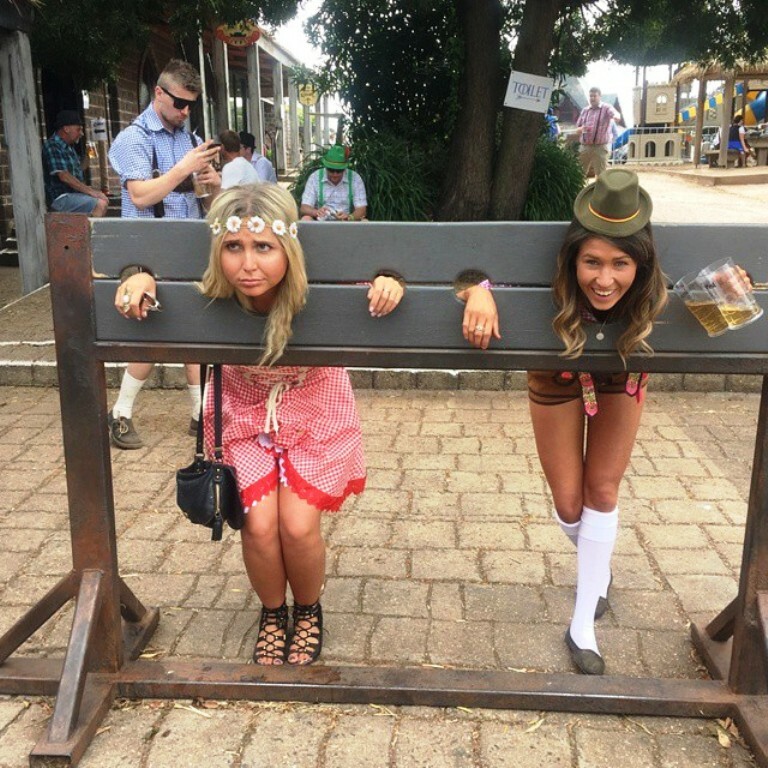 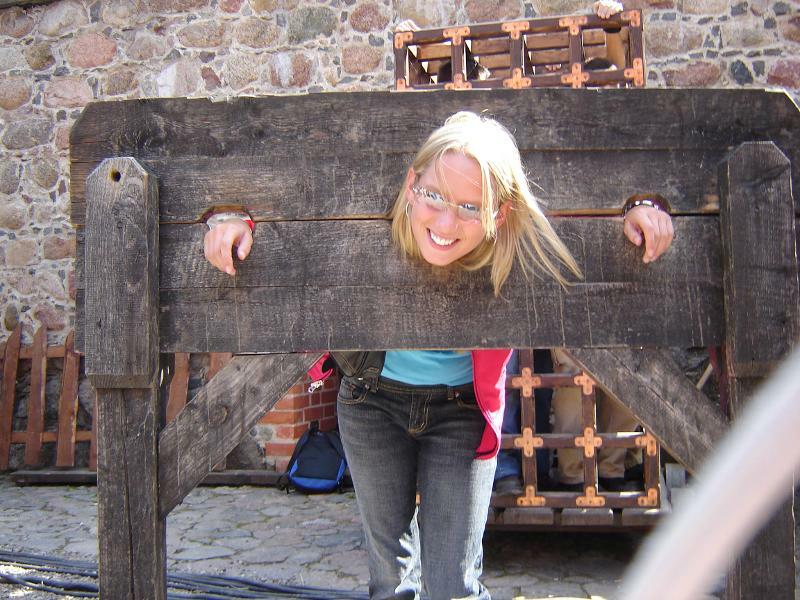 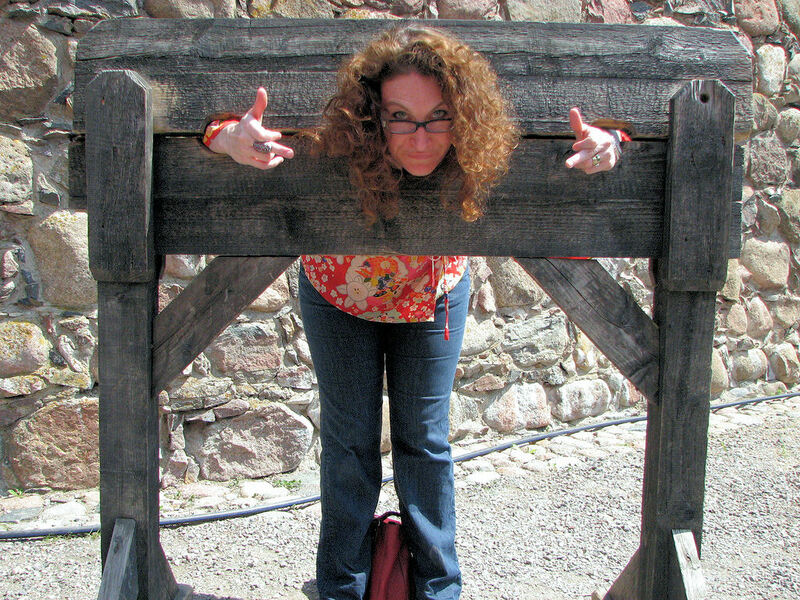 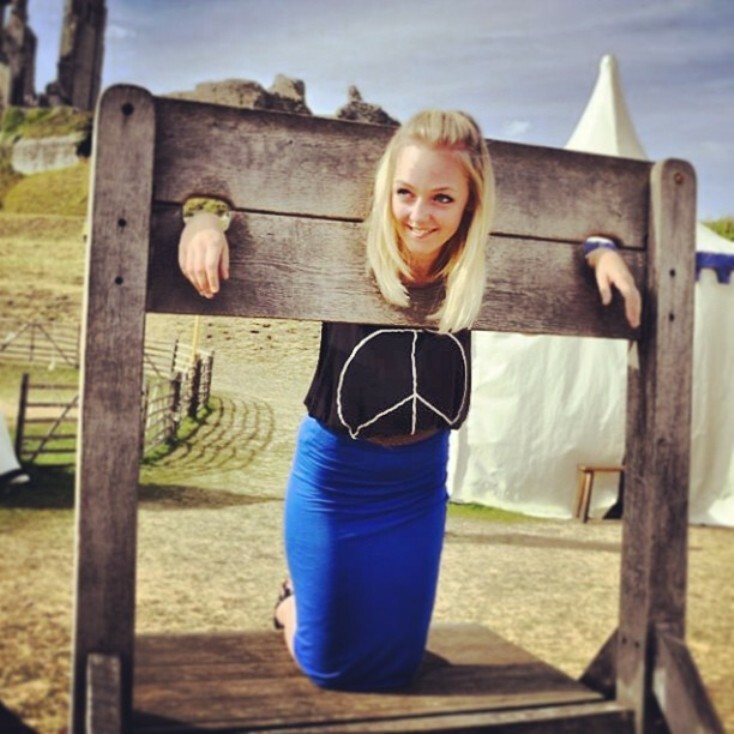 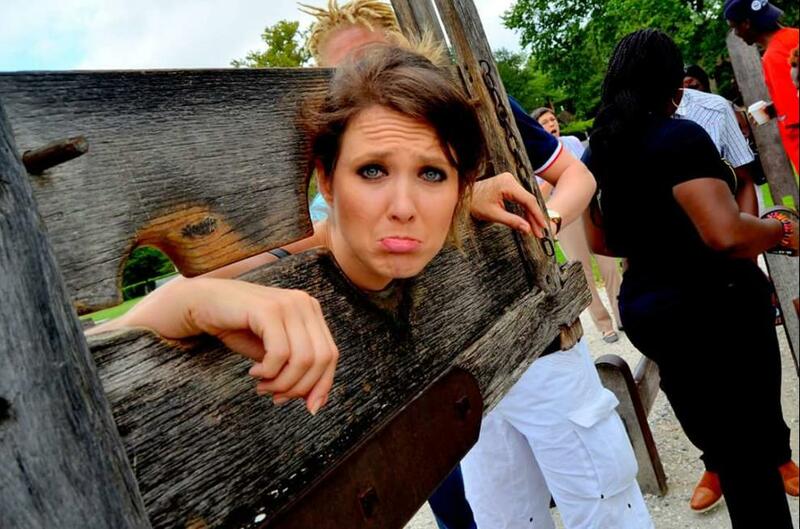 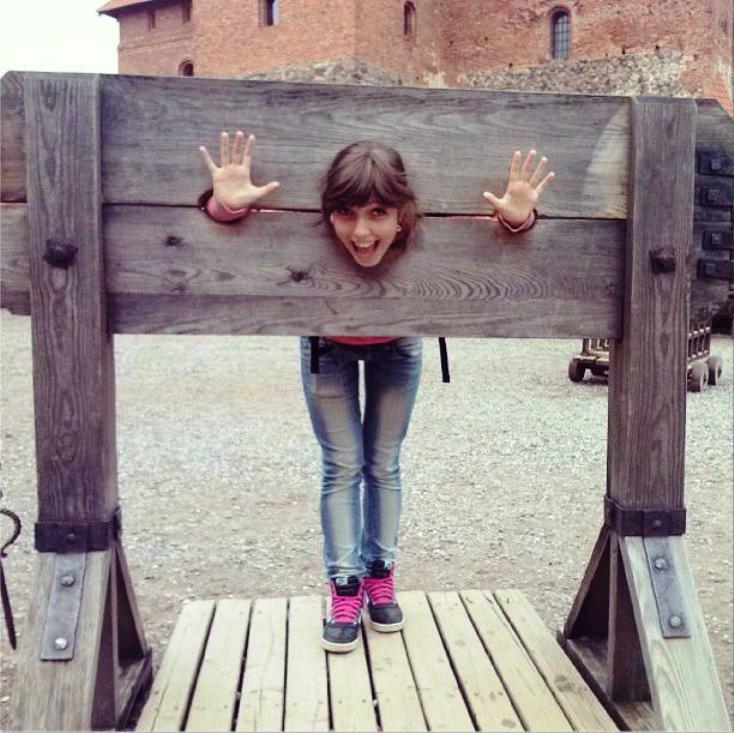 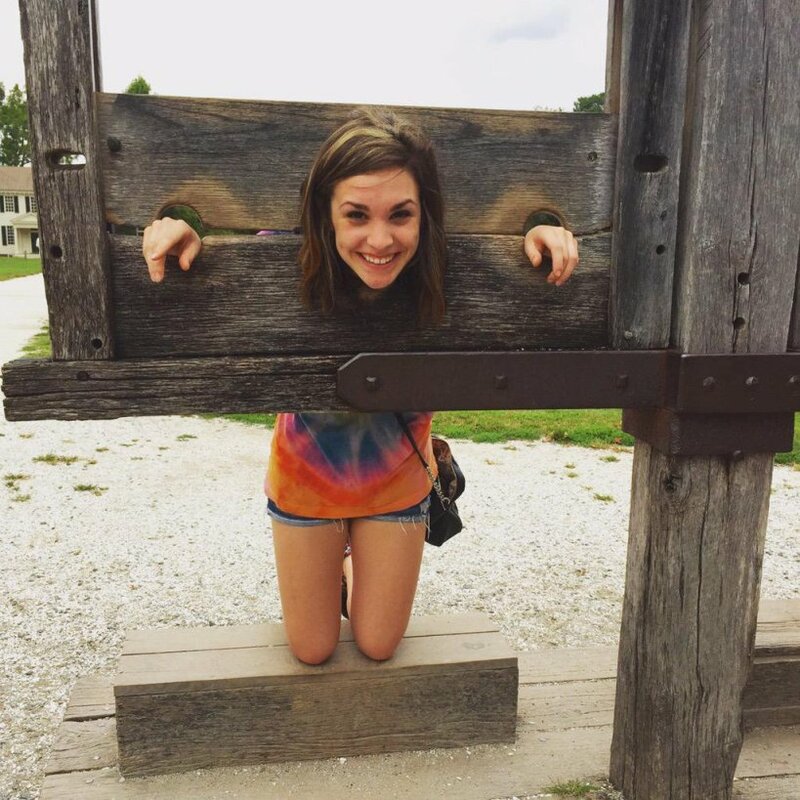 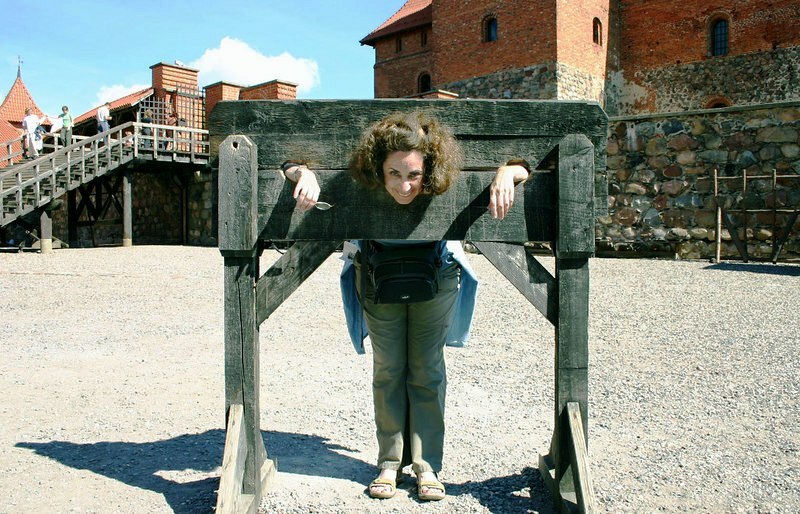 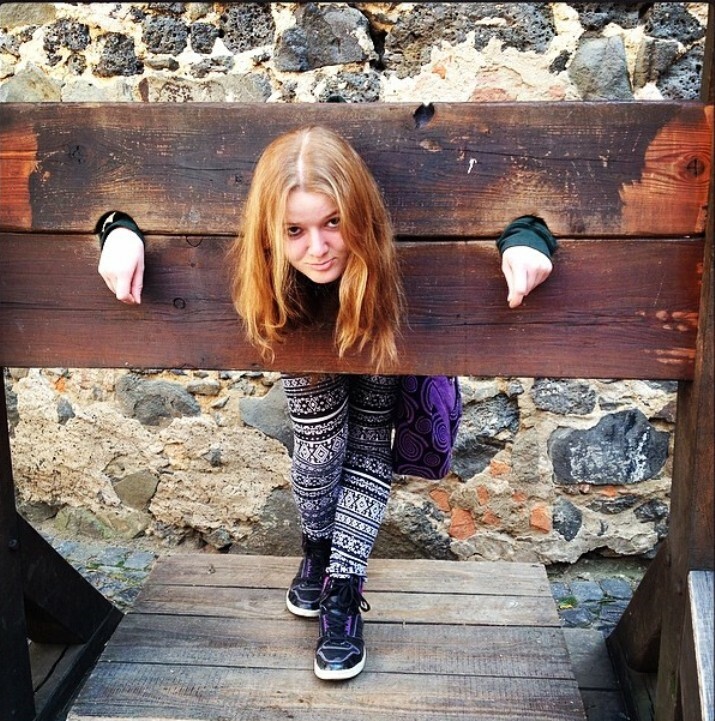 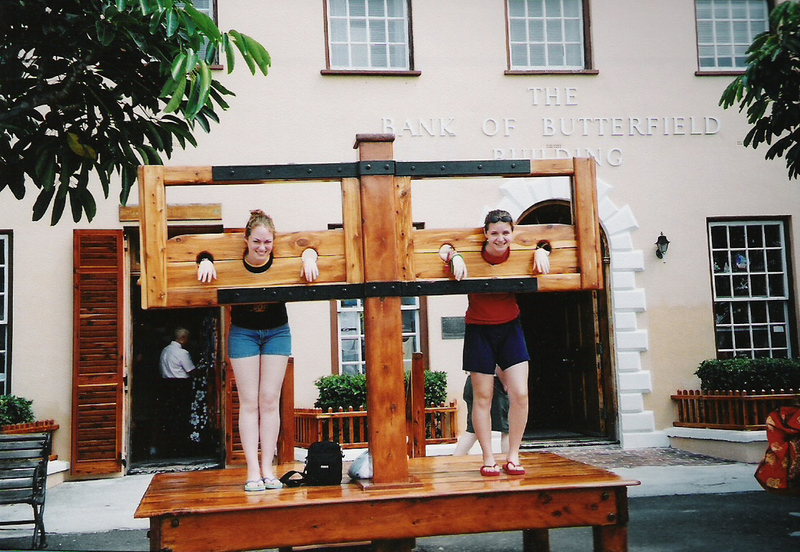 Probably the most photographed pillory in the world. 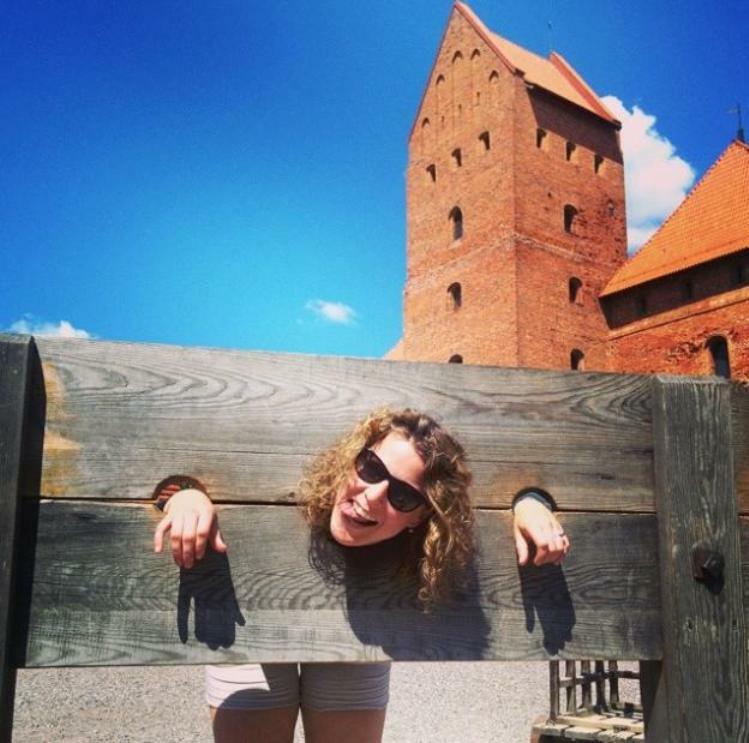 Trakai Castle in Vilnius, Lithuania. 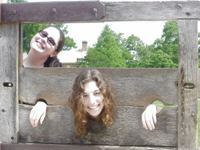 TLT Productions has had the enterprising idea of recreating Family Album moments and videoing them. 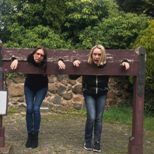 If you would like to find out more about TLT Productions or purchase some clips, there are contact details on the Links page. 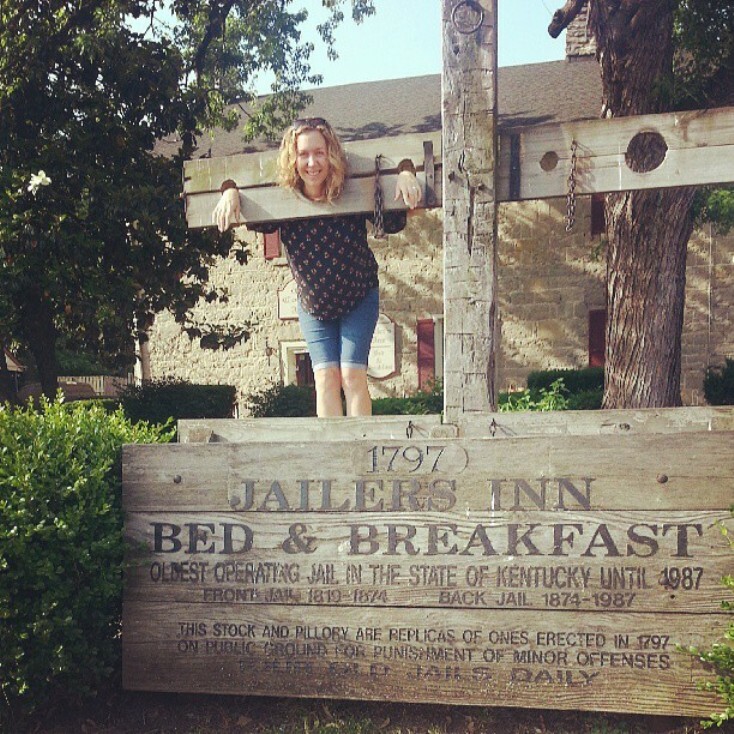 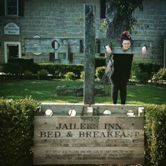 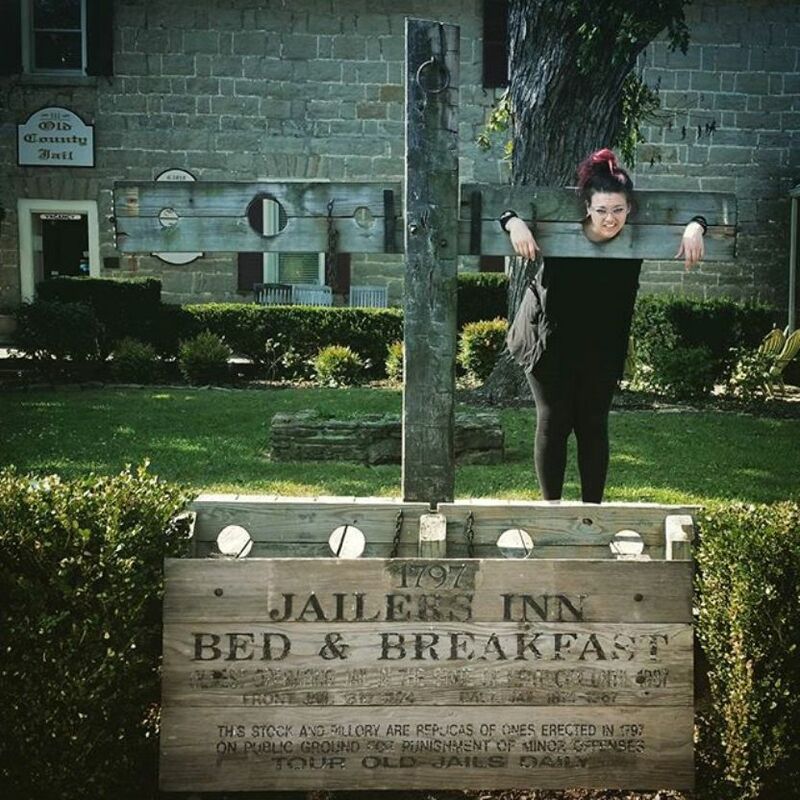 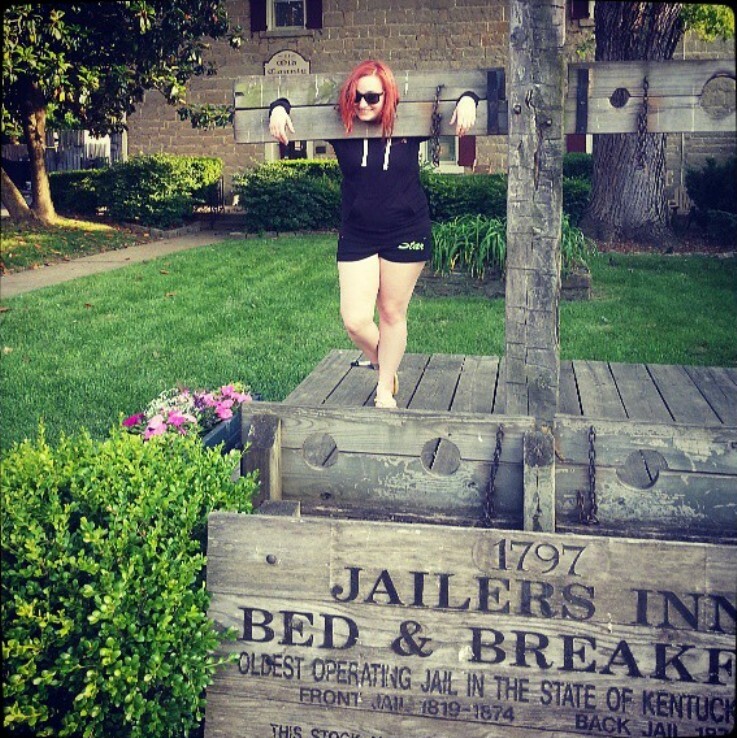 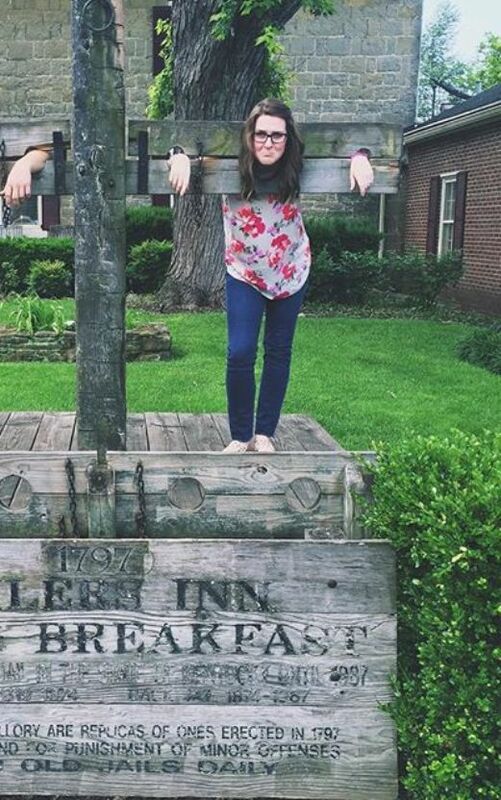 The Jailer's Inn in Kentucky offers bed and breakfast....and cell doors with iron bars on the windows. 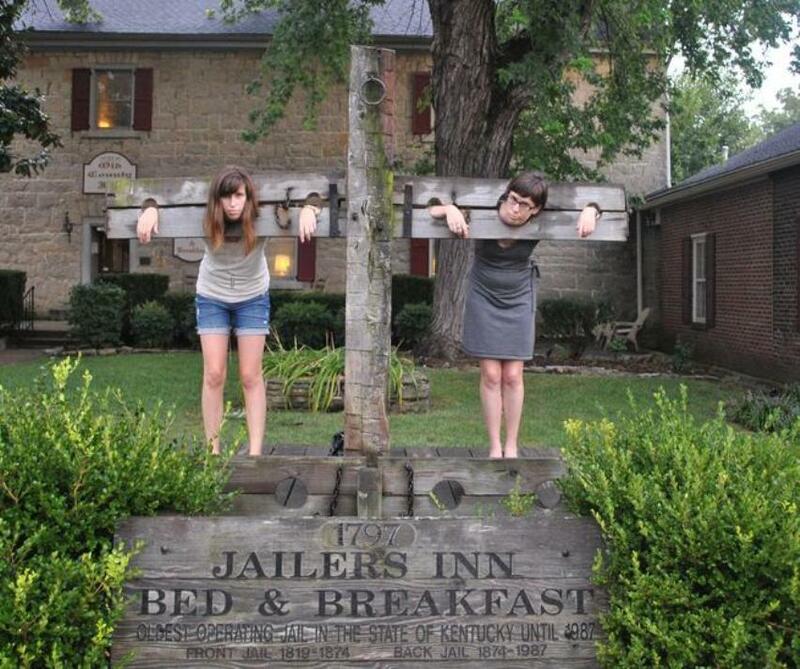 These guests were late for breakfast. 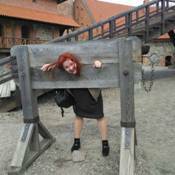 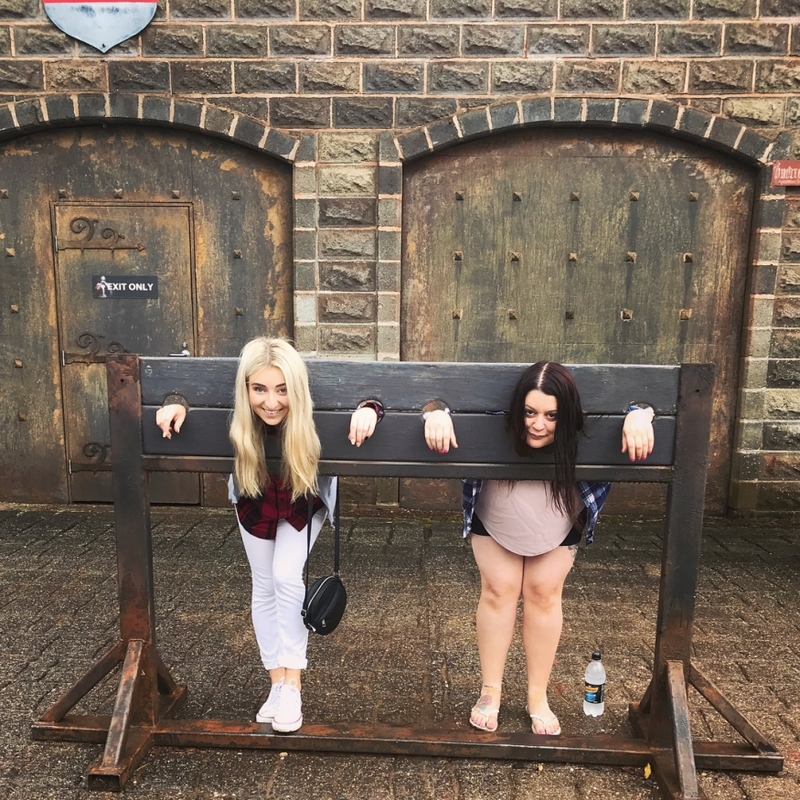 Kryal Castle in Australia, where they know just how to deal with whinging poms. 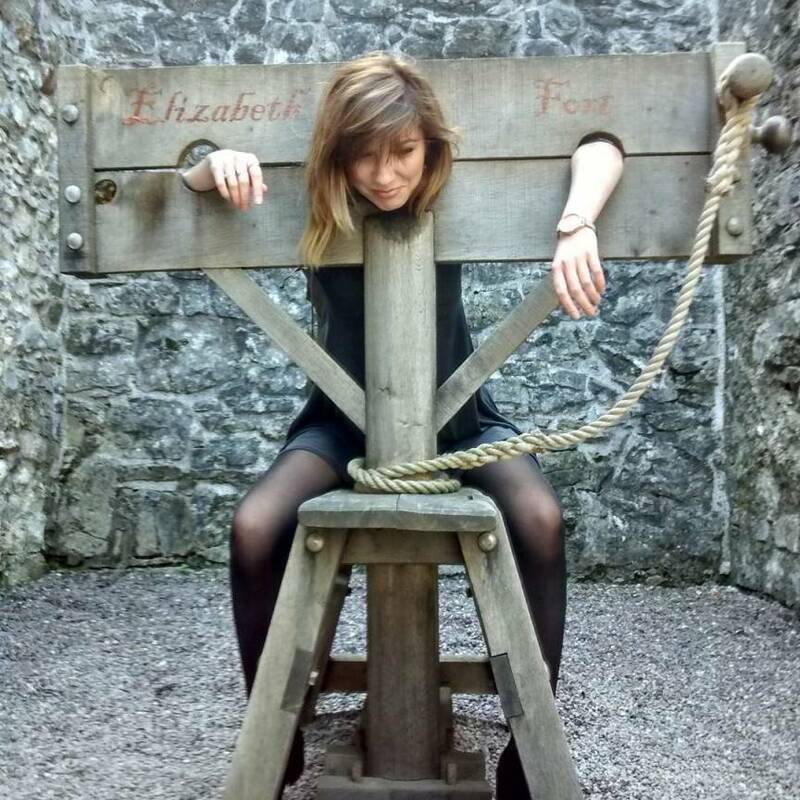 A visitor attraction in Dublin. 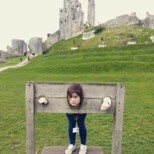 Corfe Castle was slighted by the Parliamentarians during the English Civil War. 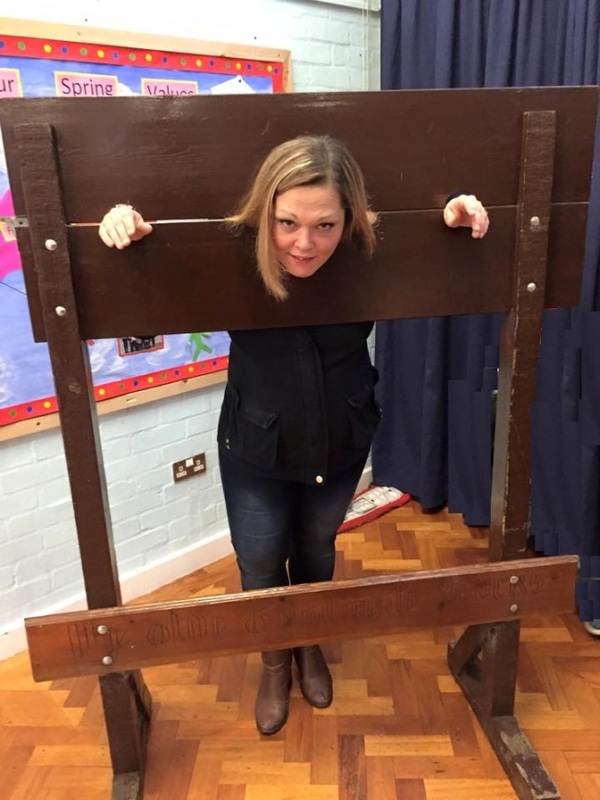 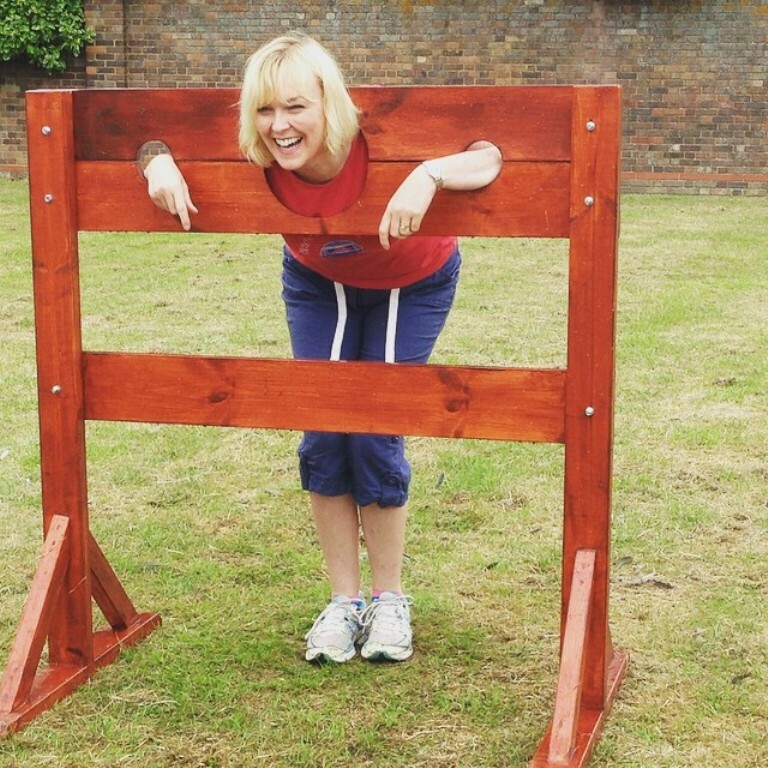 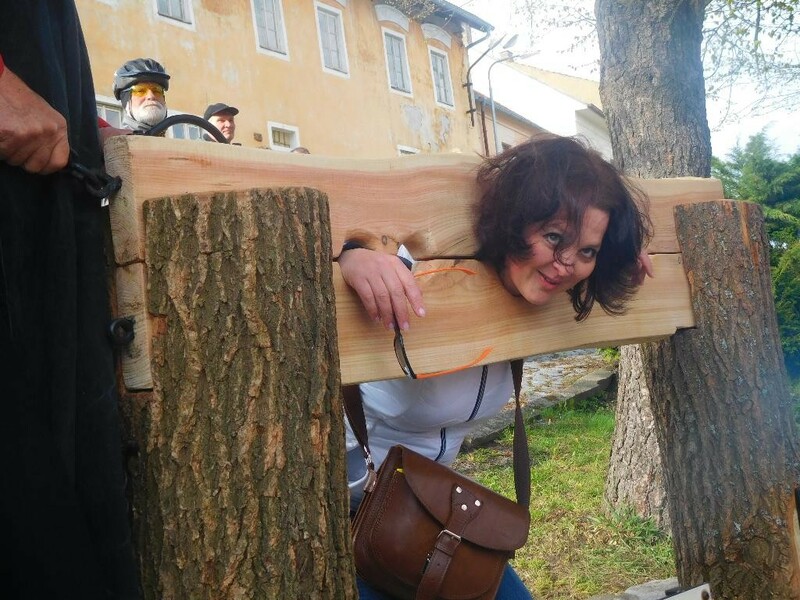 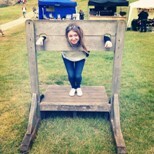 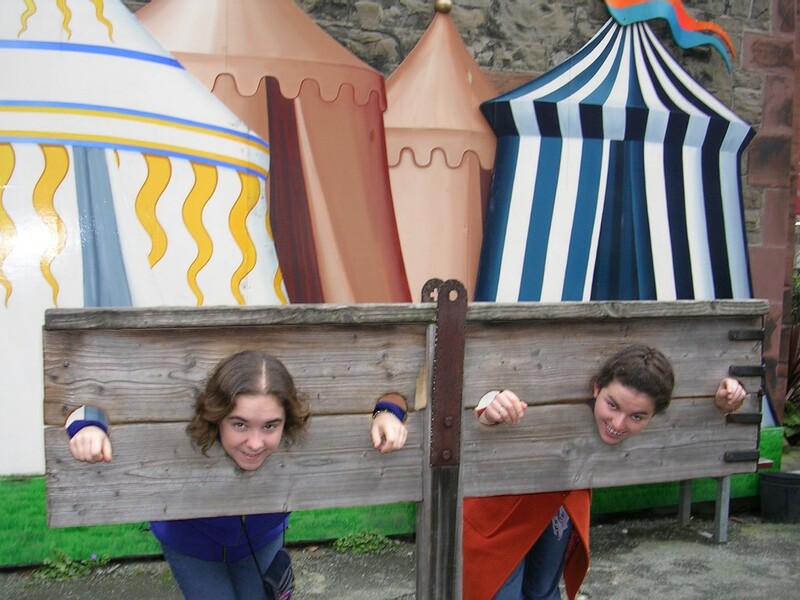 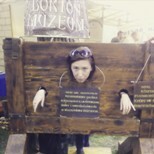 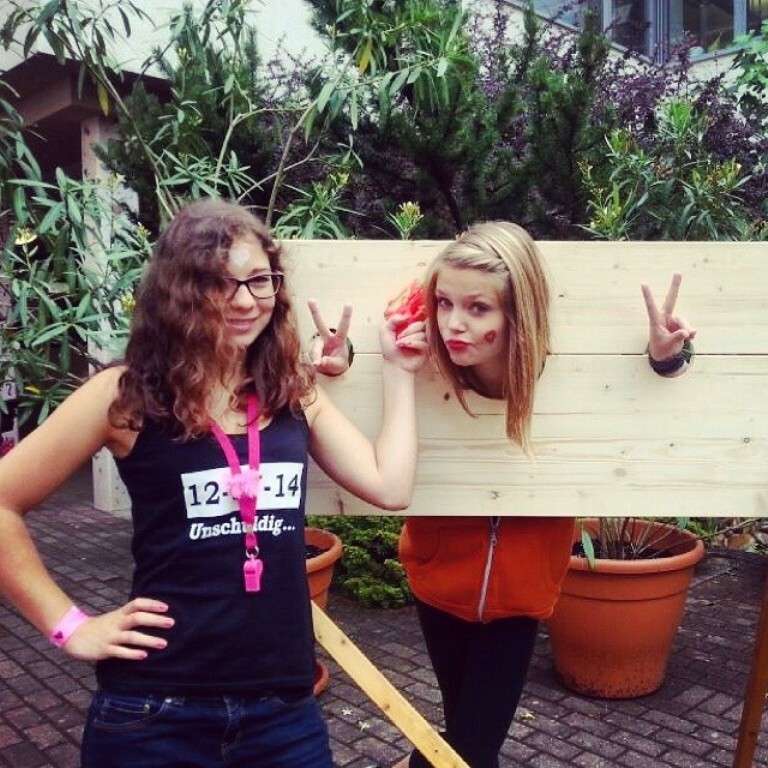 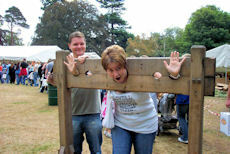 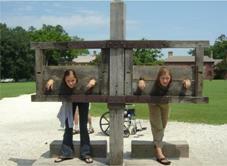 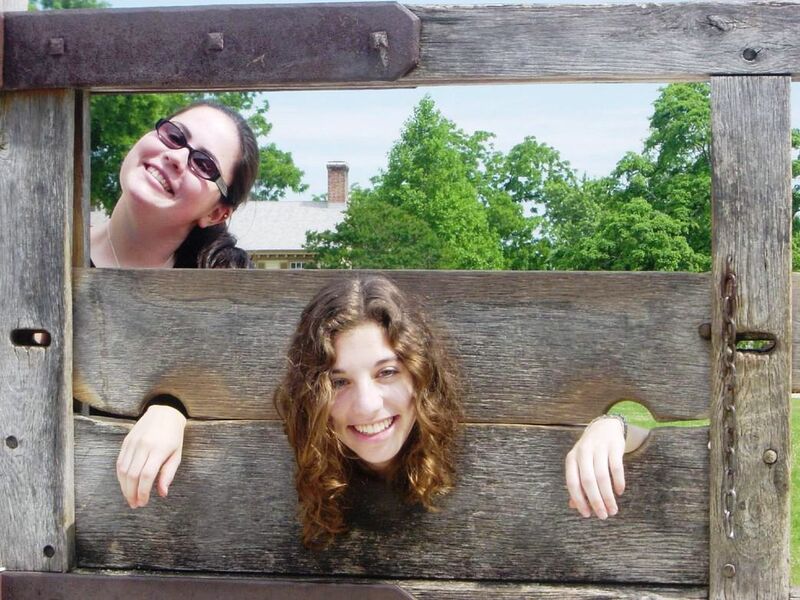 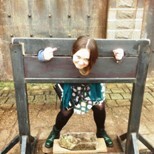 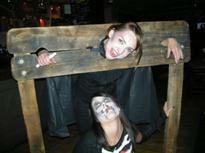 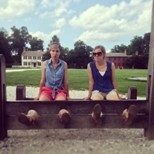 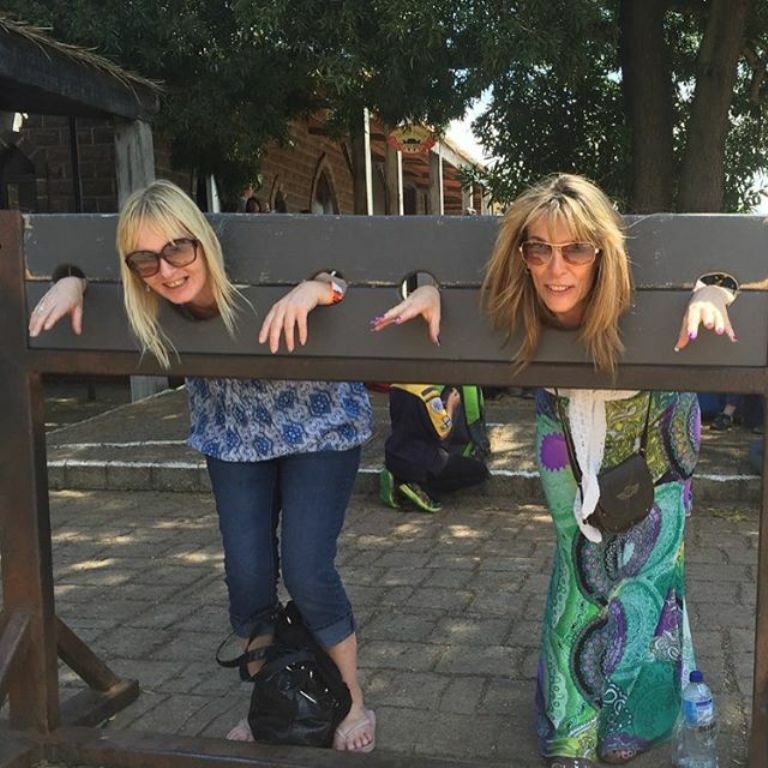 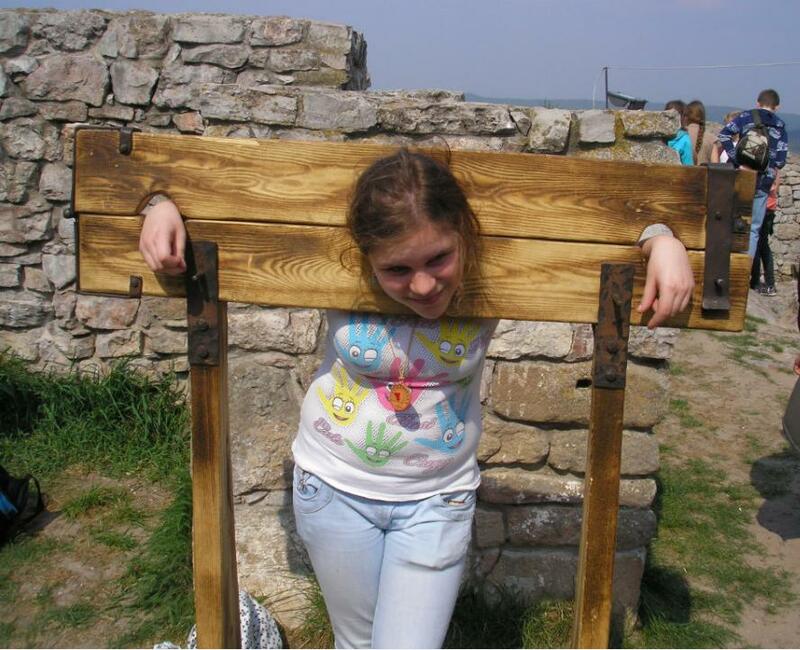 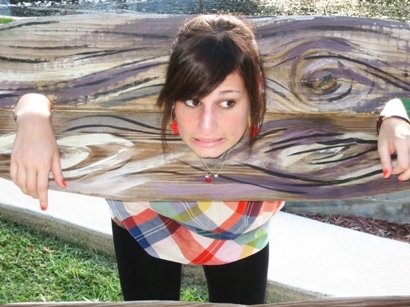 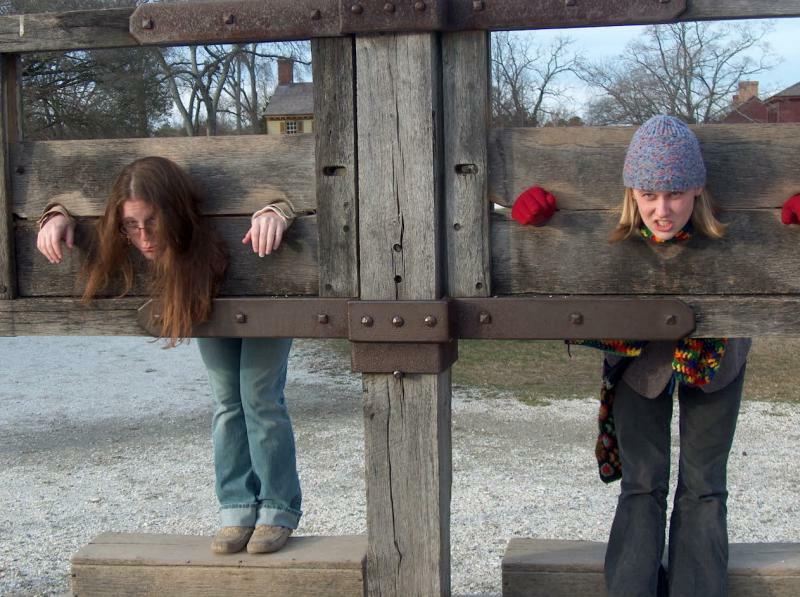 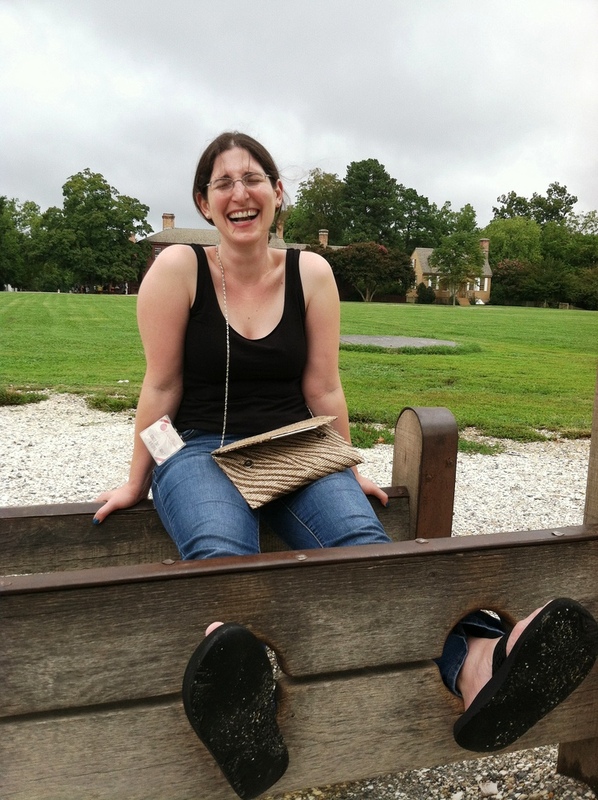 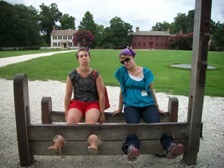 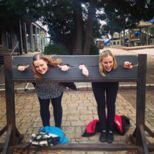 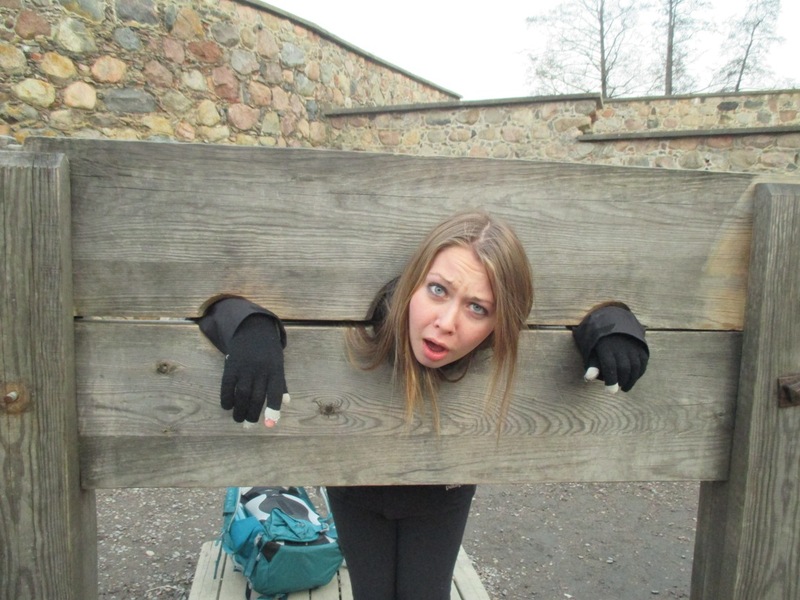 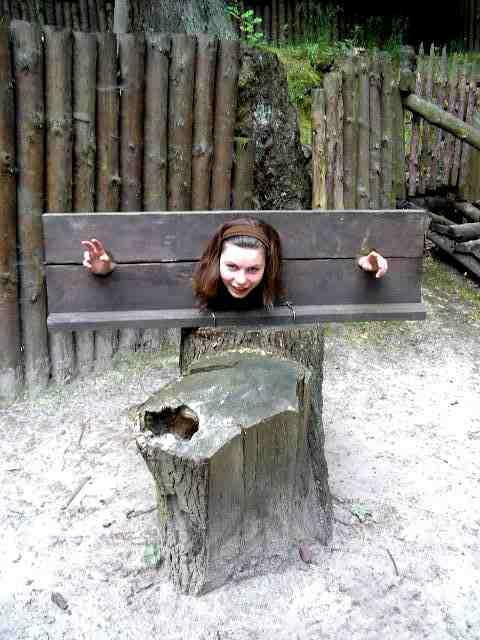 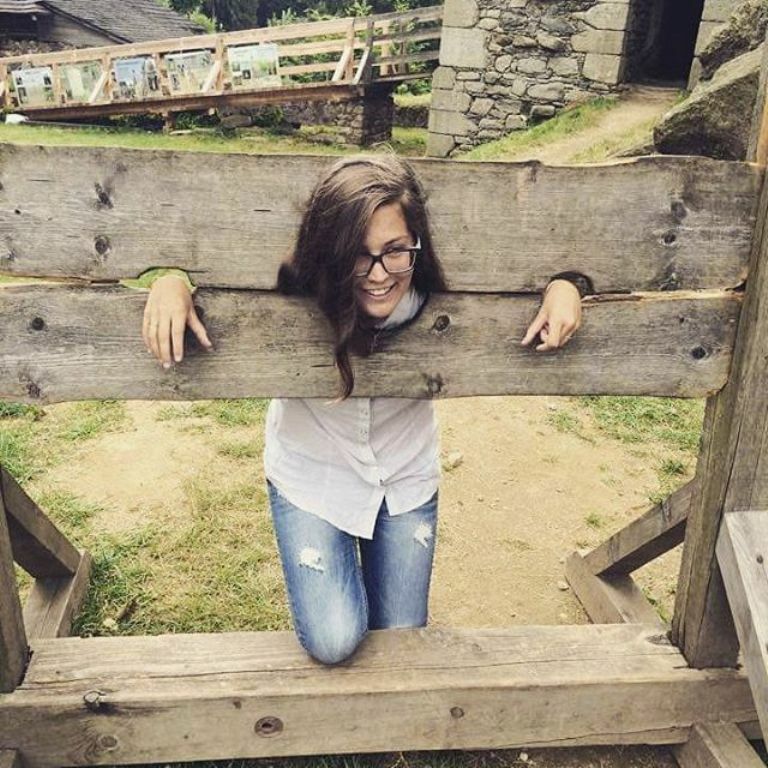 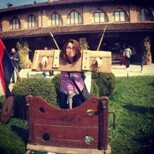 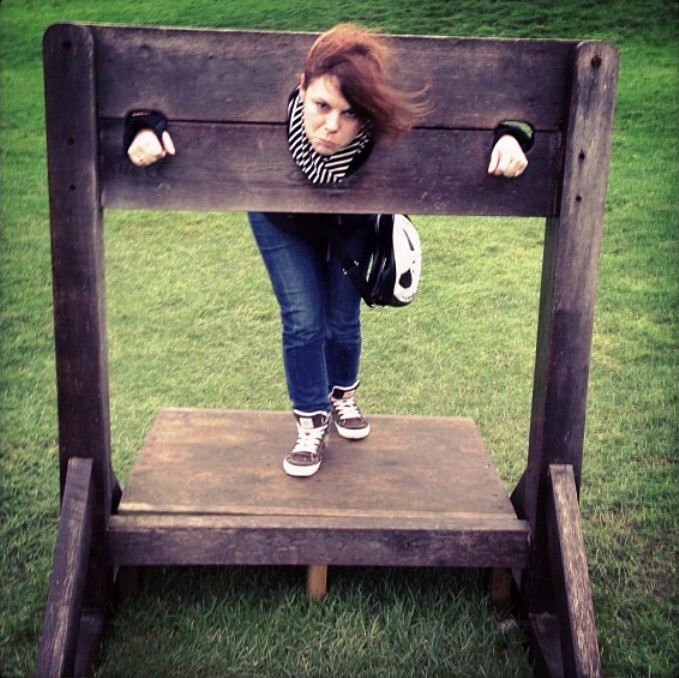 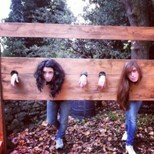 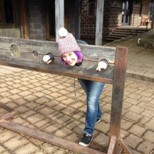 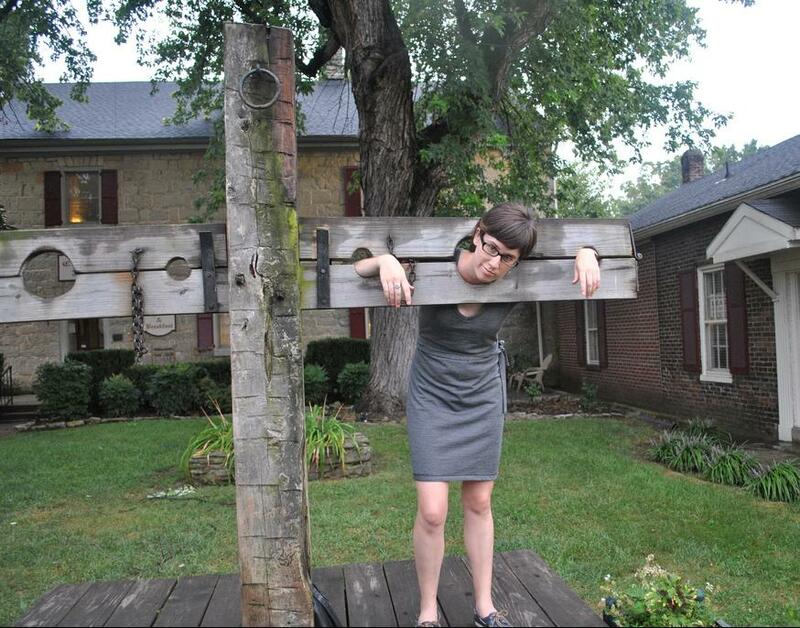 Fortunately the pillory there remained unscathed. 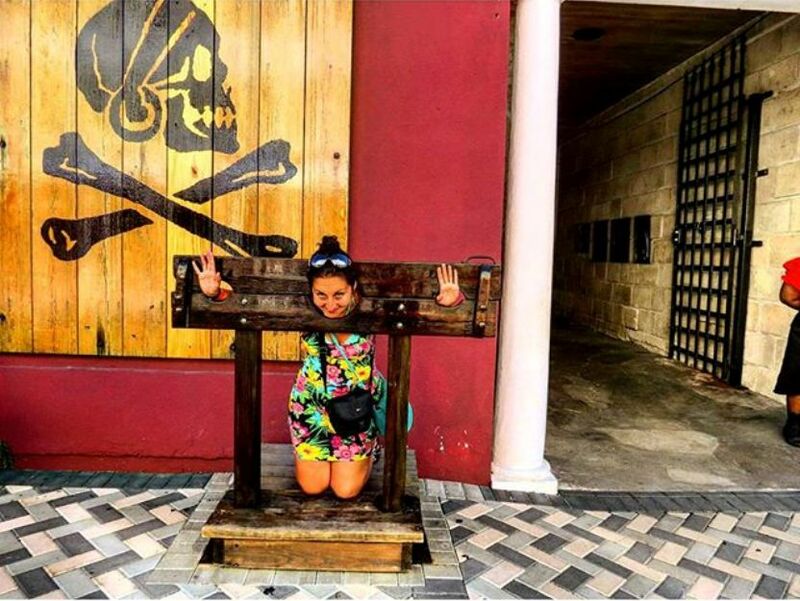 A resurgence of piracy at Nassau in the Bahamas. 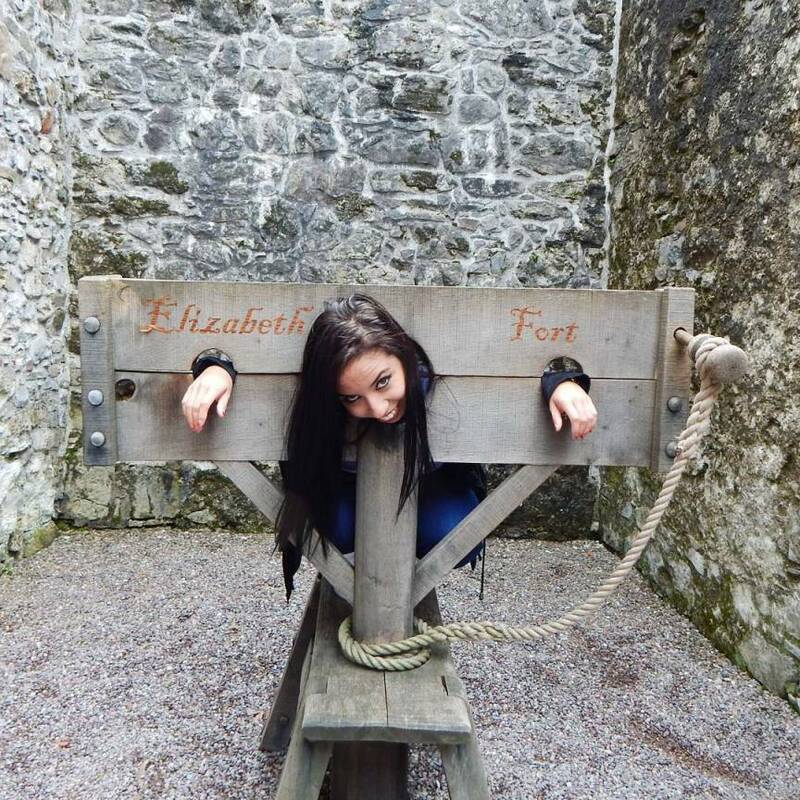 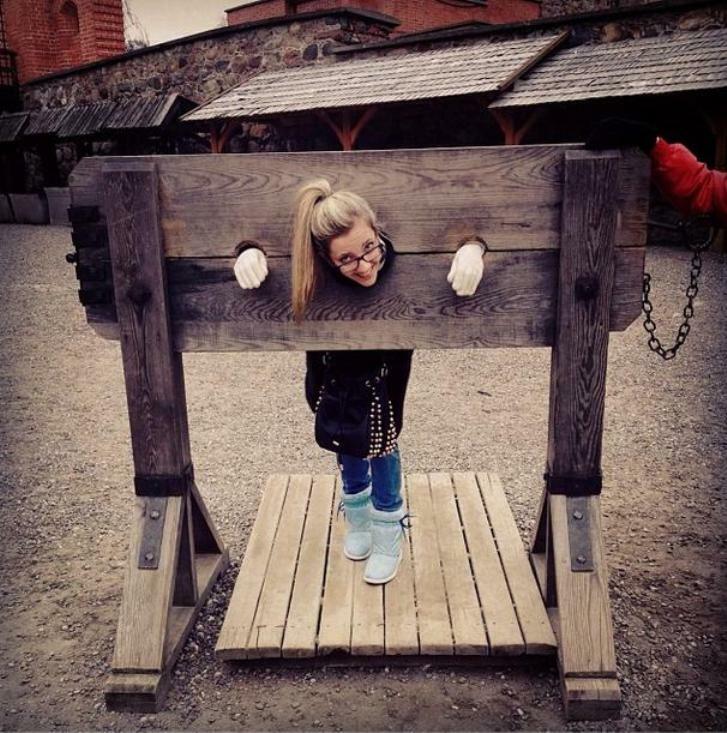 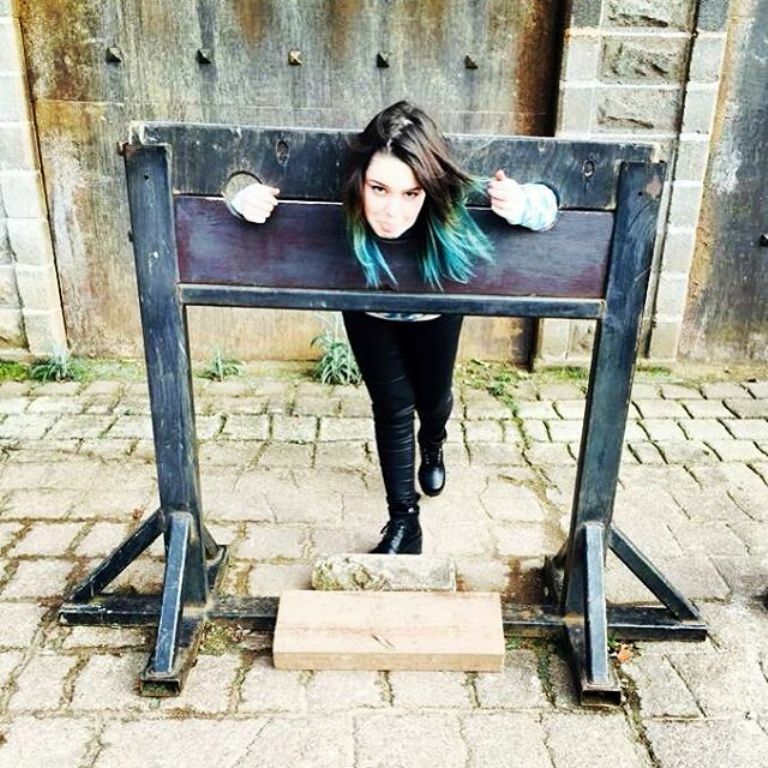 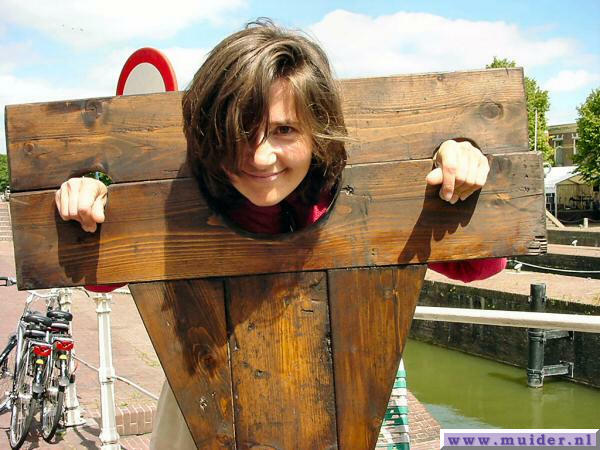 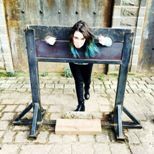 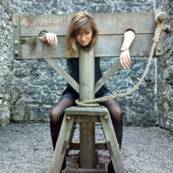 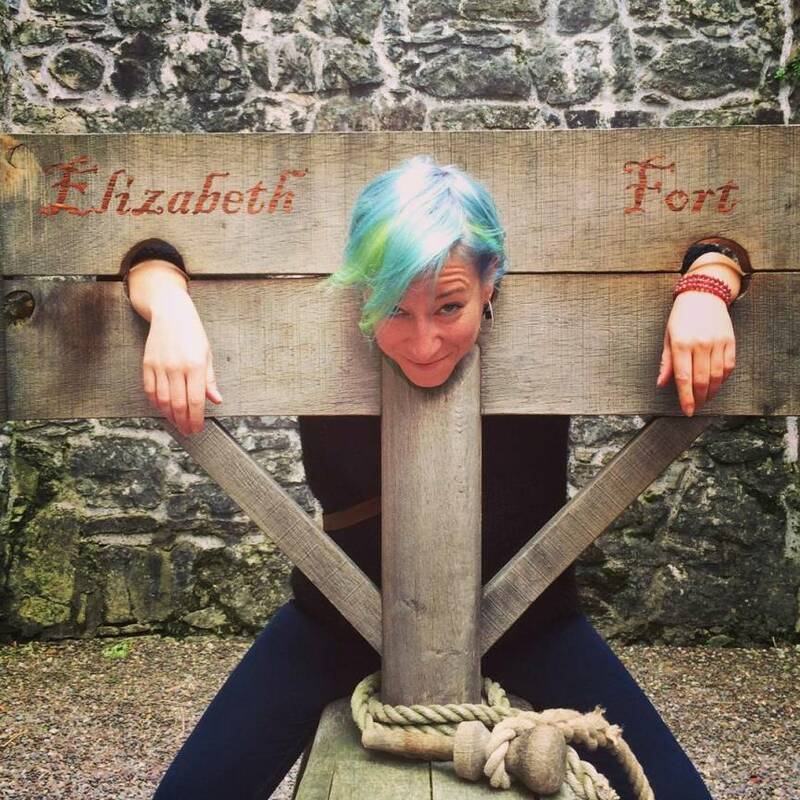 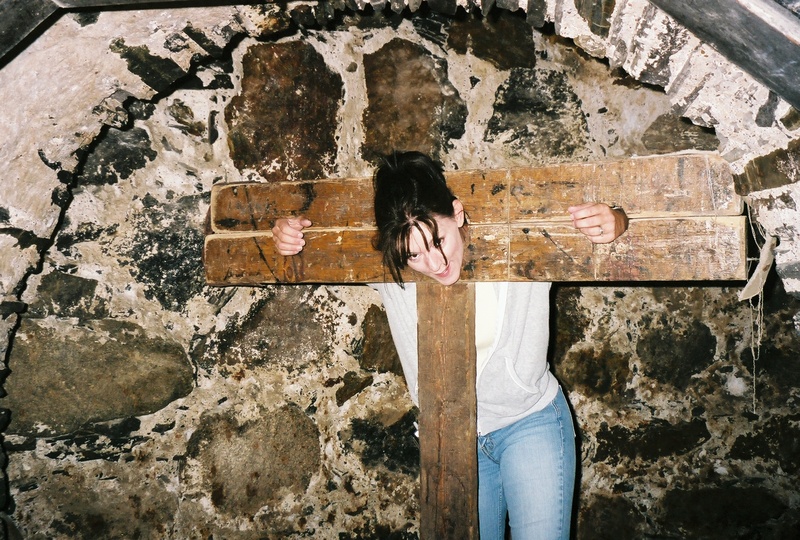 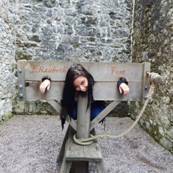 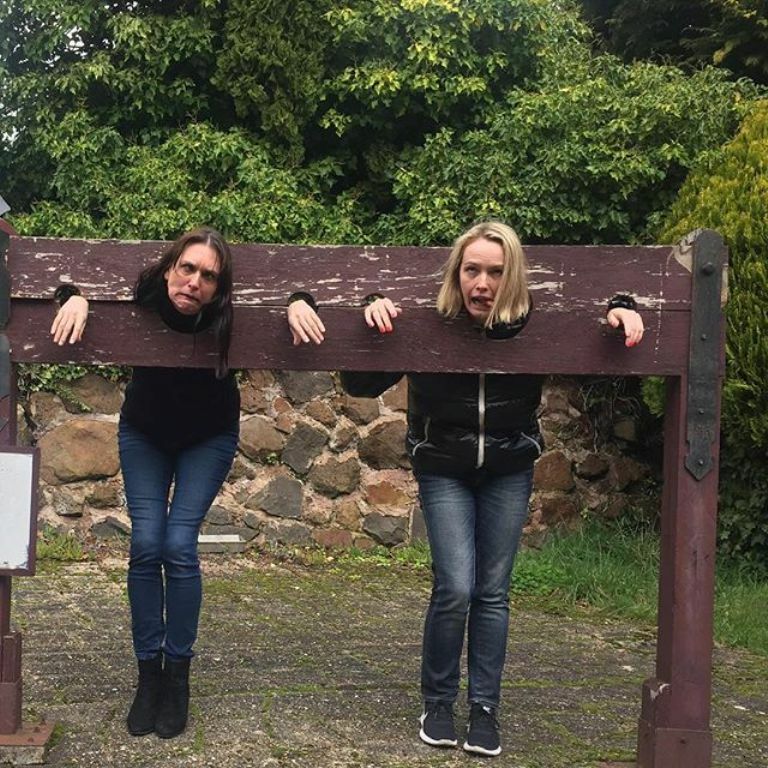 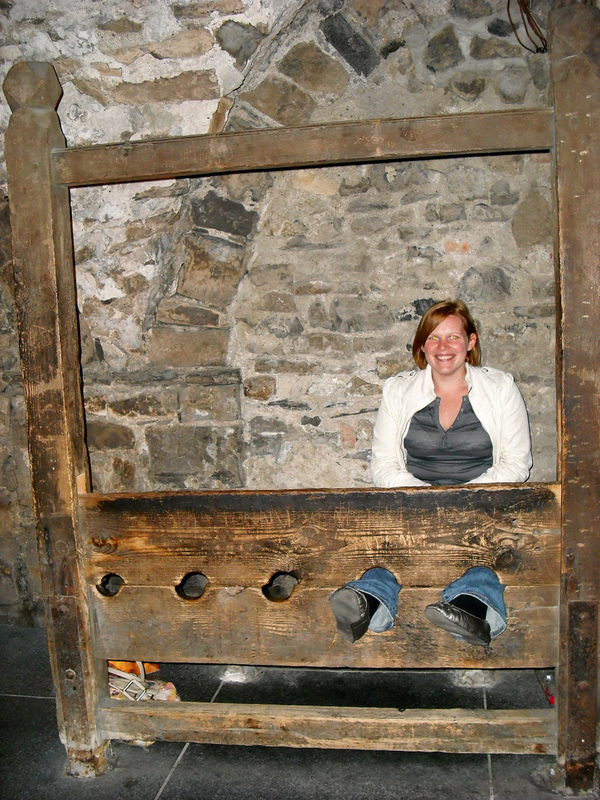 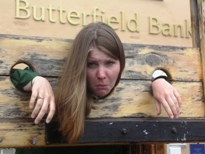 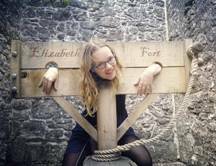 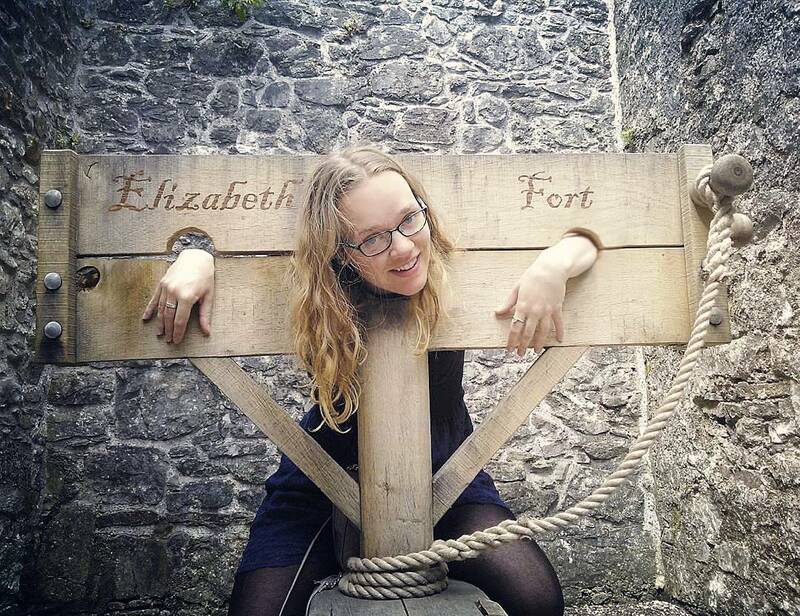 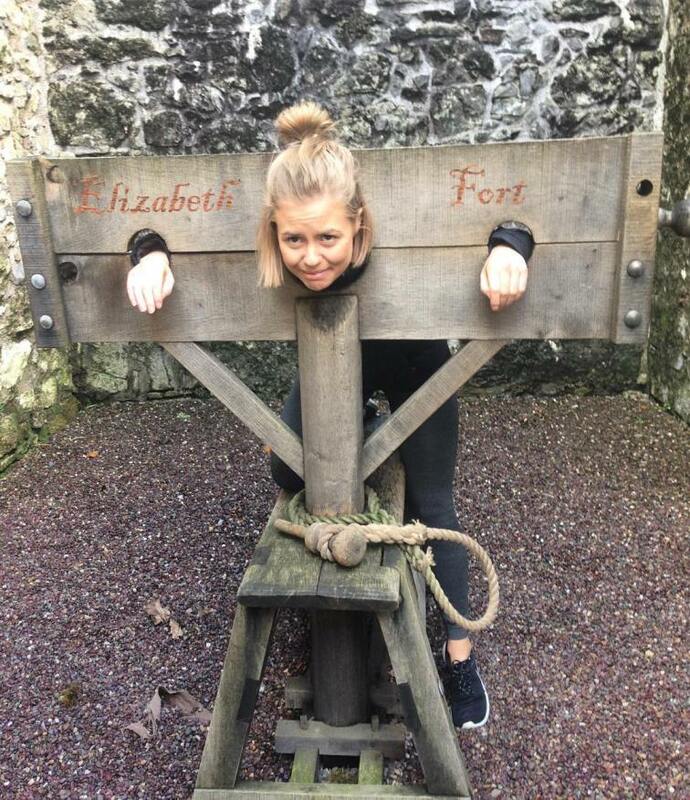 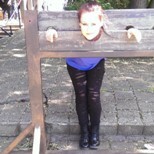 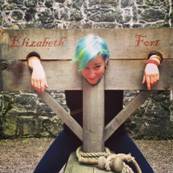 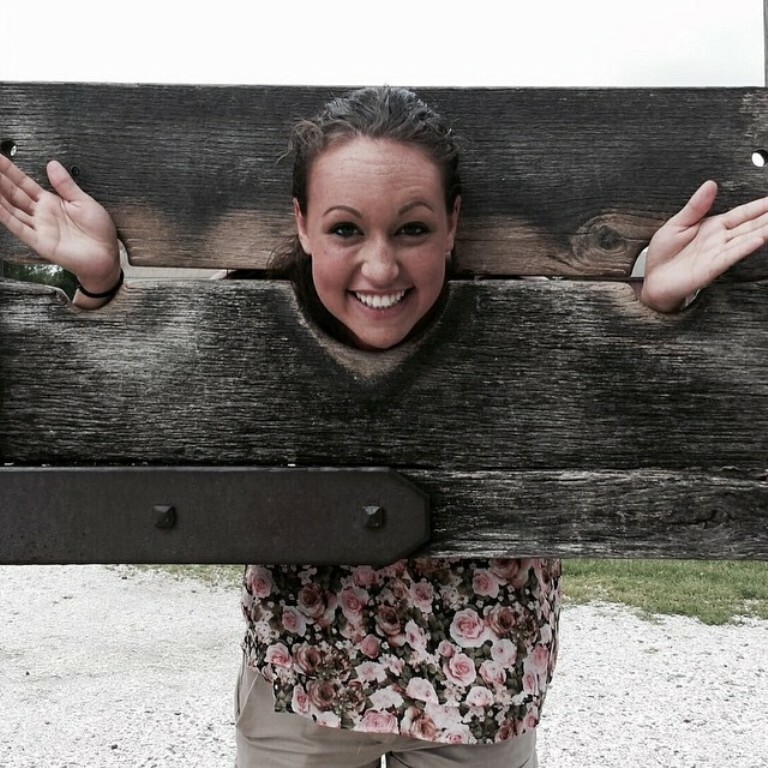 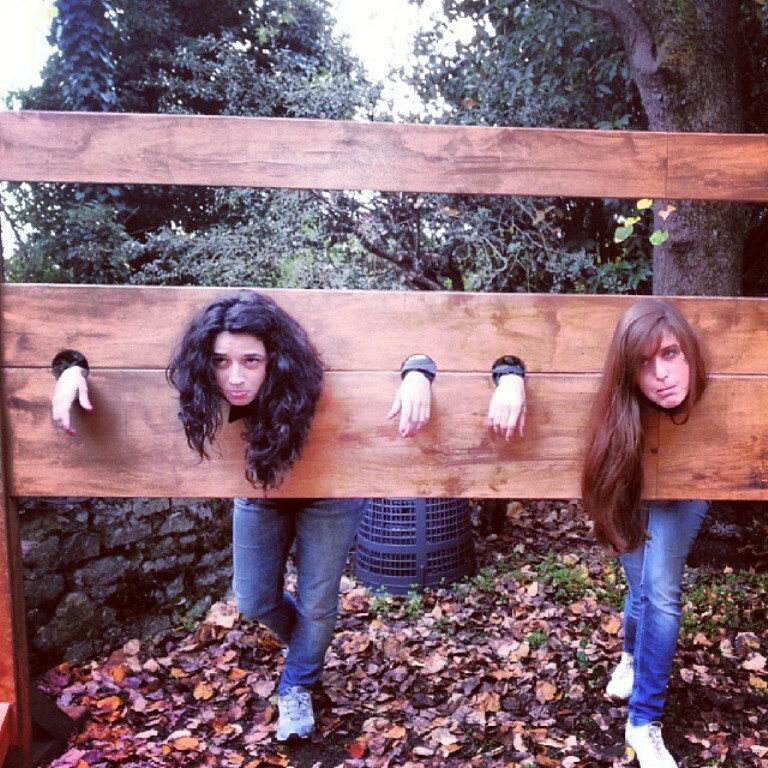 This pillory resides in Elizabeth Fort, Cork, Ireland. 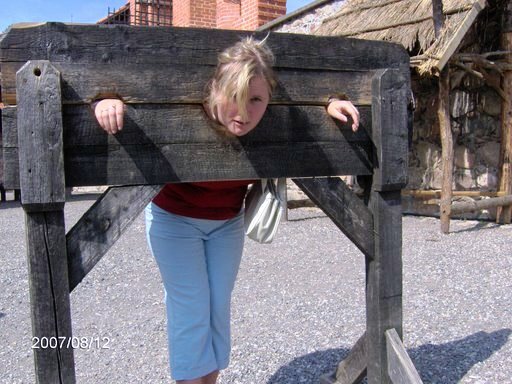 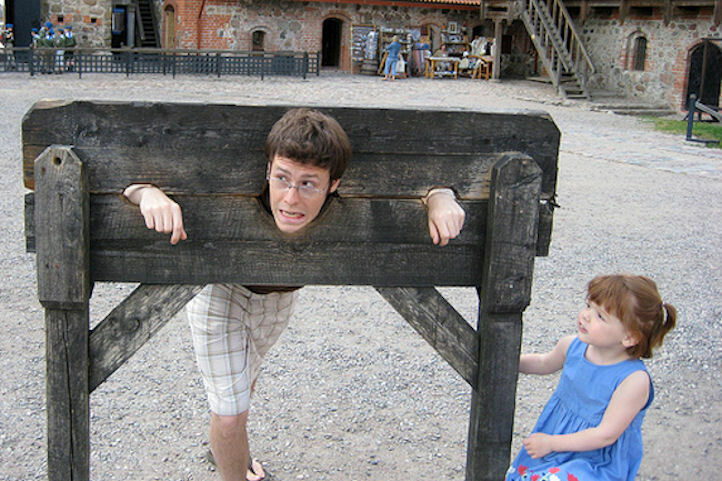 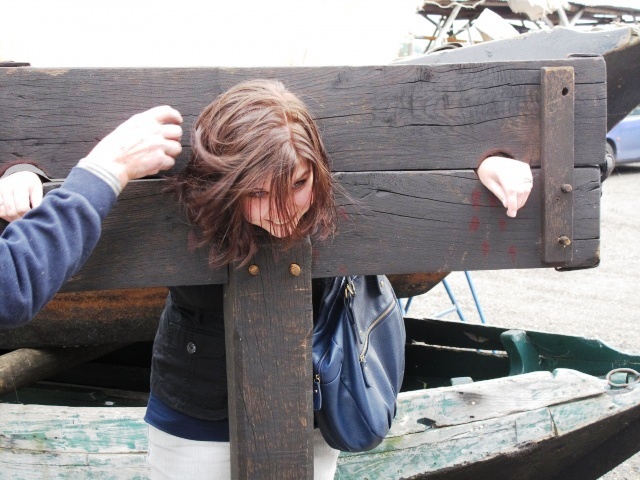 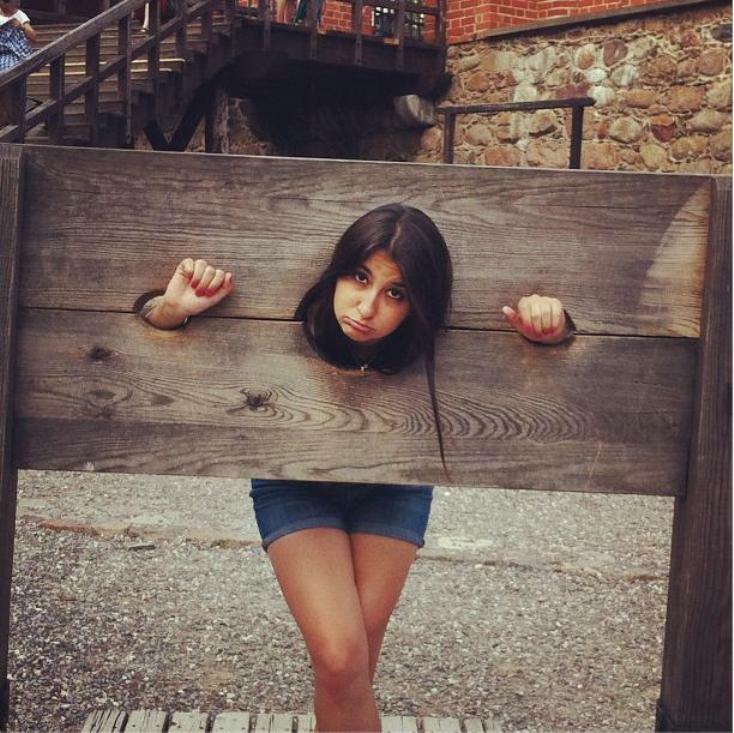 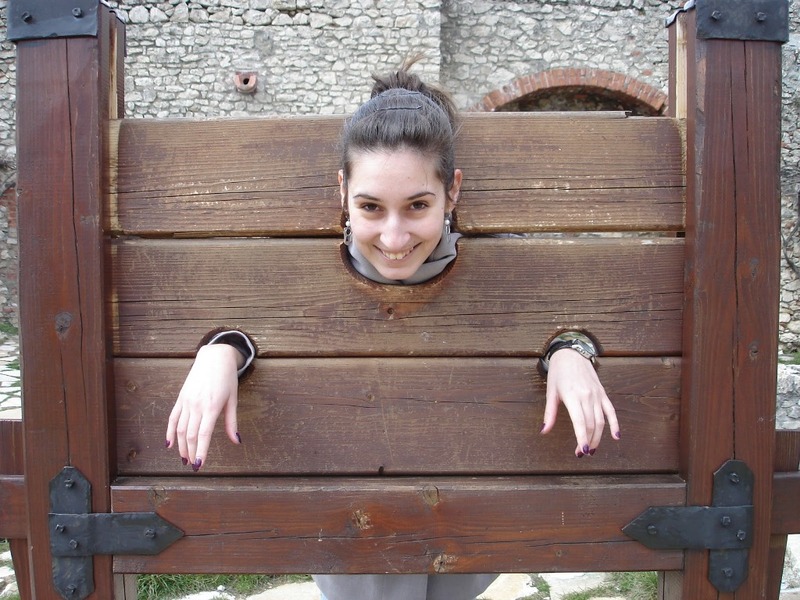 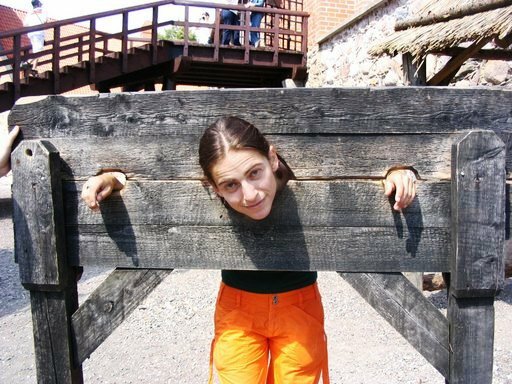 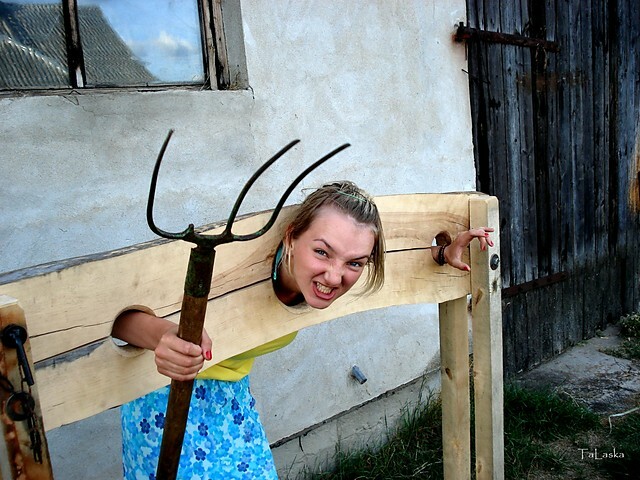 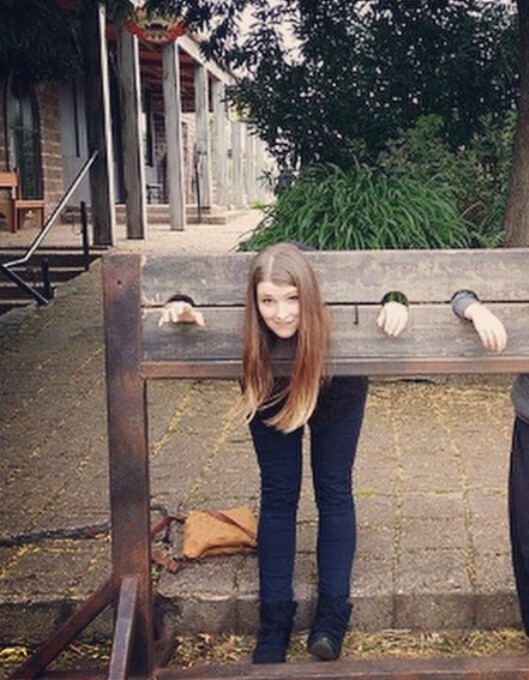 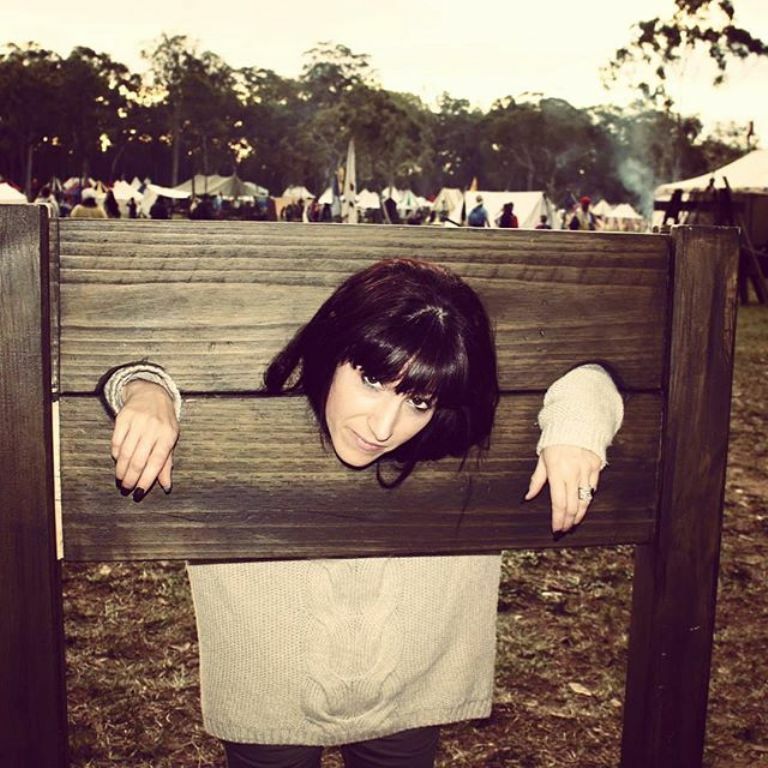 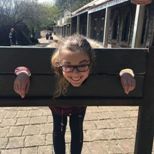 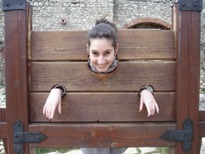 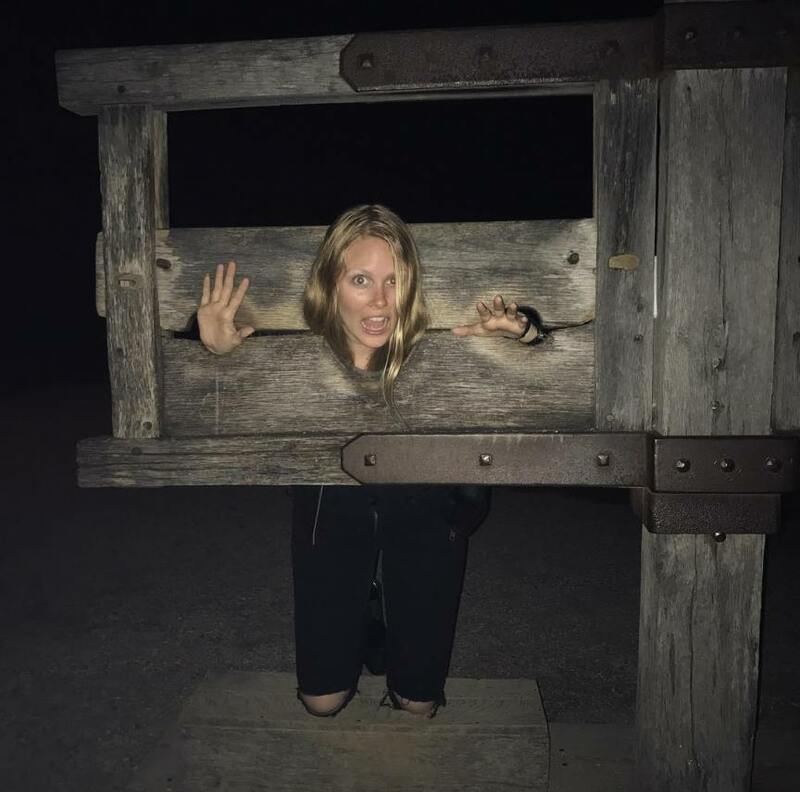 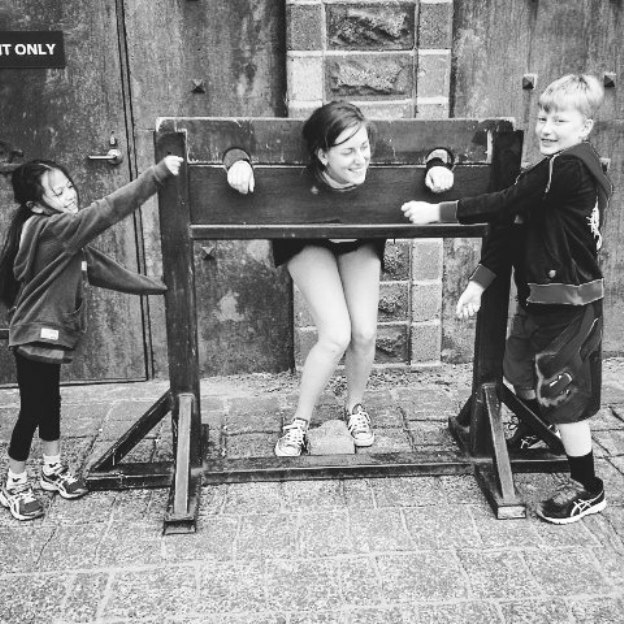 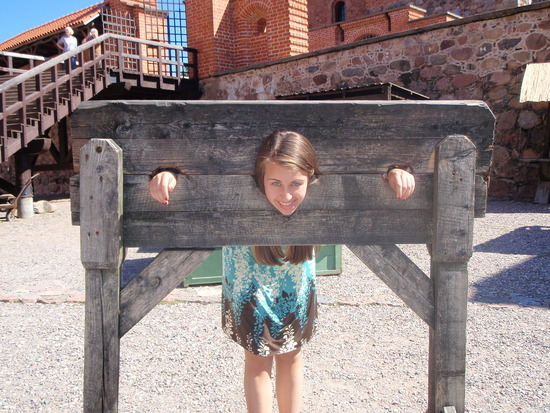 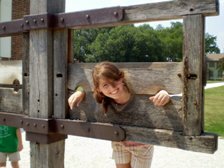 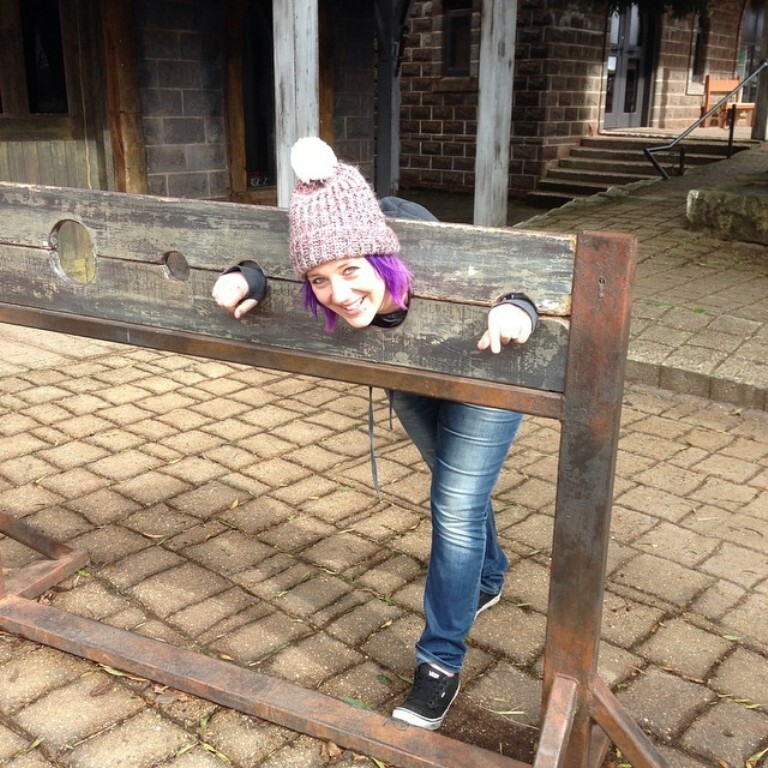 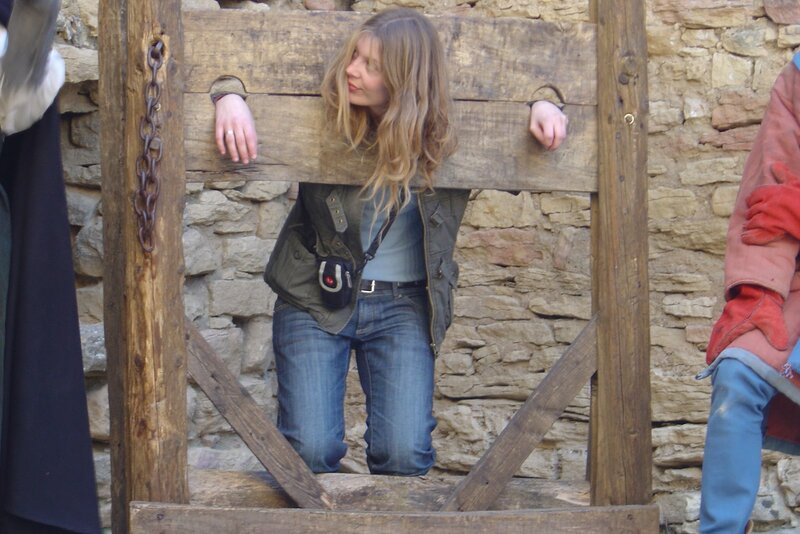 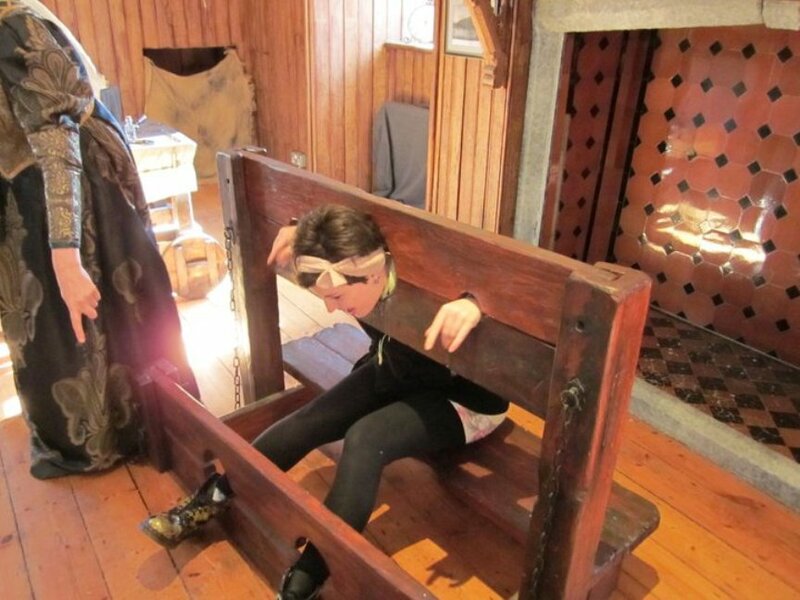 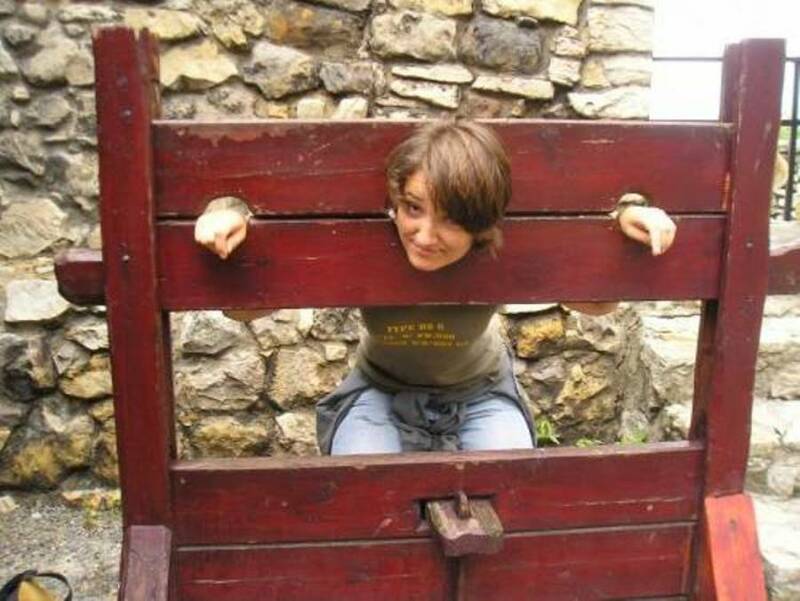 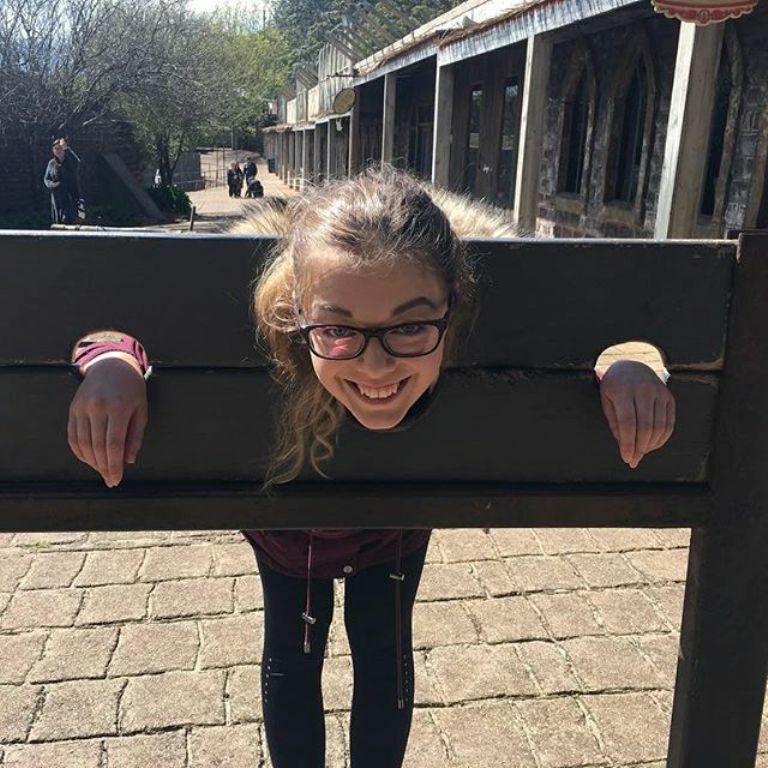 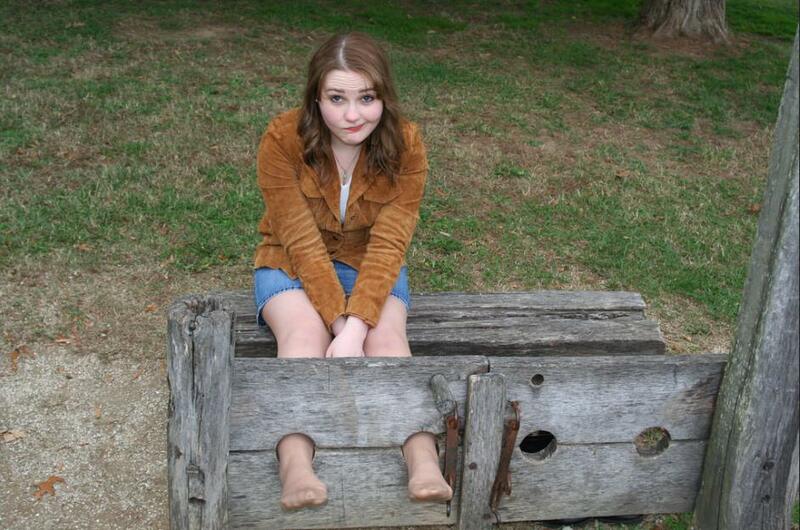 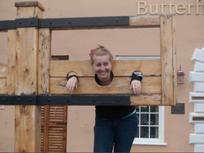 It looks suspiciously similar to the pillory at the Roundhouse in Freemantle, Australia (see Family Album 2). 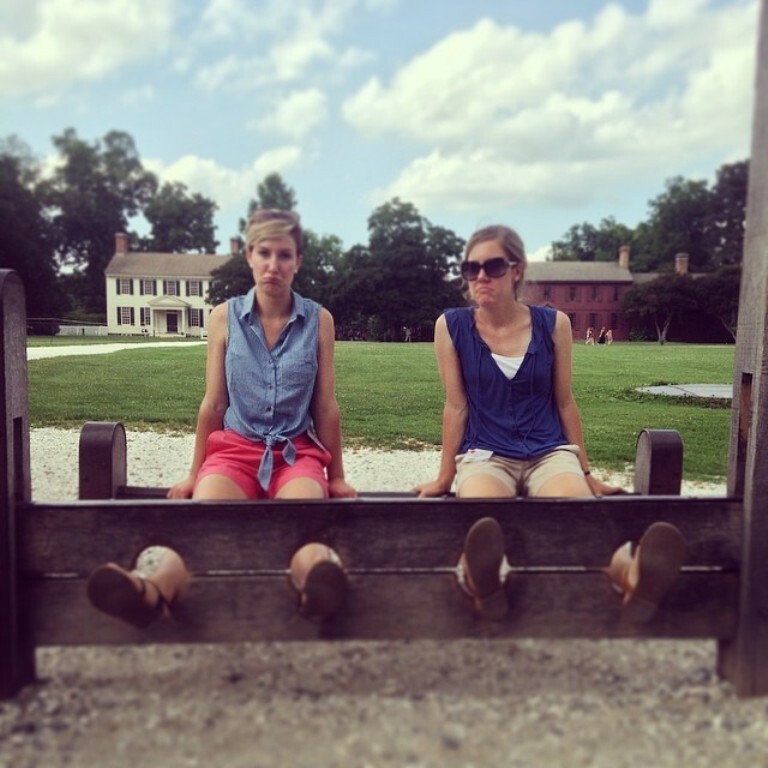 This must be a colonial export, or an example of parallel evolution. 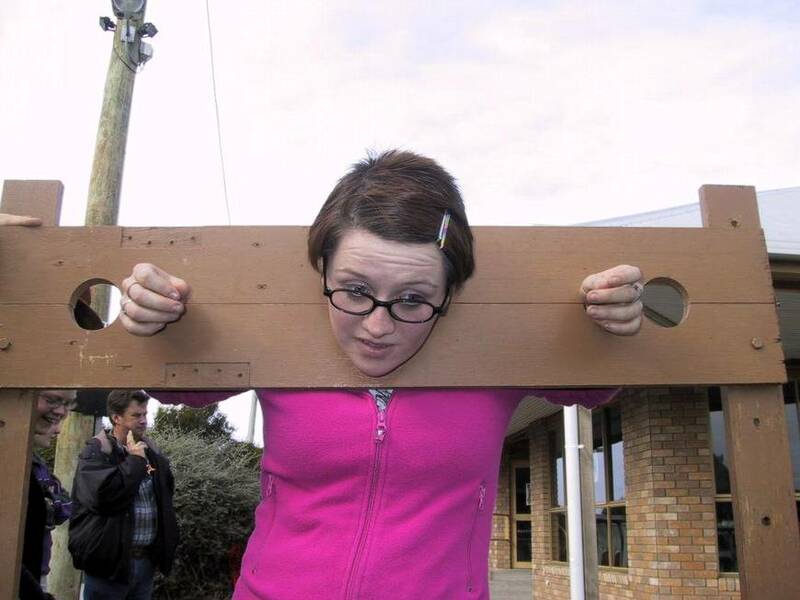 I refuse to believe the Aussies simply nicked this design from Ireland. 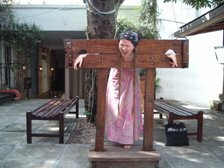 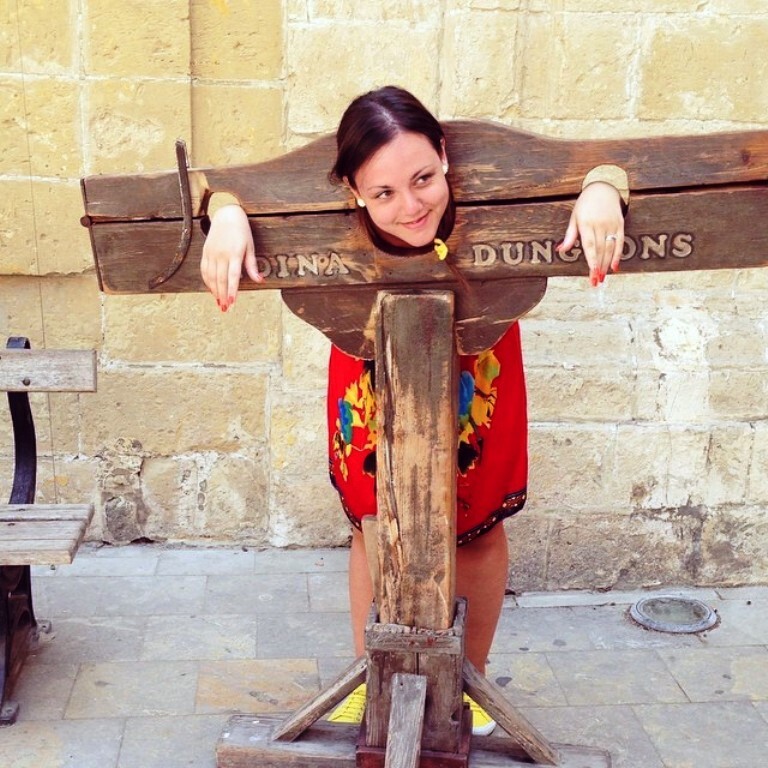 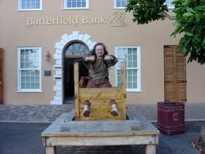 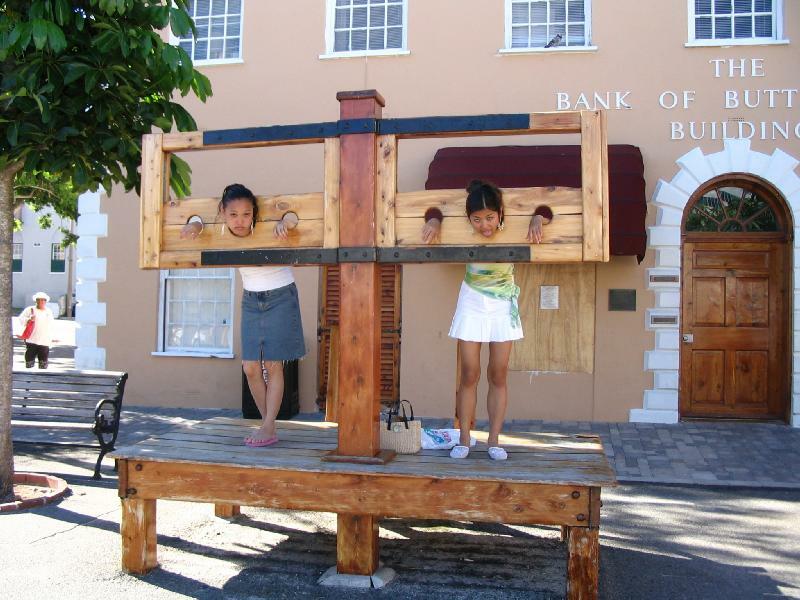 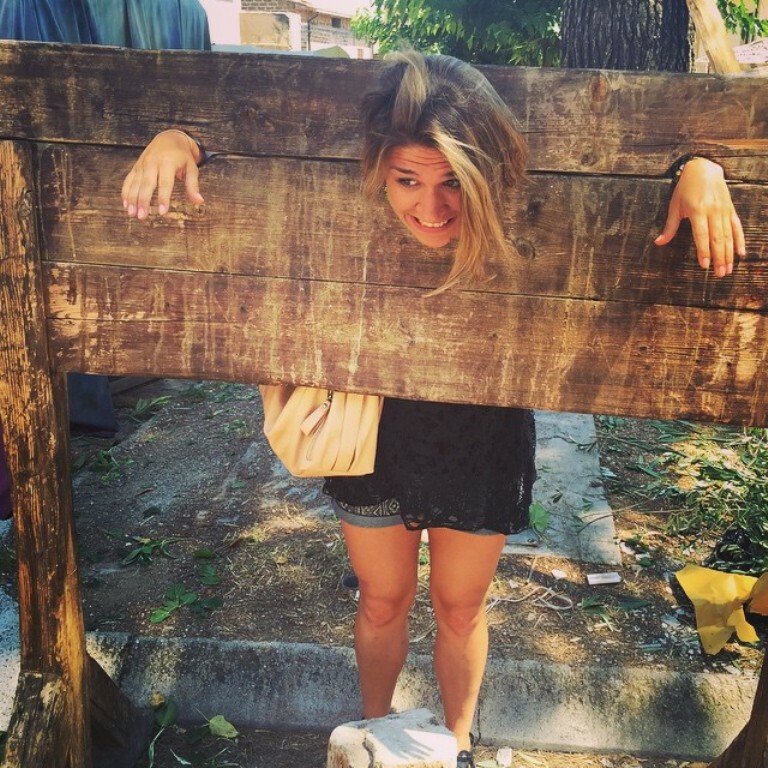 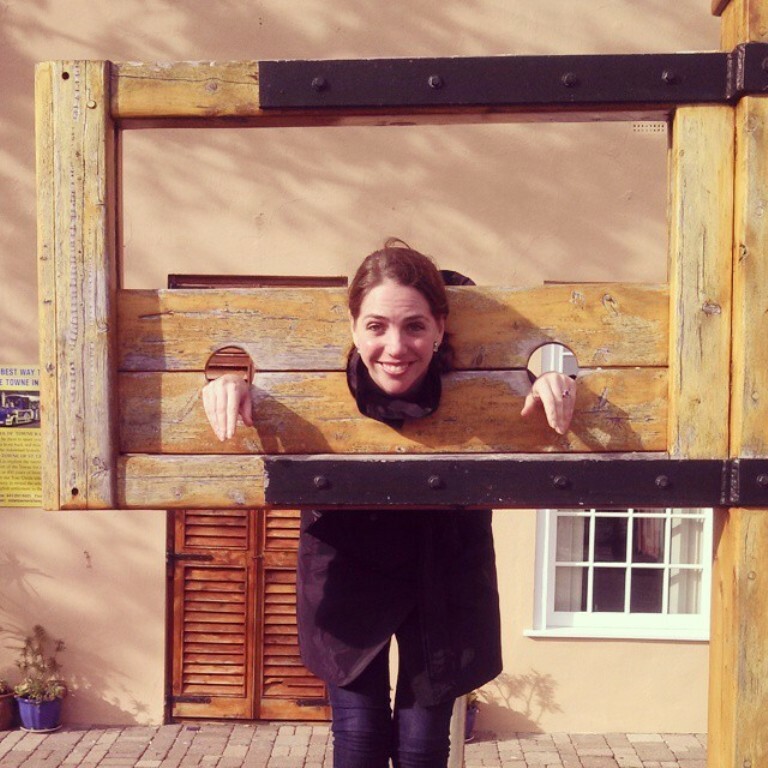 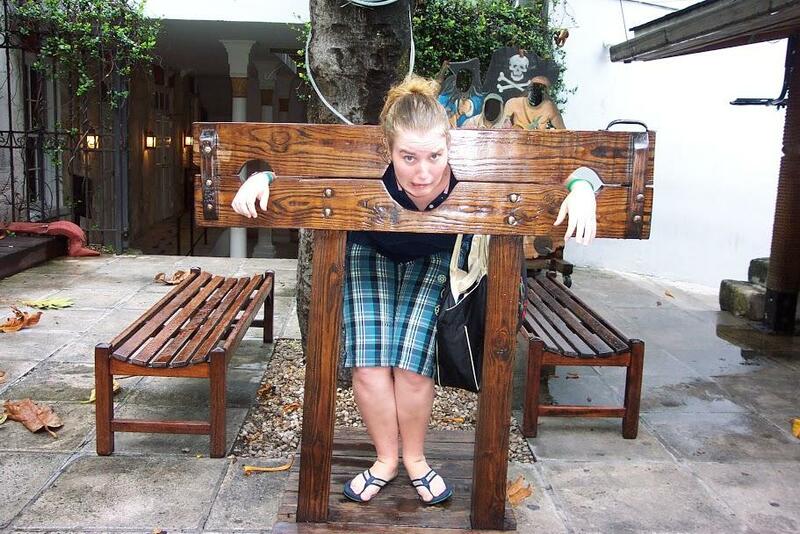 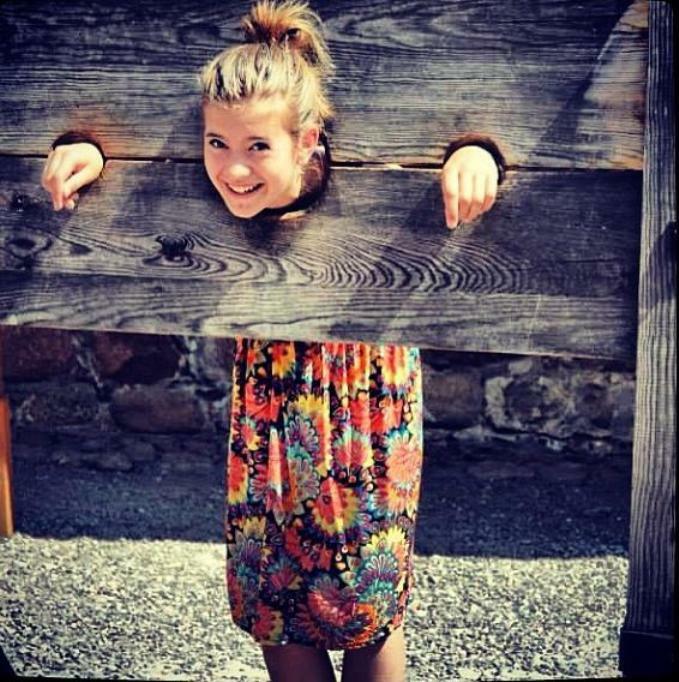 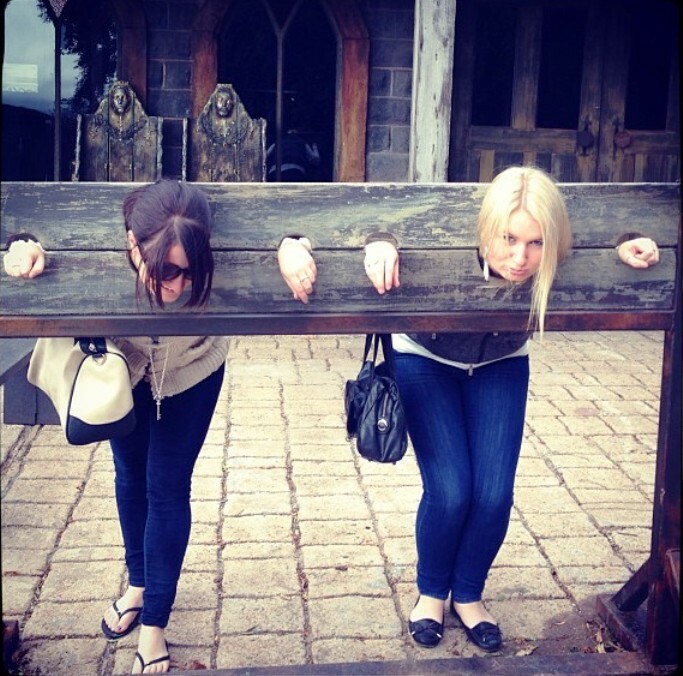 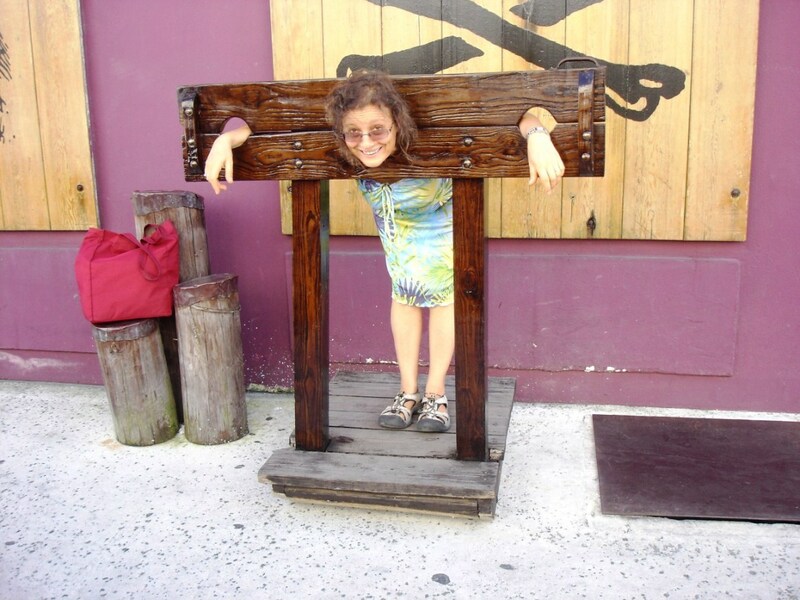 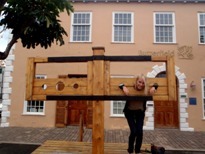 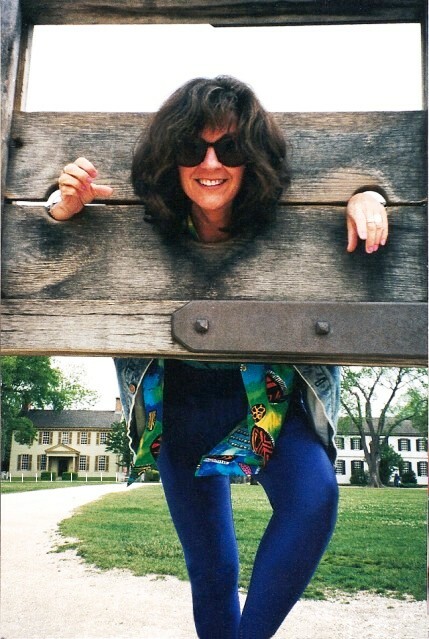 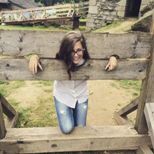 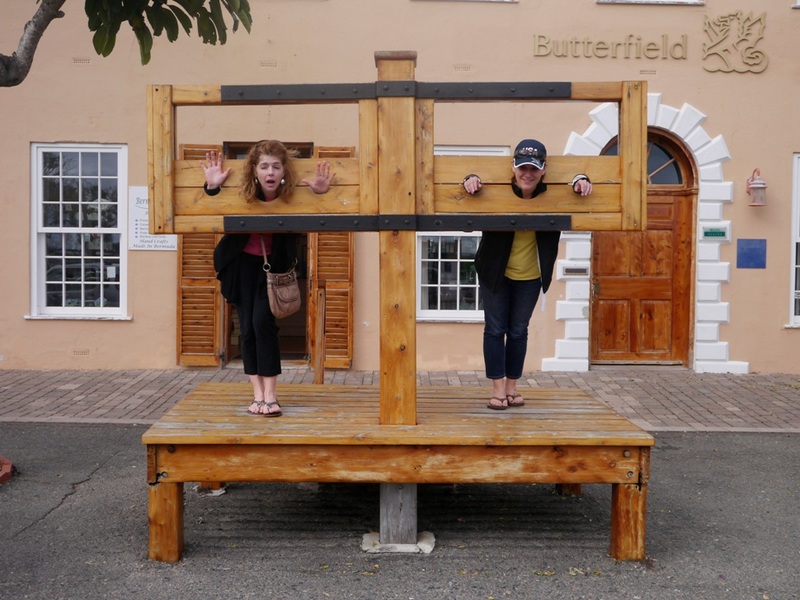 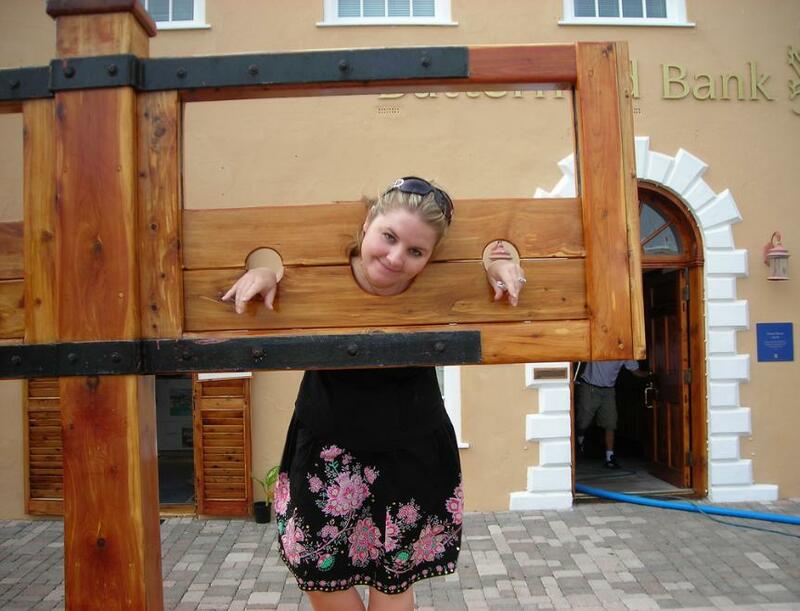 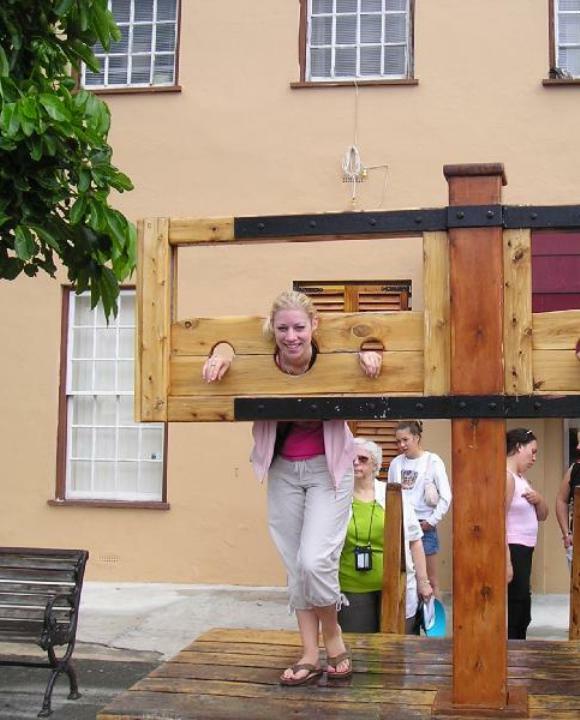 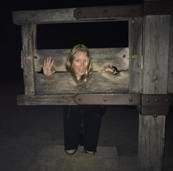 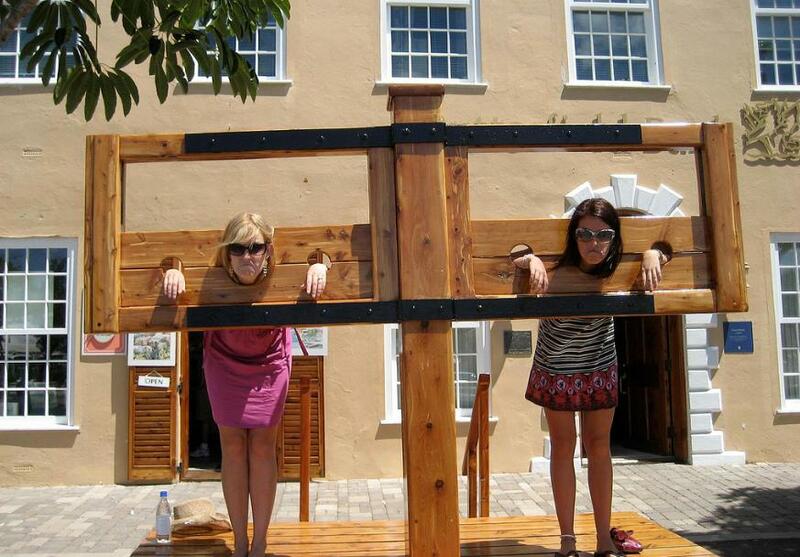 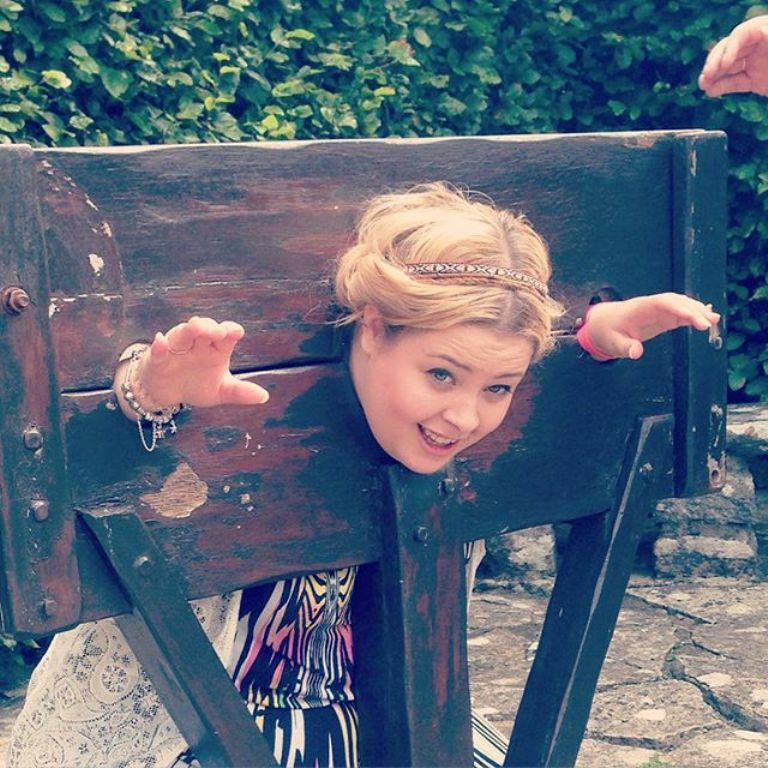 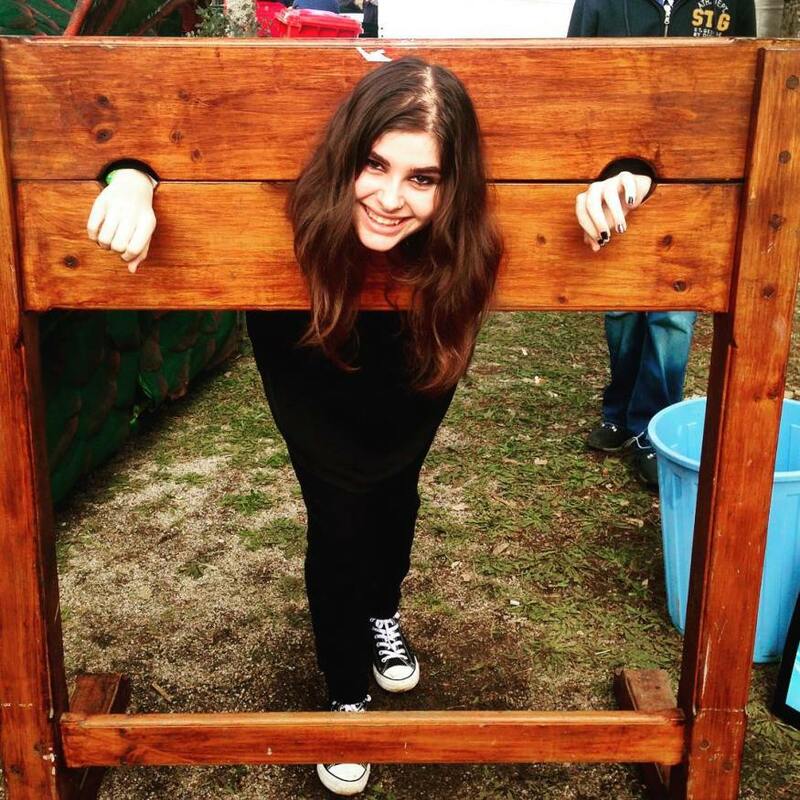 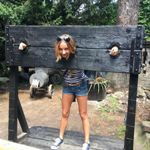 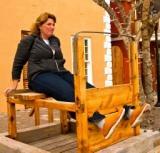 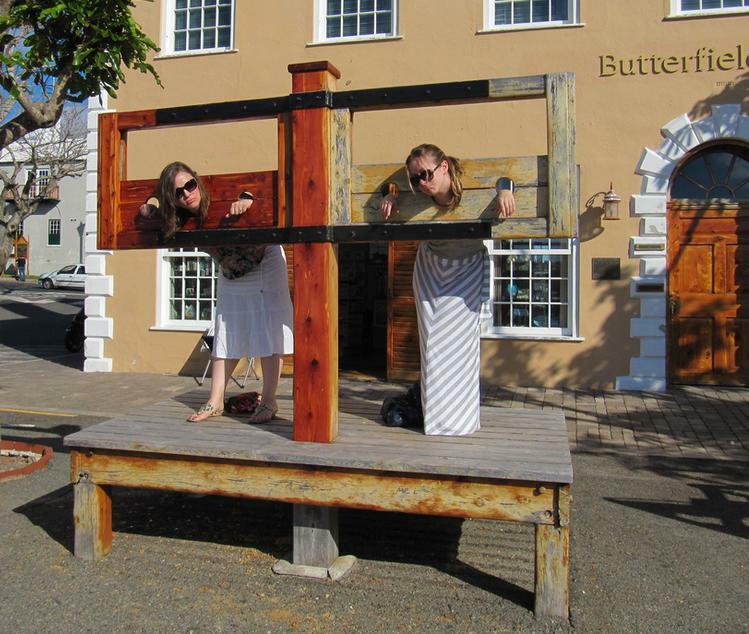 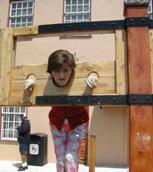 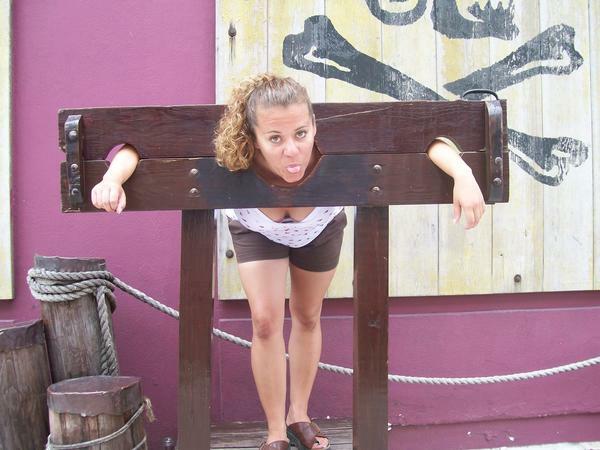 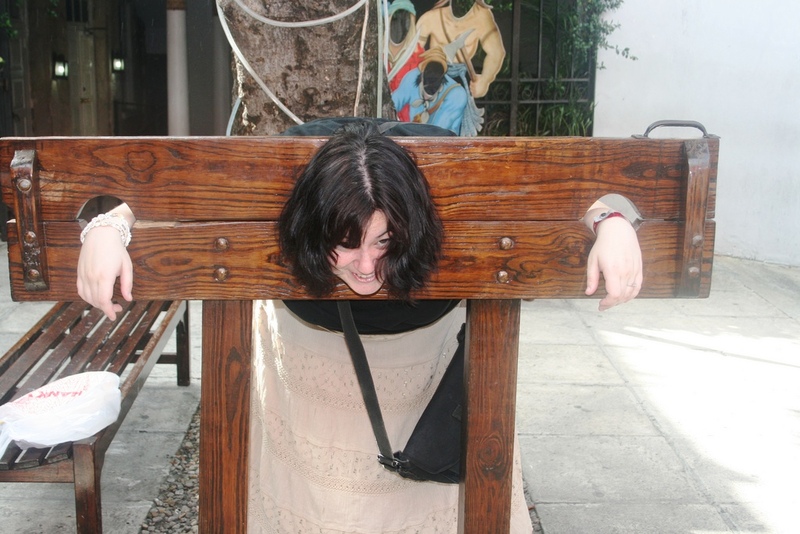 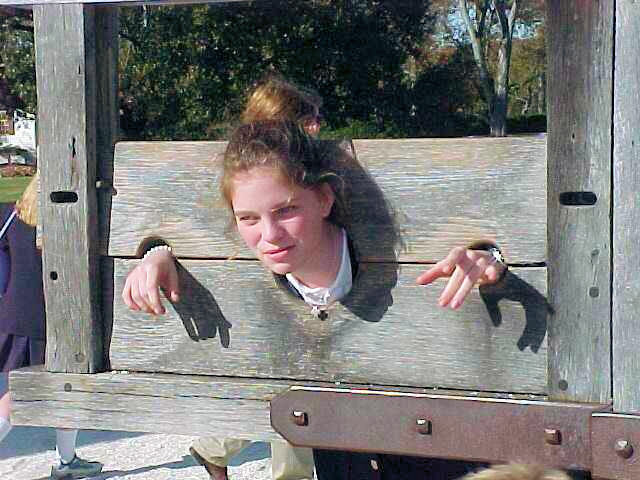 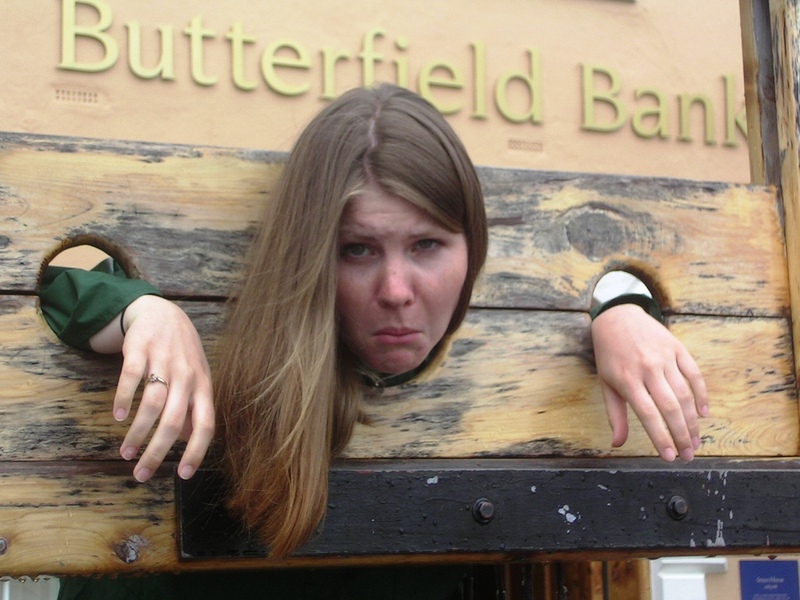 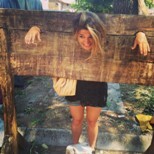 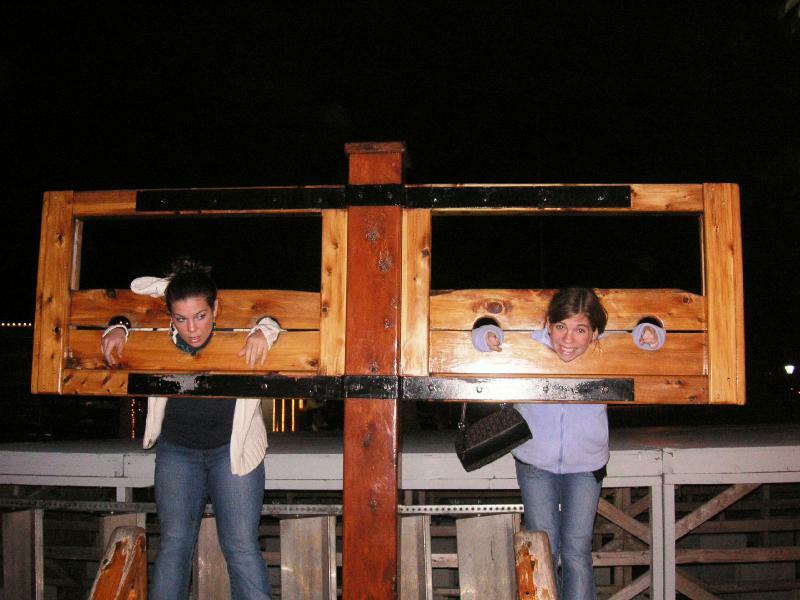 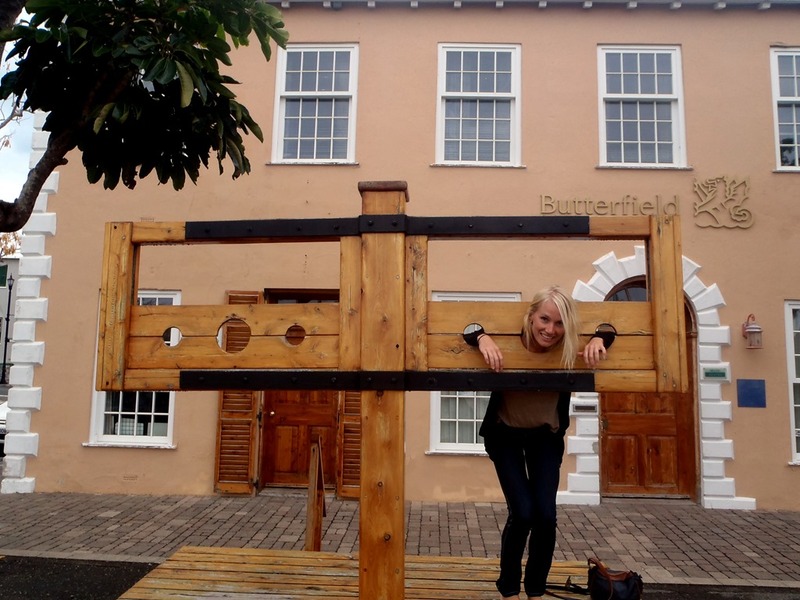 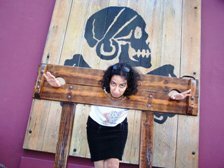 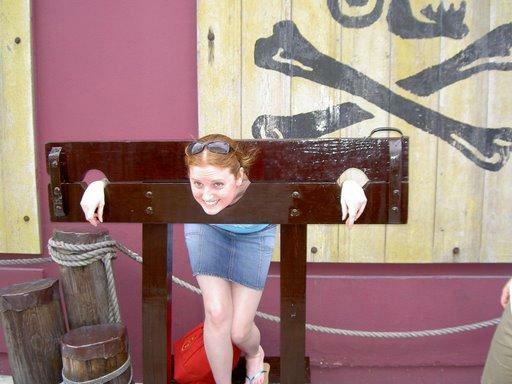 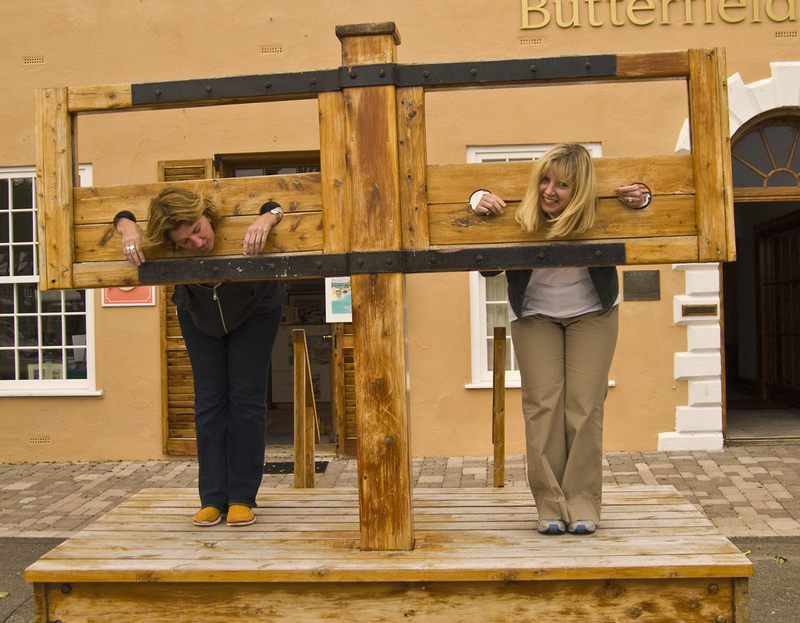 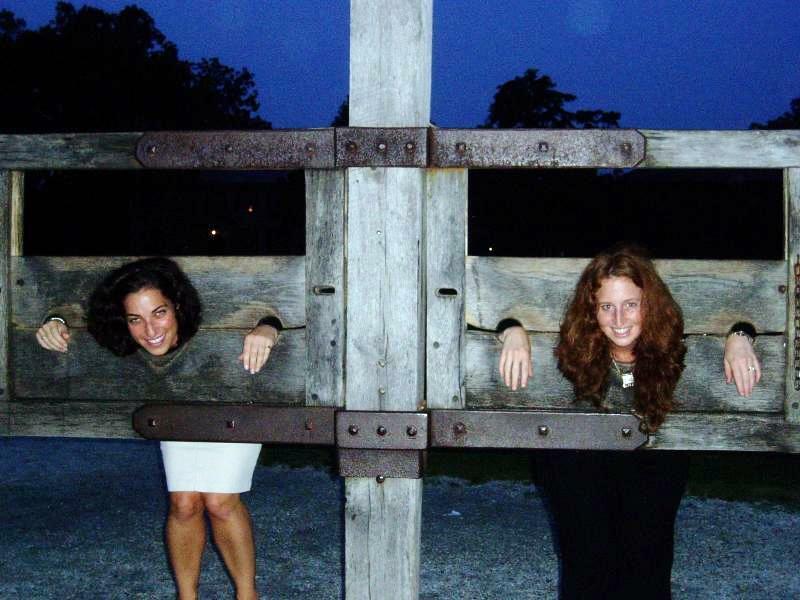 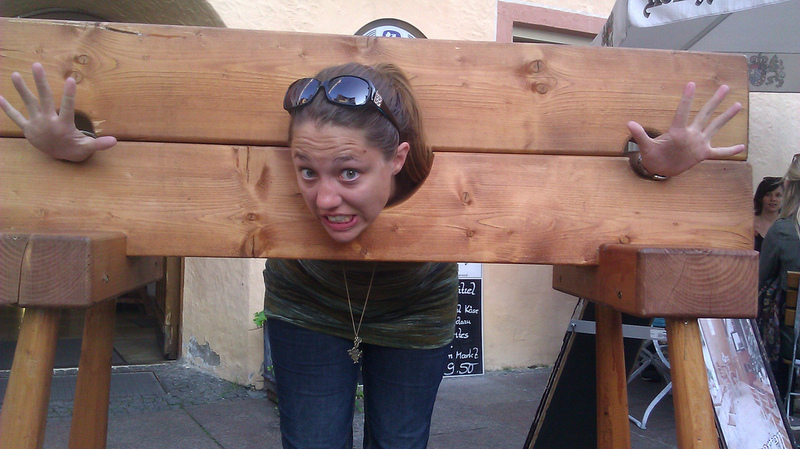 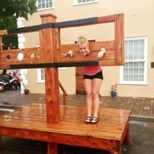 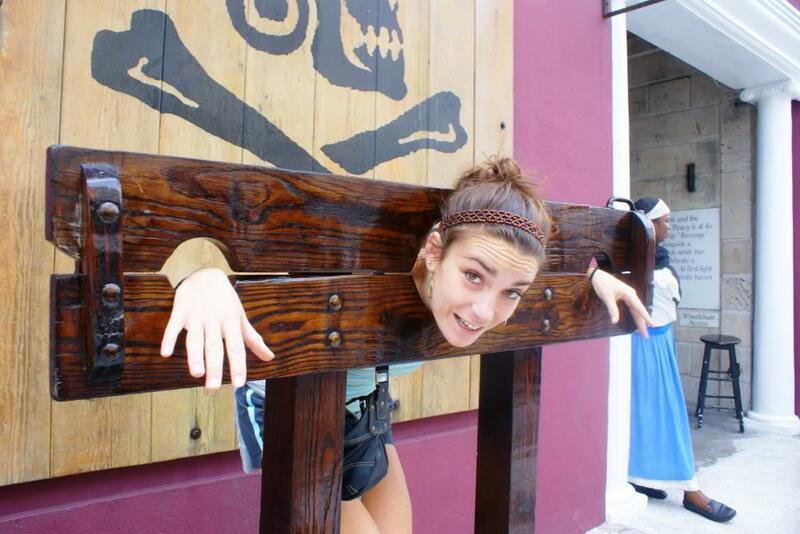 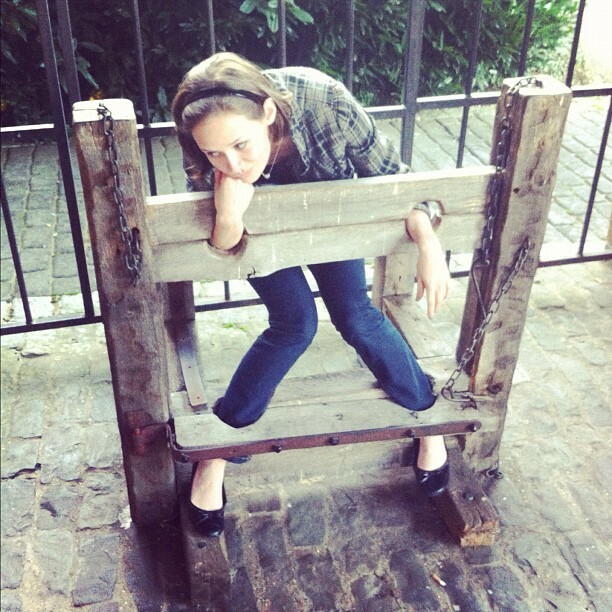 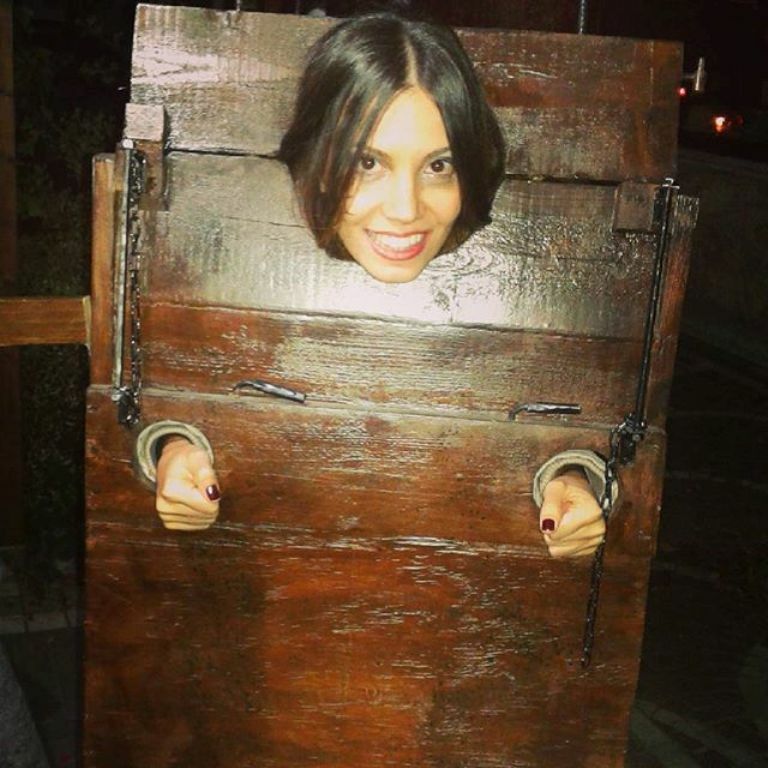 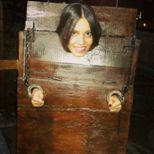 Georgetown, Bermuda, has a pillory, stocks and ducking stool. 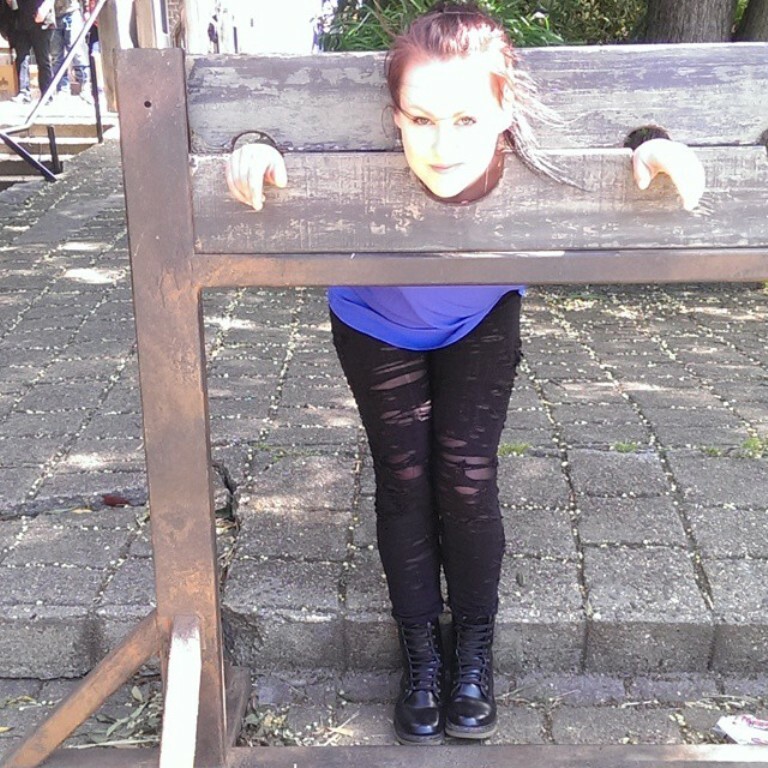 Some contestants tried to cheat at the annual cheese rolling competition in Muiden, Holland. 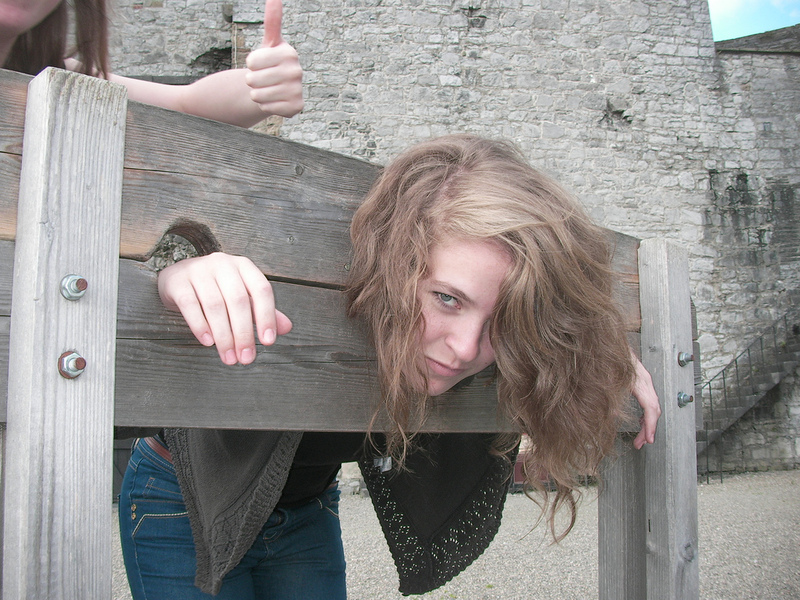 And finally, some miscellaneous pictures. 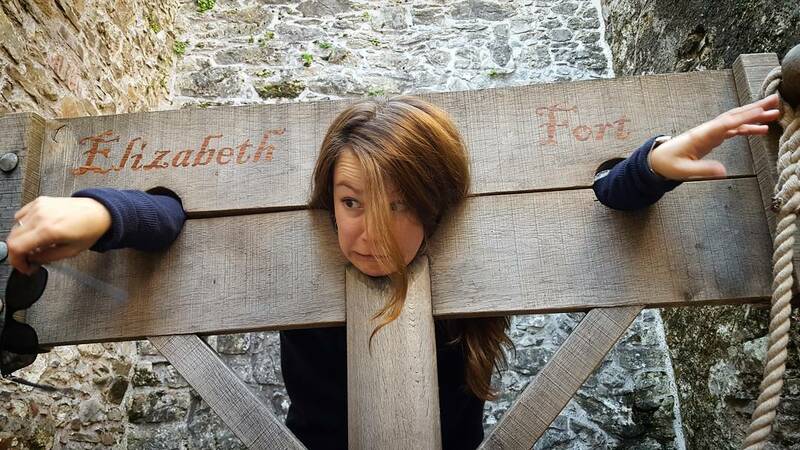 Click here for the next page of the Family Album. 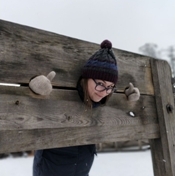 Last modified 29 November 2018.